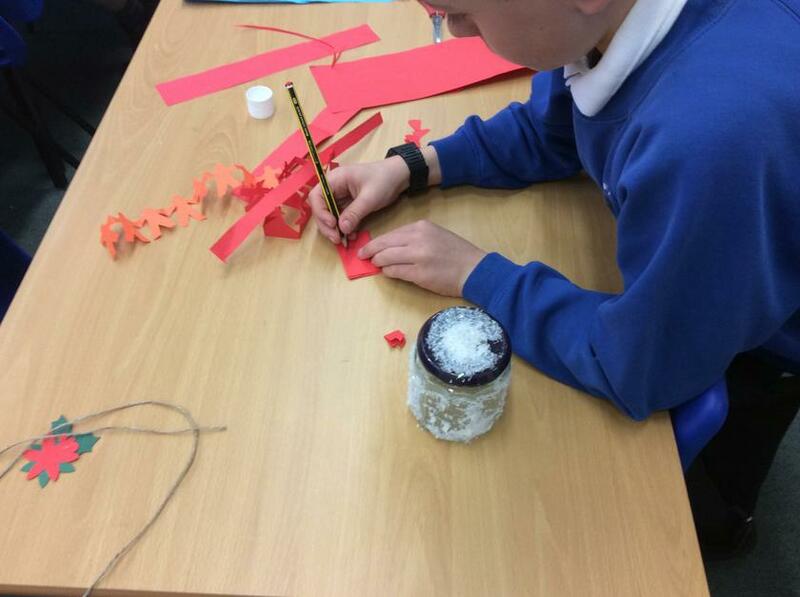 Today we had great fun decorating and creating our Jar Lanterns and pop up cards. 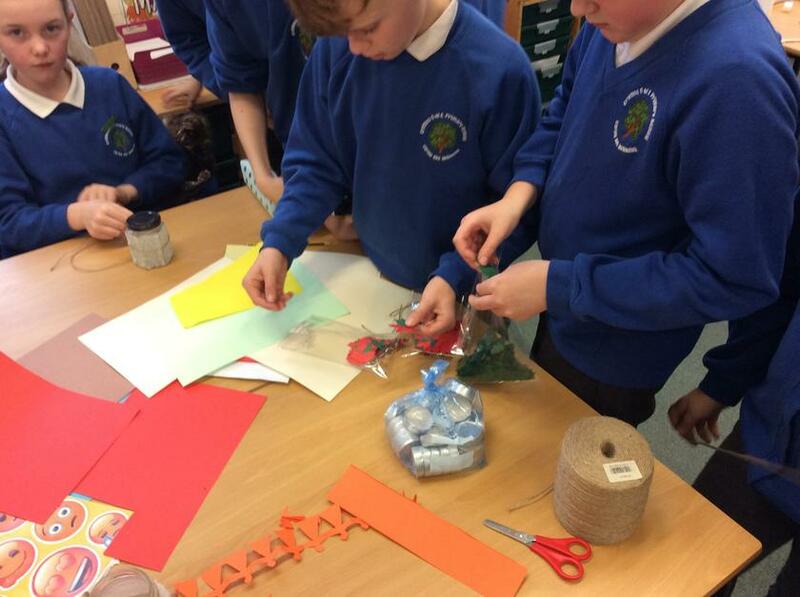 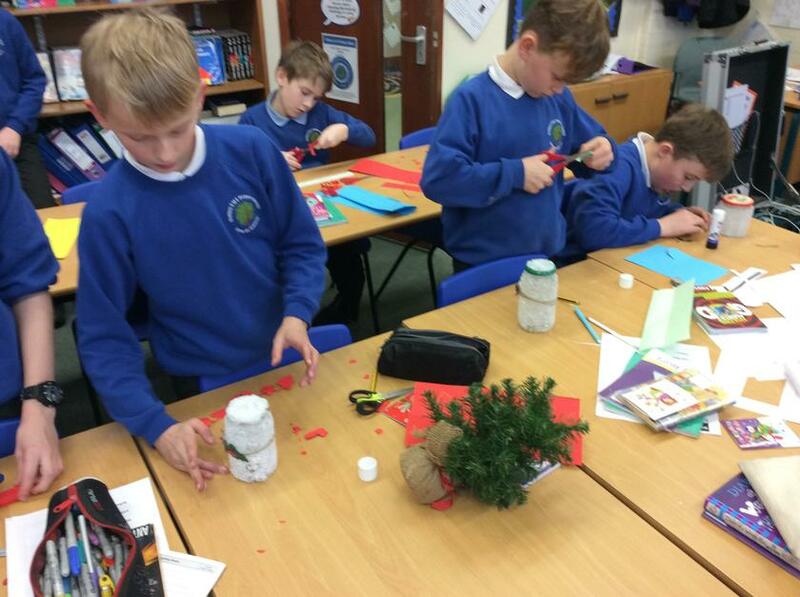 There is always something very special about Christmas decorations and this year with the help of Mrs. Cavell and Mrs Rogers we have made something a bit special. 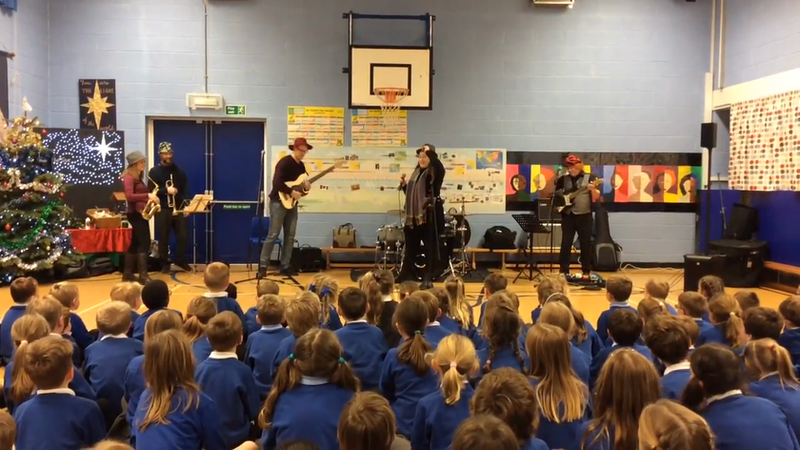 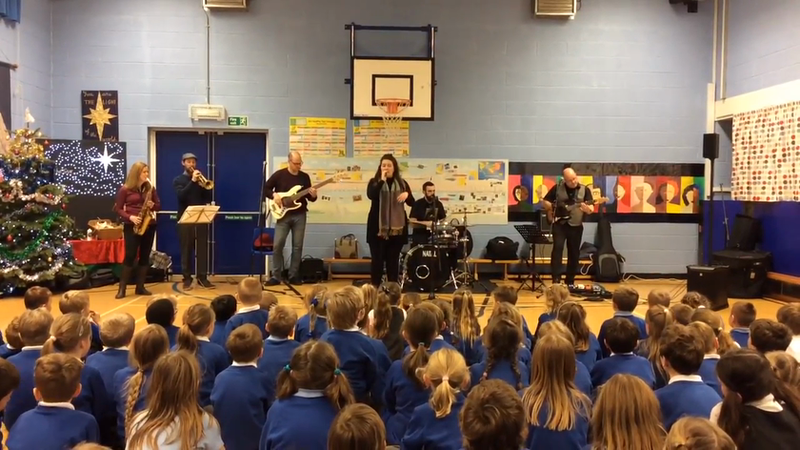 It was wonderful when Shropshire Music Service came to entertain us as part of their Soul Band. 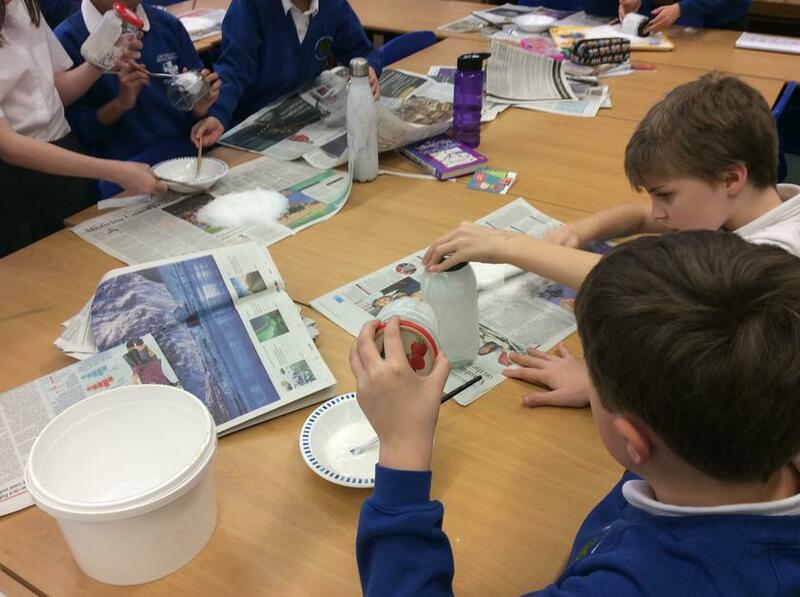 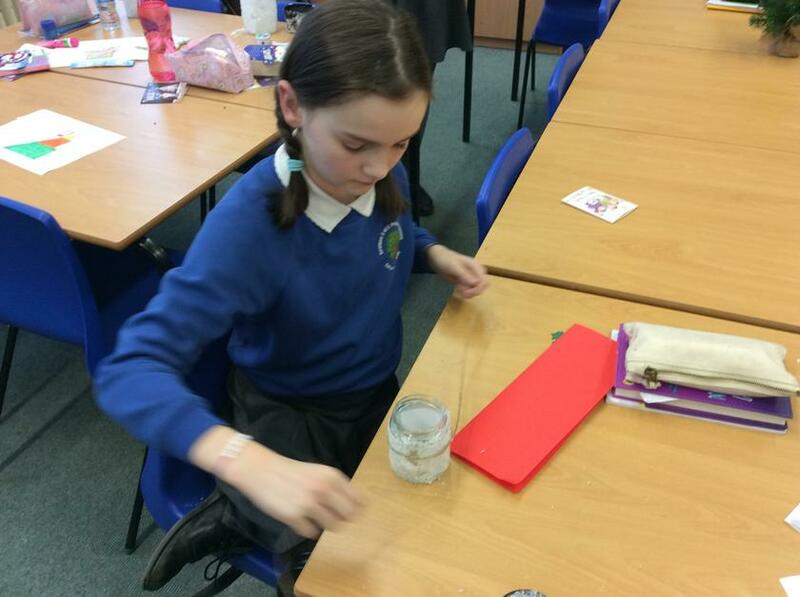 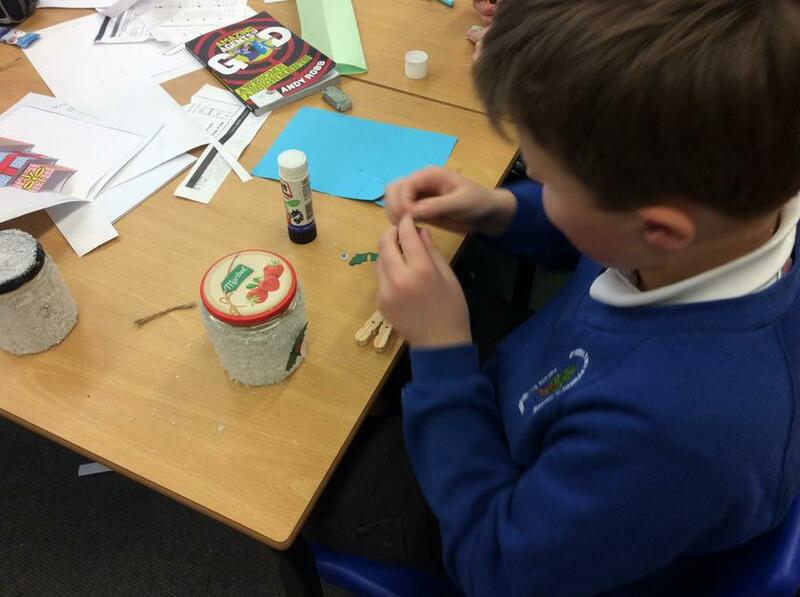 With the help of Mrs. Cavell we have begun making a small snowy jar decoration. 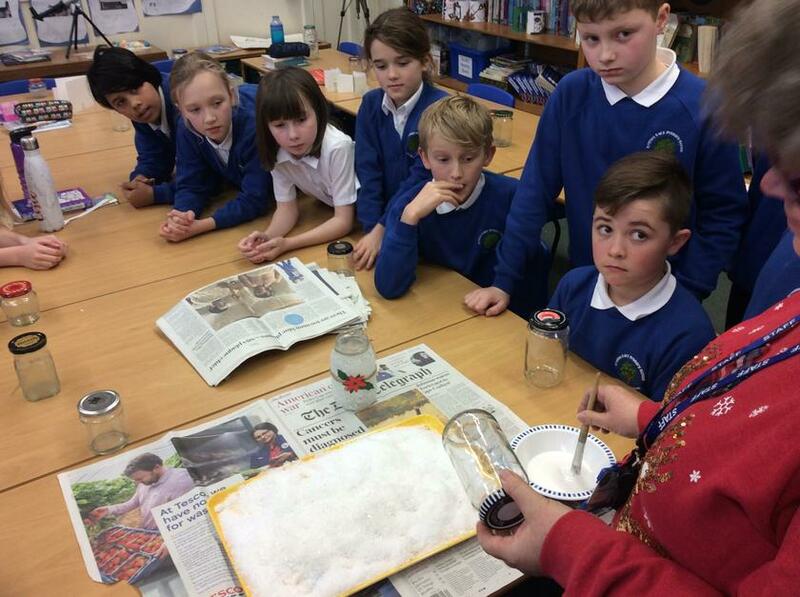 We used fake snow and glue today. 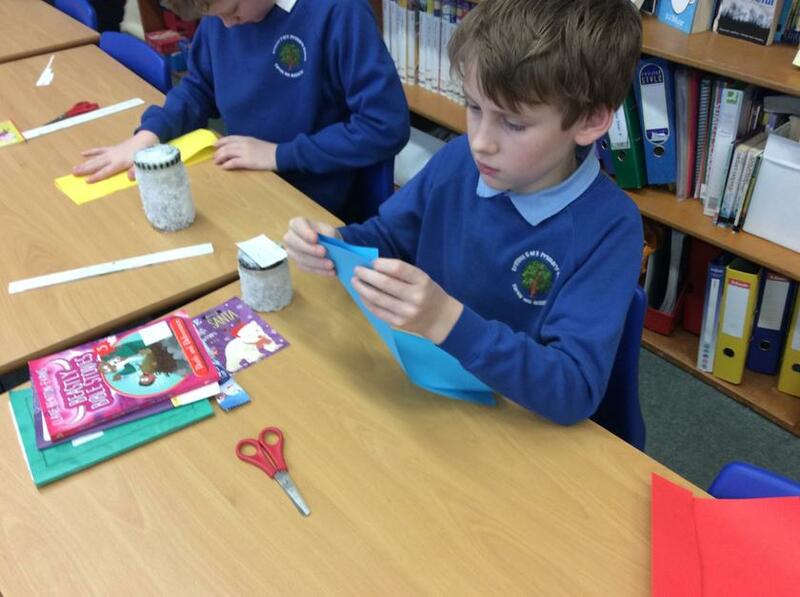 Next time we will create our own paper designs and place small candle inside. 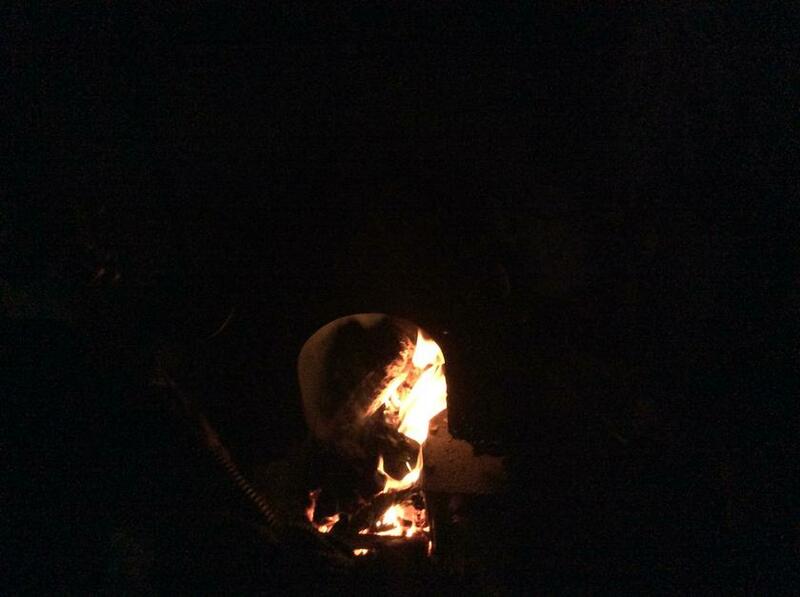 Let the light of Christmas light our hearts. 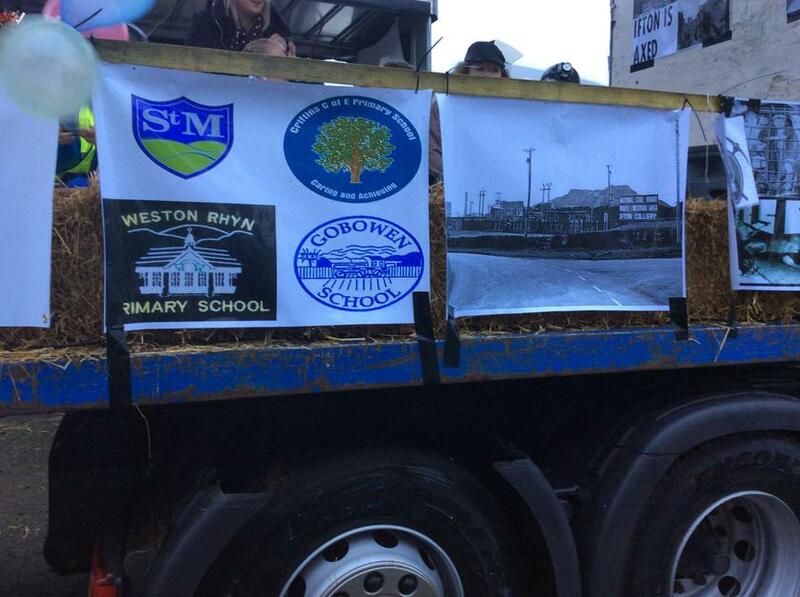 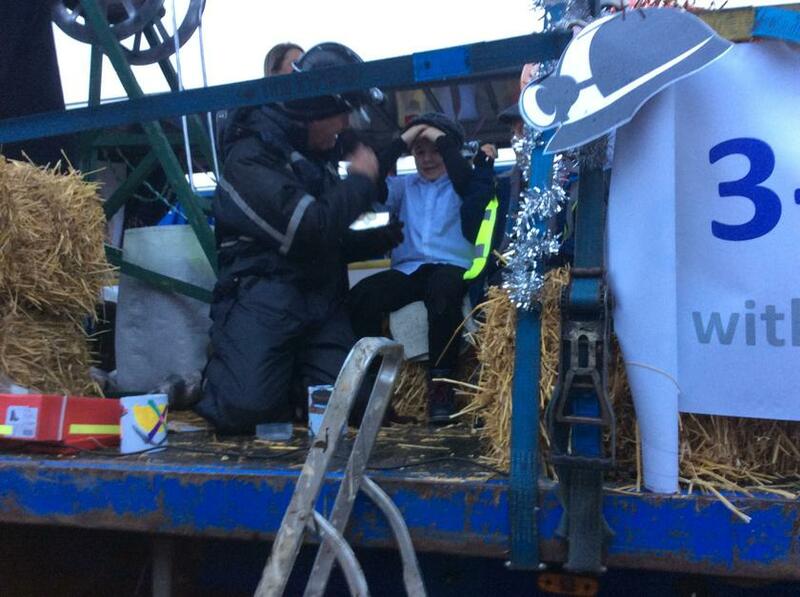 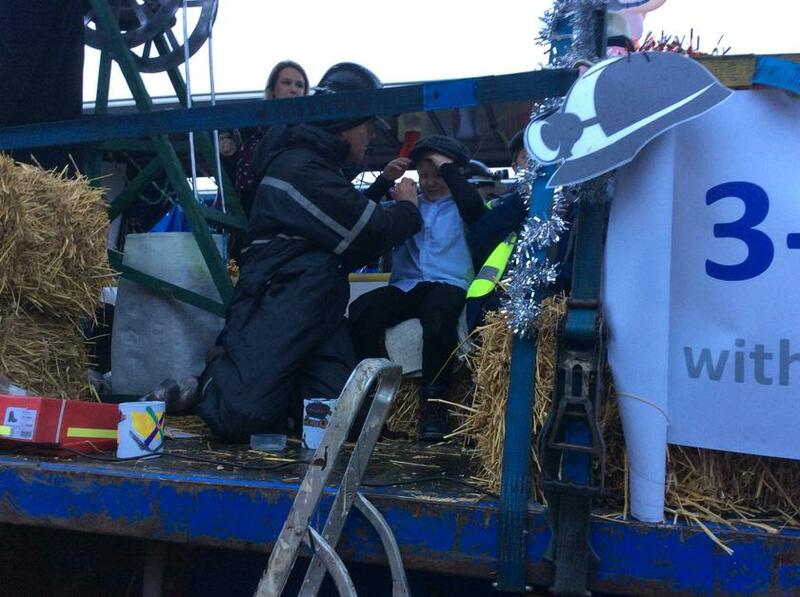 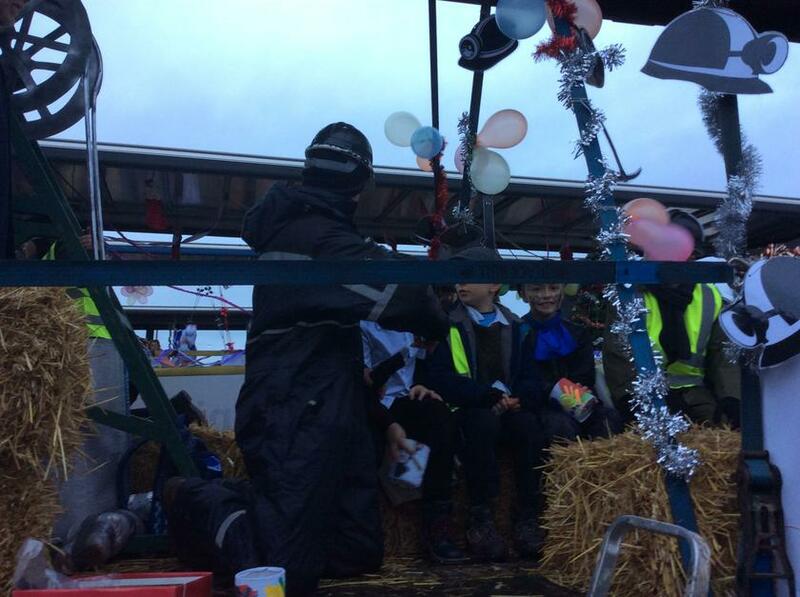 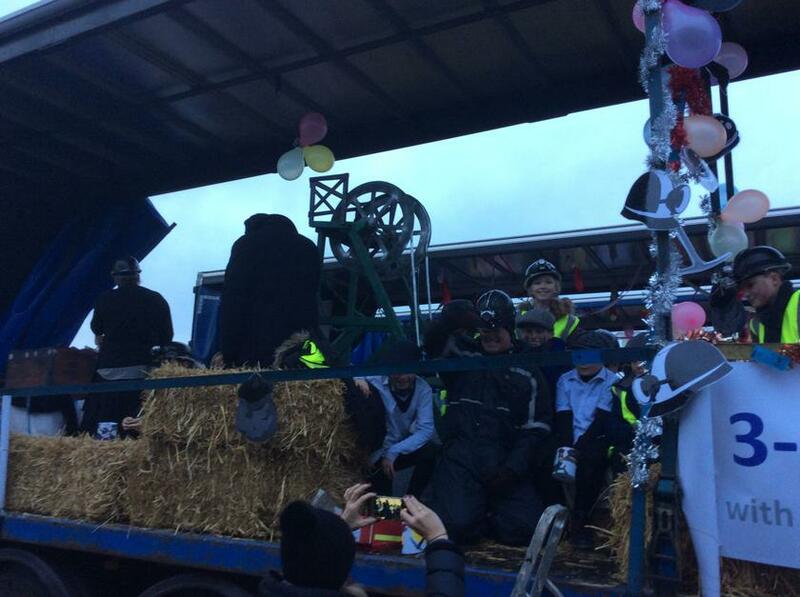 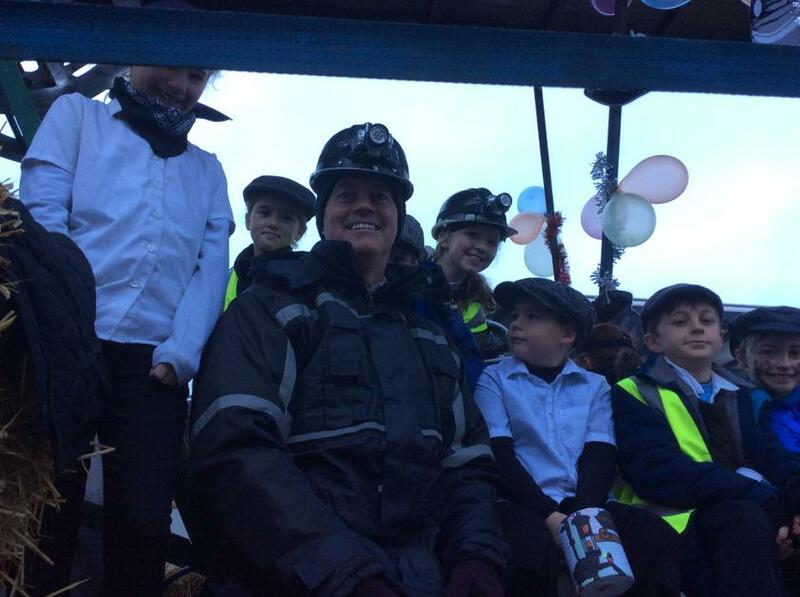 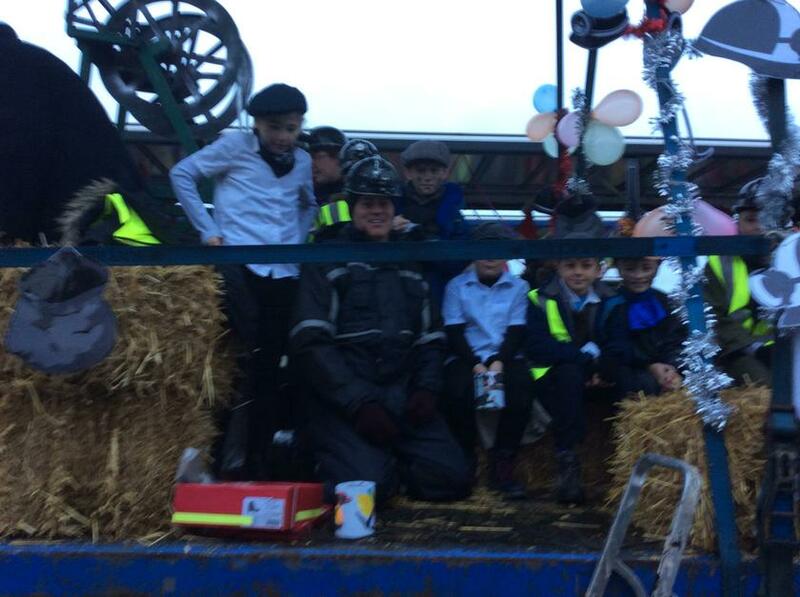 As a finale to our wonderful St. Martins Miners Project we celebrated by being part of The Oswestry Christmas Procession. 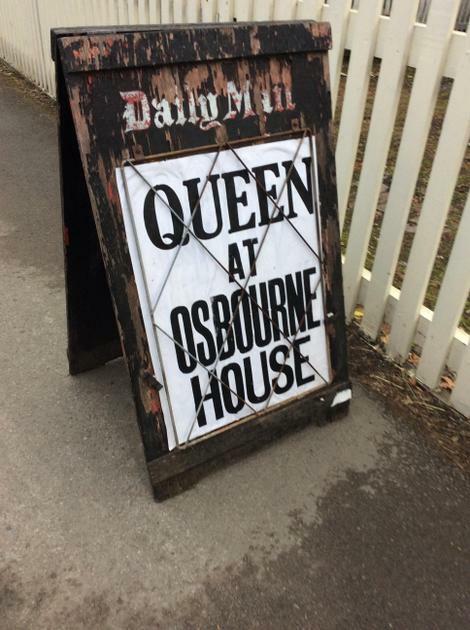 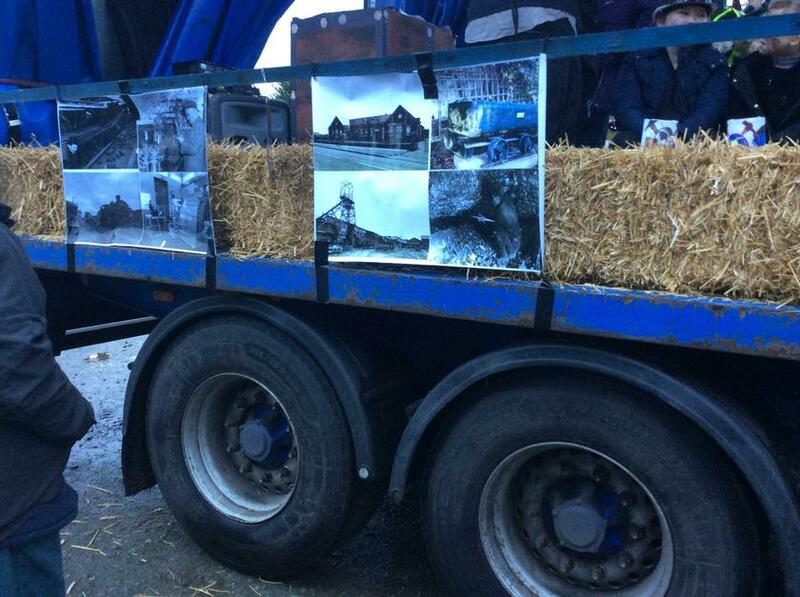 This was amazing to be part of as we journey through crowd lines streets and the town of Oswestry. 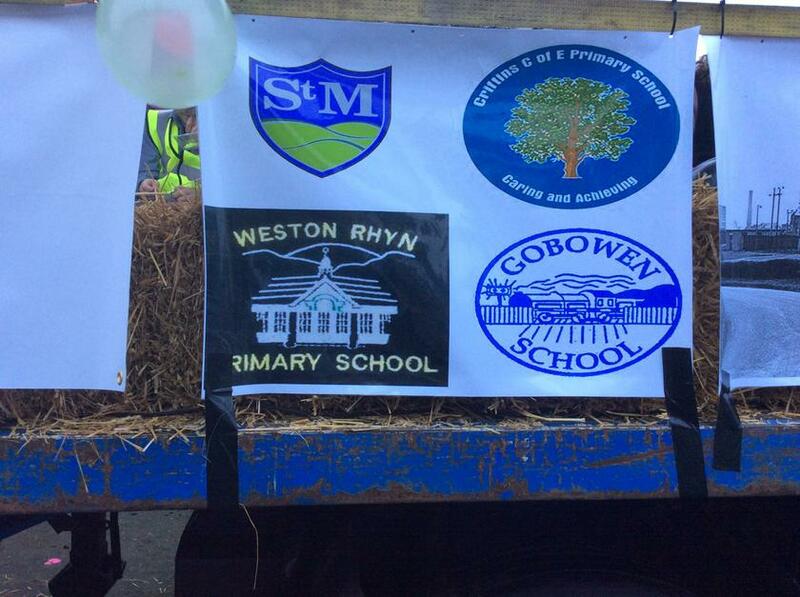 A huge thank you to St. Martins for inviting us to be part of this huge event. 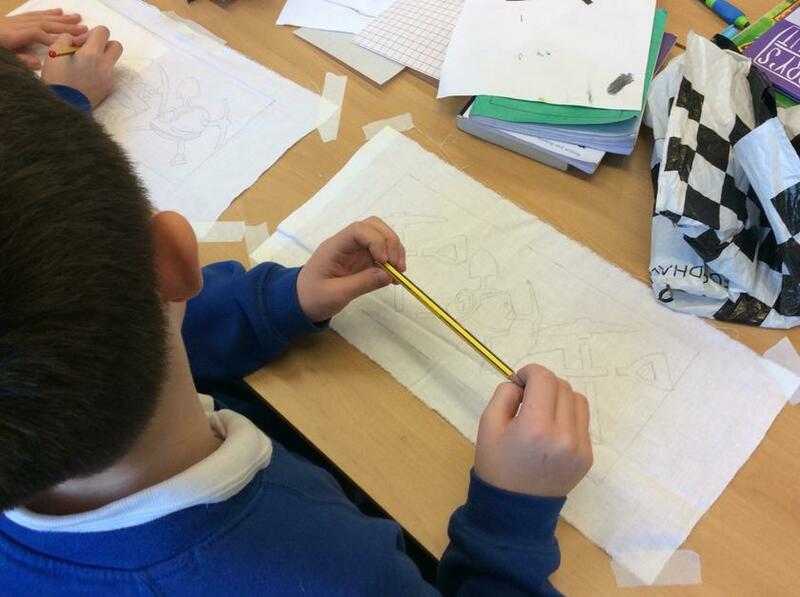 It was wonderful today when the children viewed their work behind a picture frame. 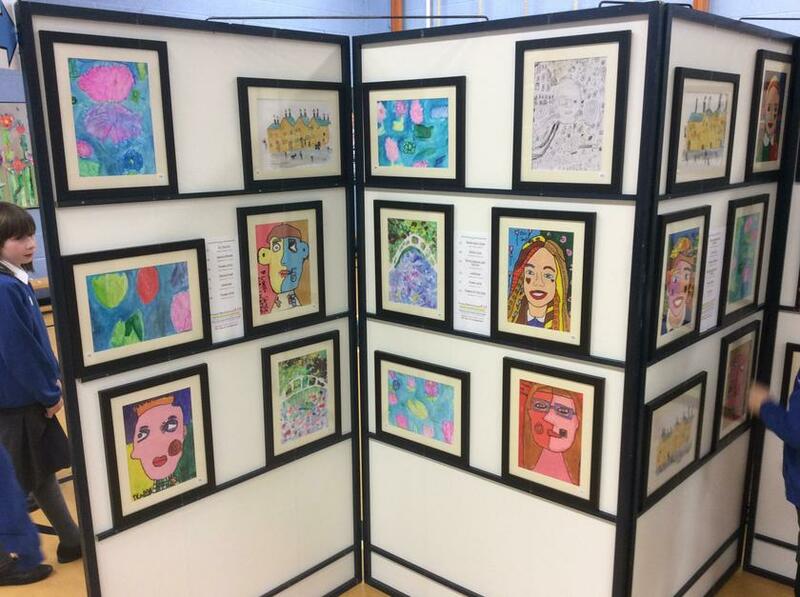 The art work was produced from each class which had a theme. 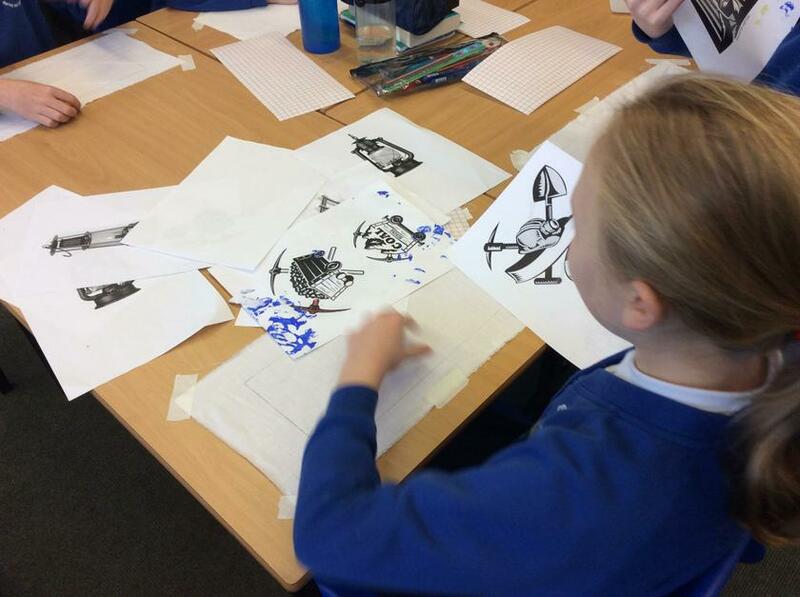 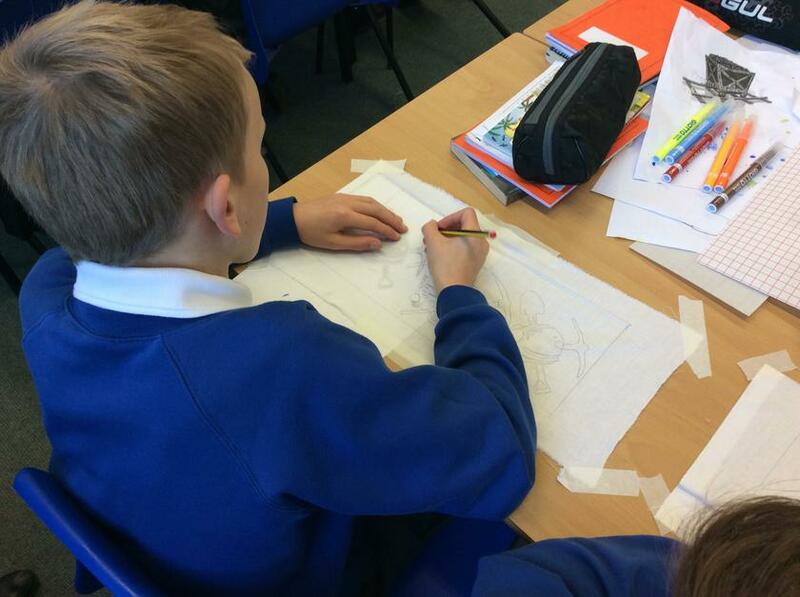 Class 4 worked independently to produce work inspired by Monet. 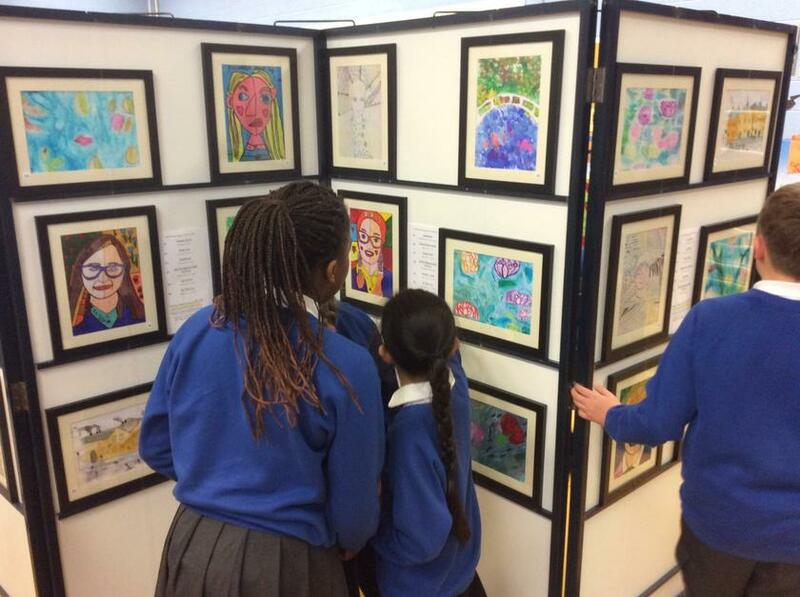 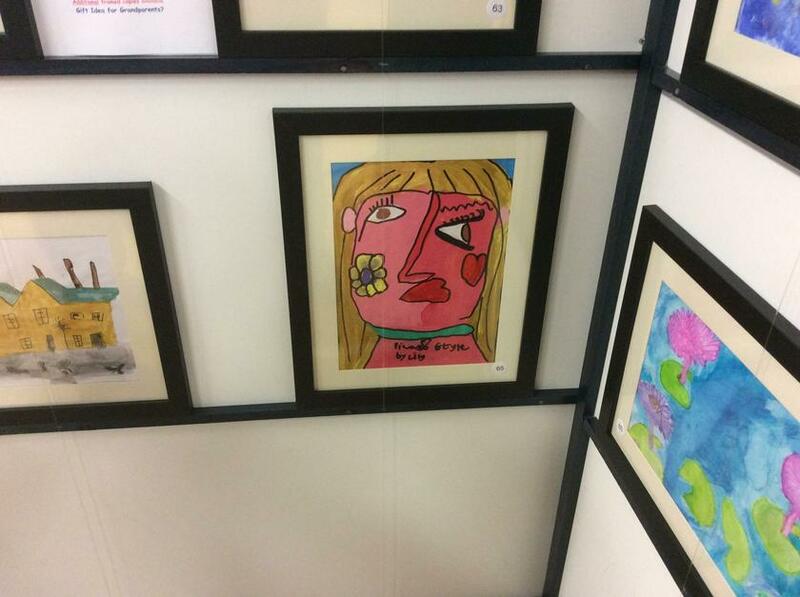 It was great to be able to see the whole school in our own Art Gallery. 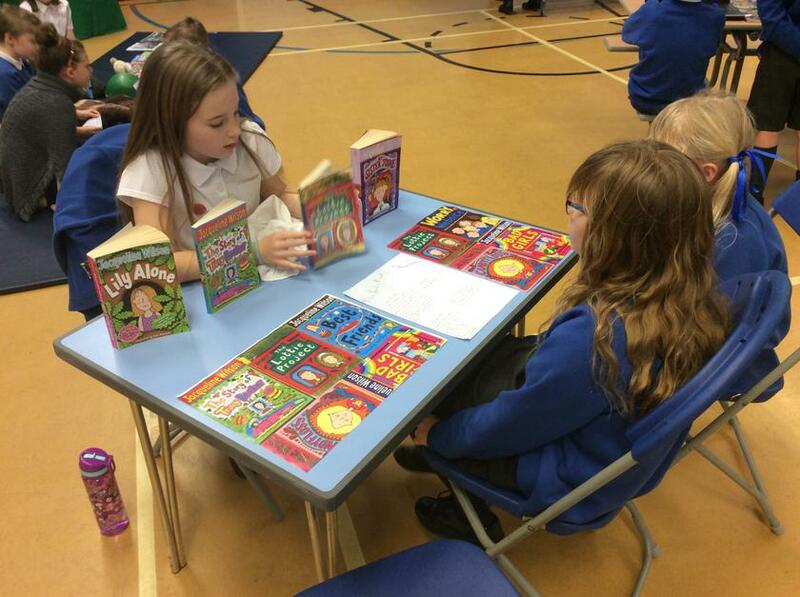 Reading is such fun ! 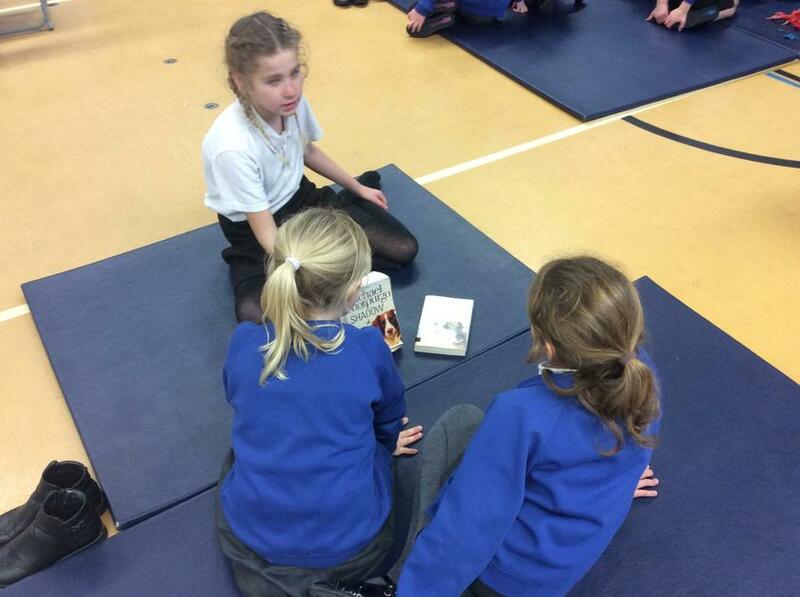 Today we decided to share our love of reading with some of our younger pupils. 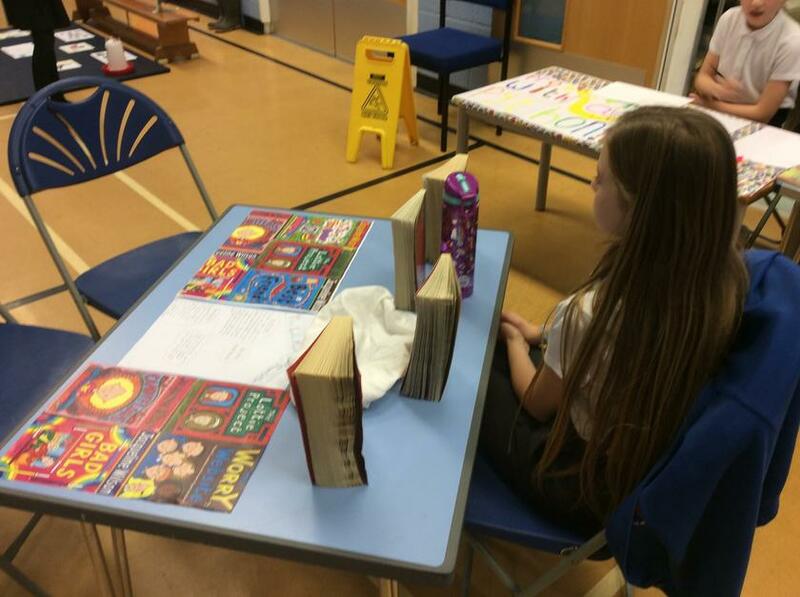 Each of us has been reading our chosen book and learning about its content. 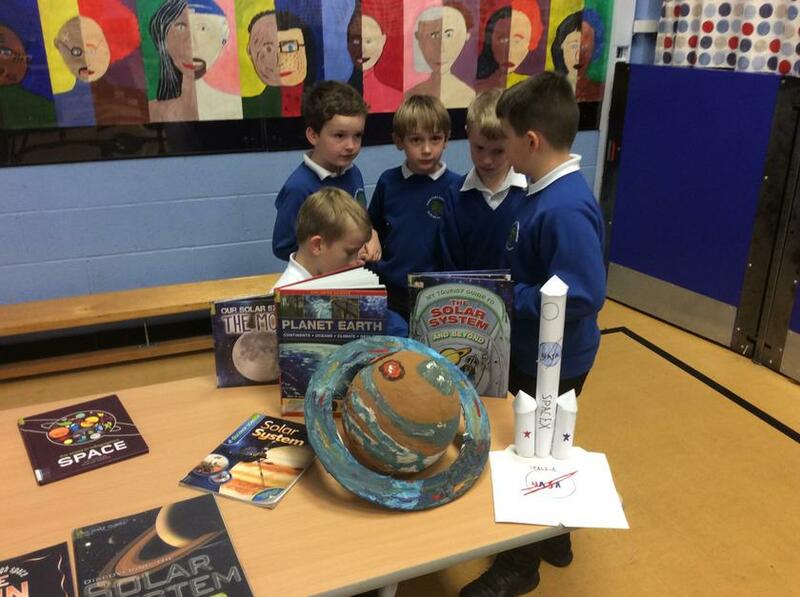 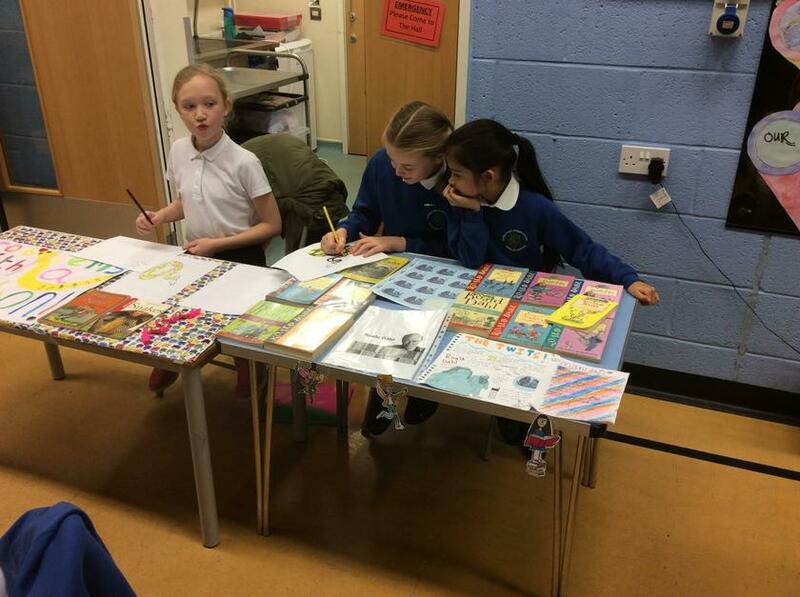 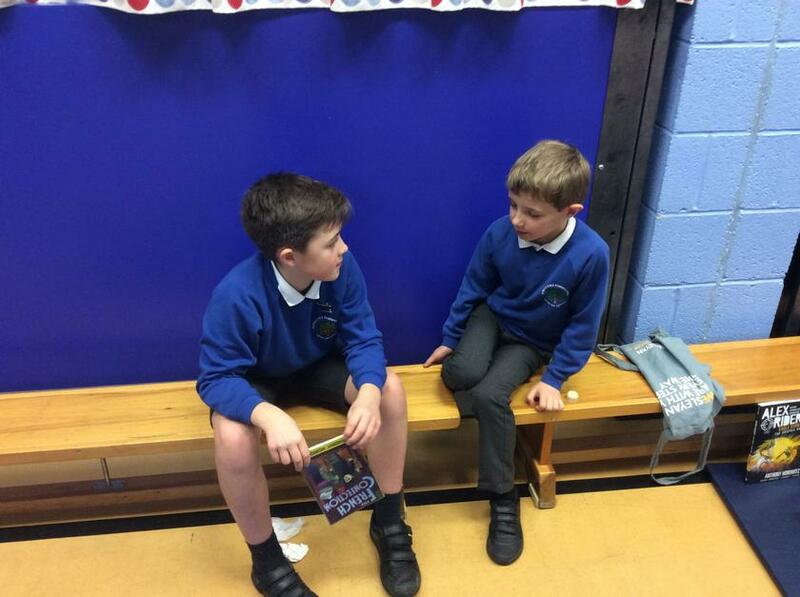 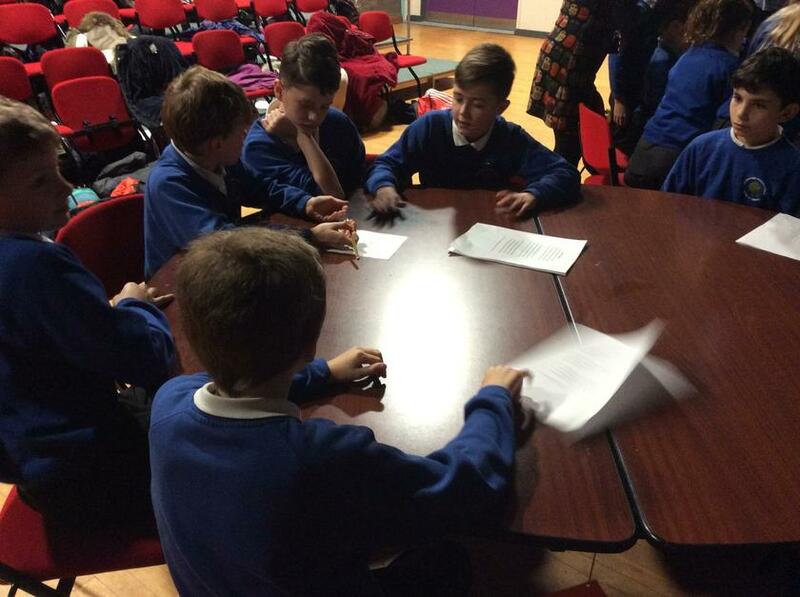 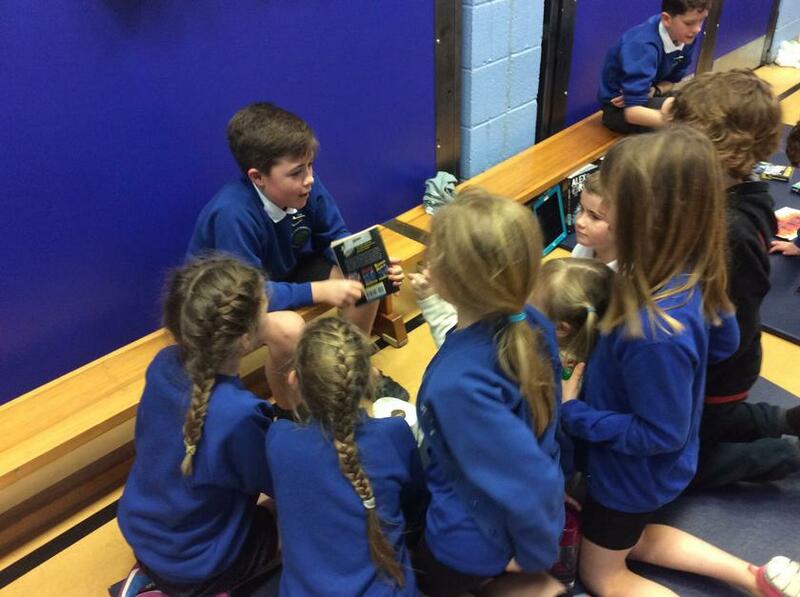 We then decided to think of how we could present our book to other pupils. 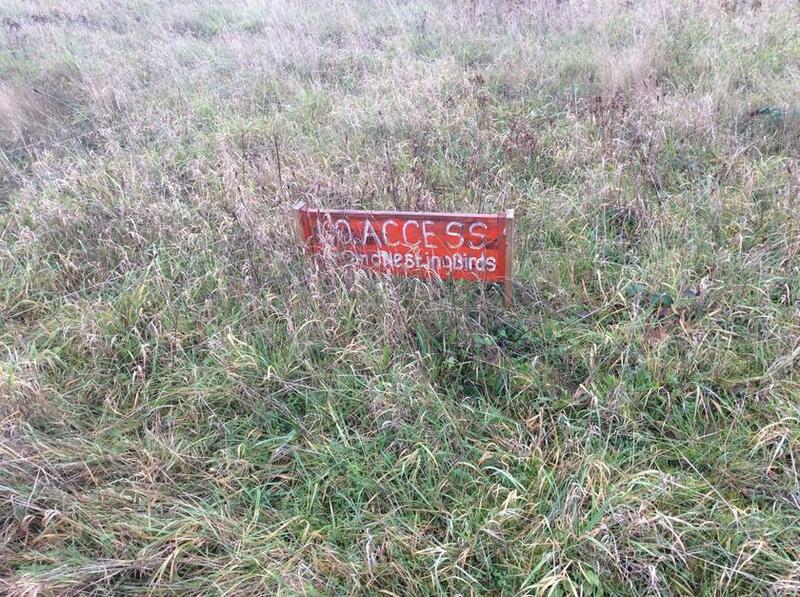 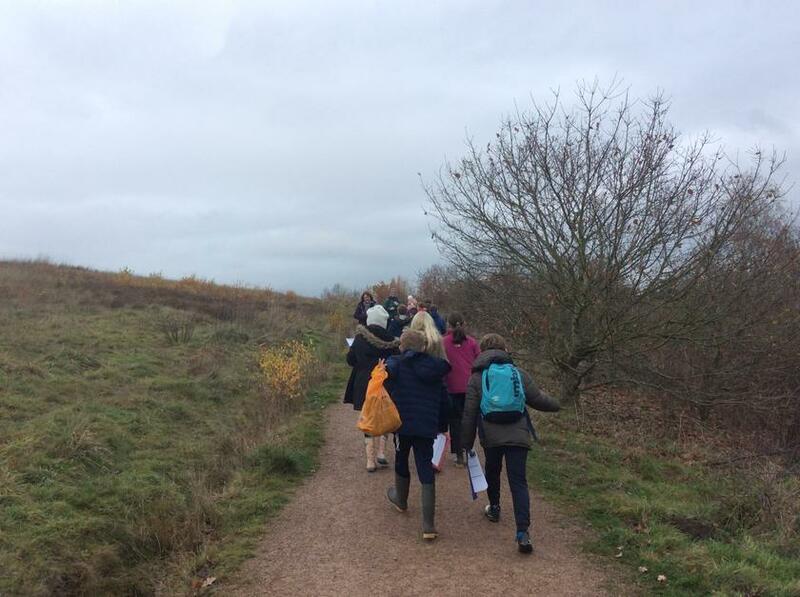 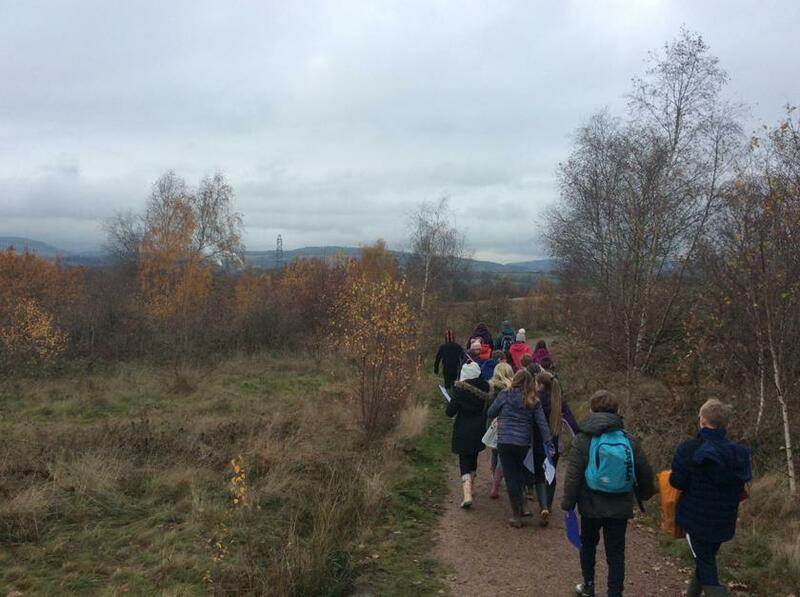 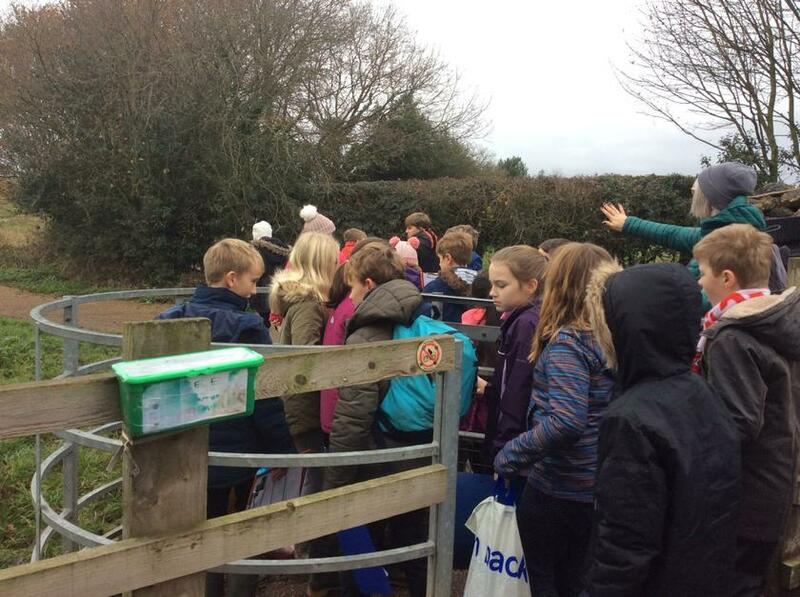 Following on from our wonderful project with St. Martins School, today we visit Ifton Meadows. 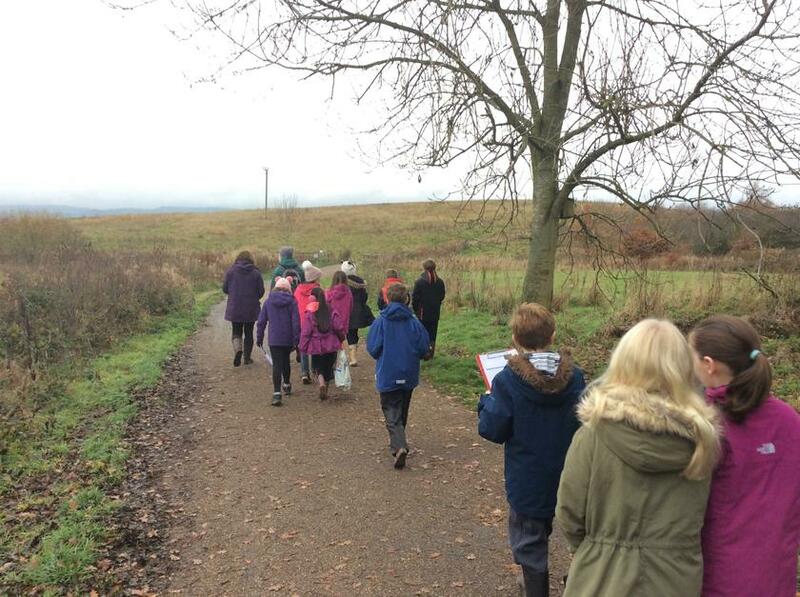 As we walked around this area, now described as a nature area we were able to see memories of the past of the old colliery. 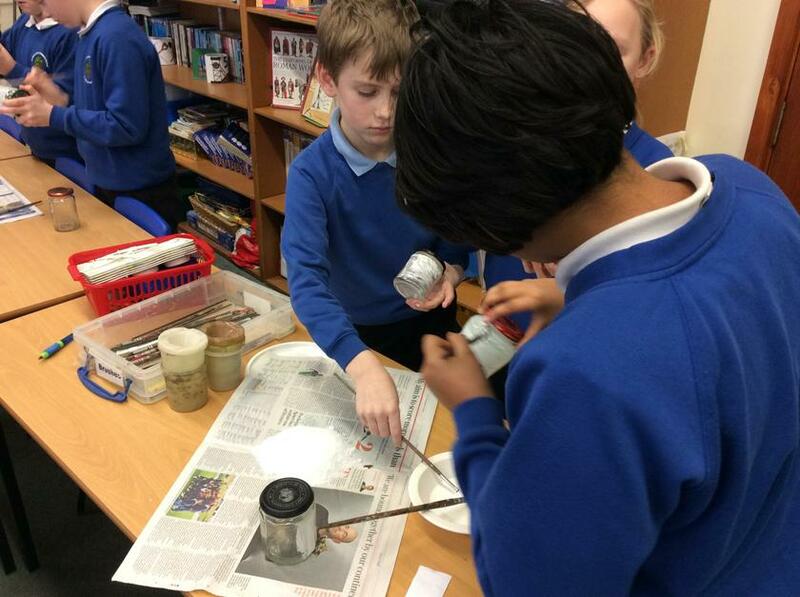 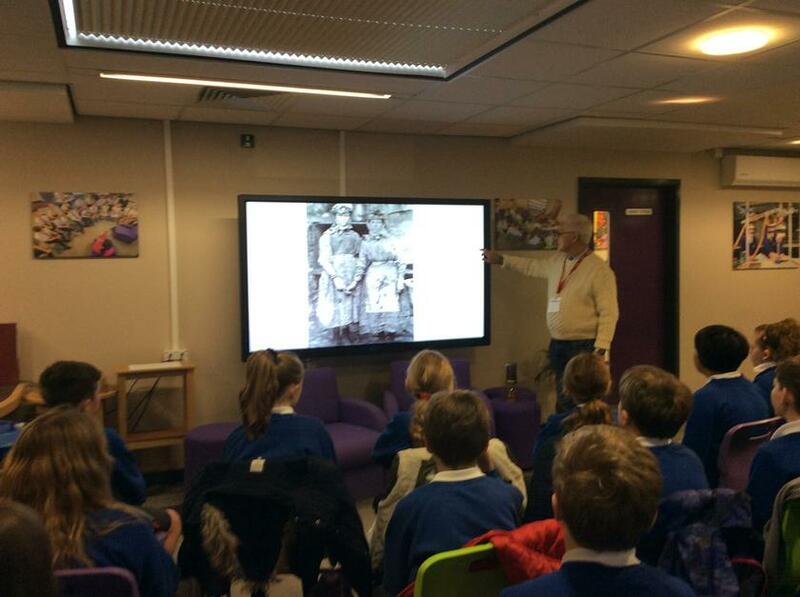 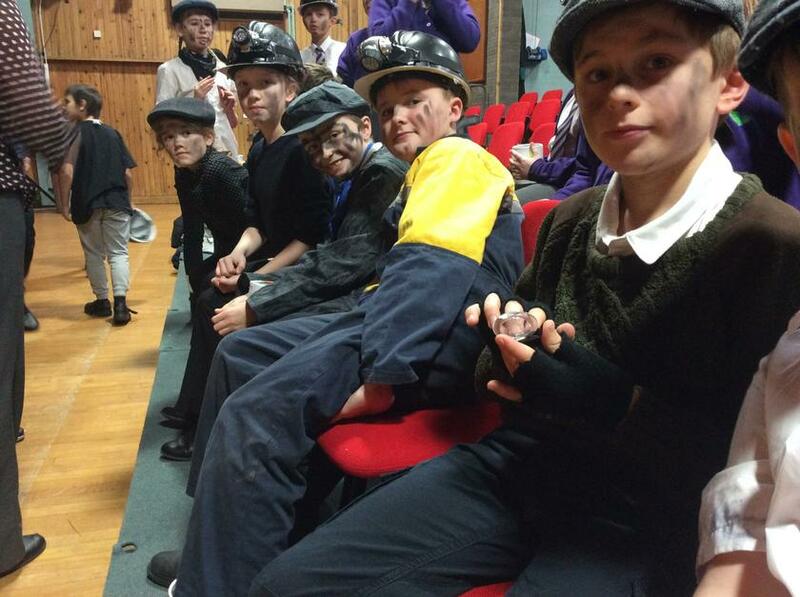 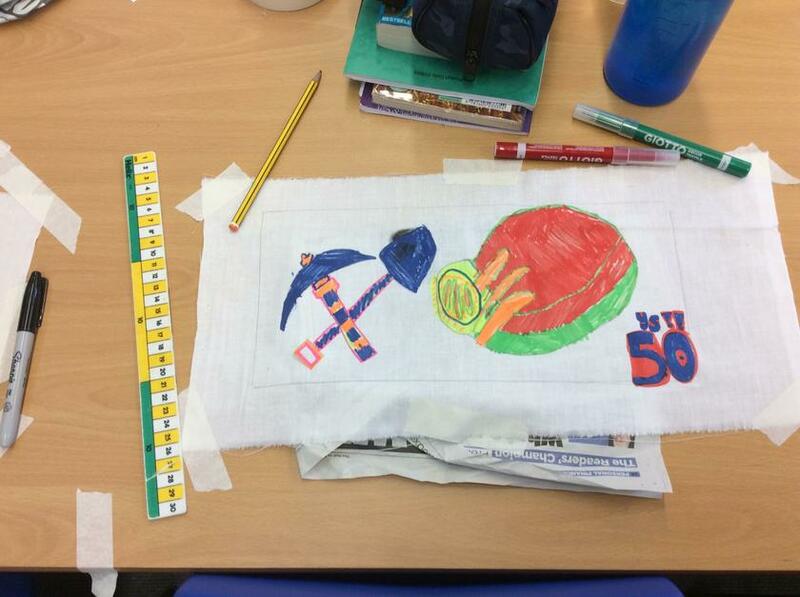 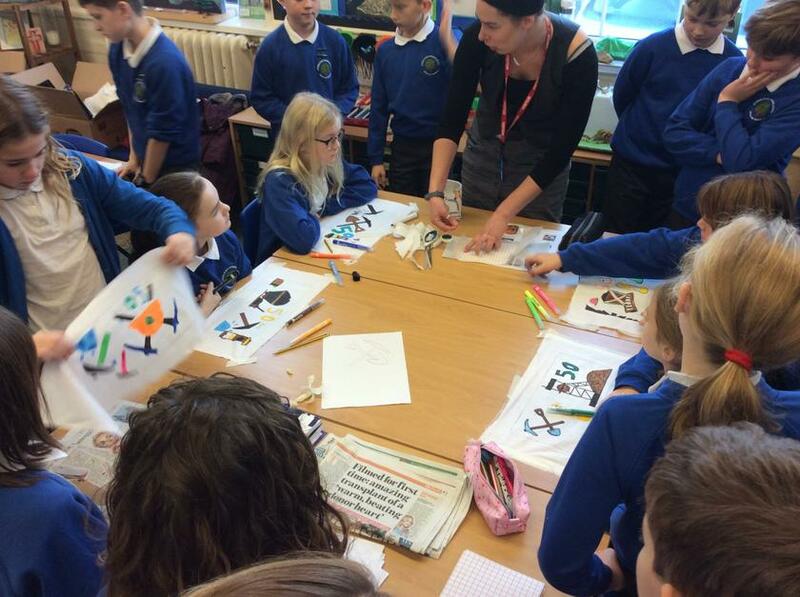 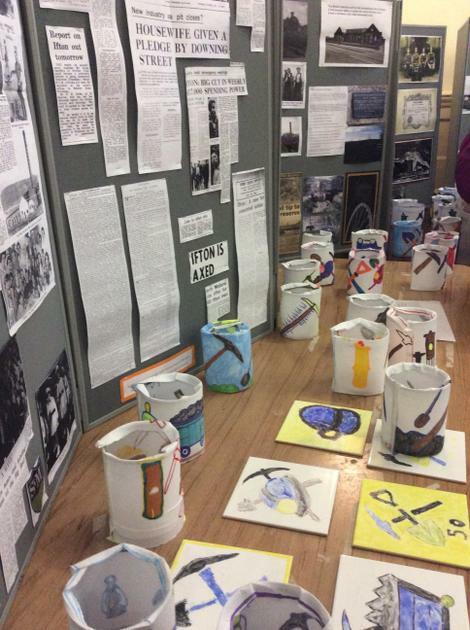 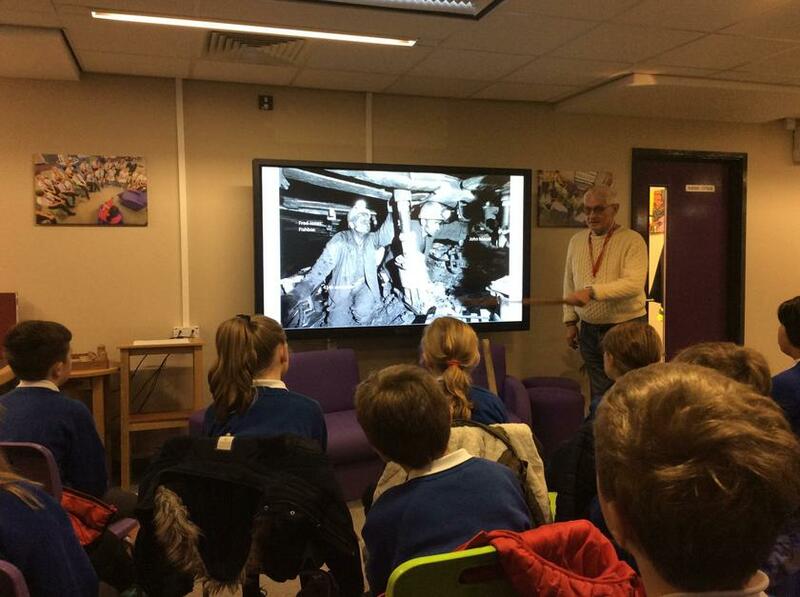 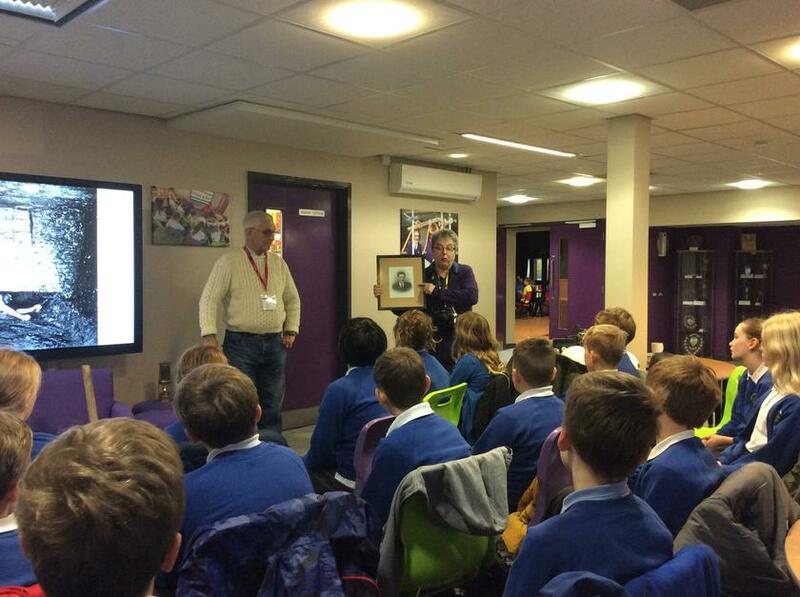 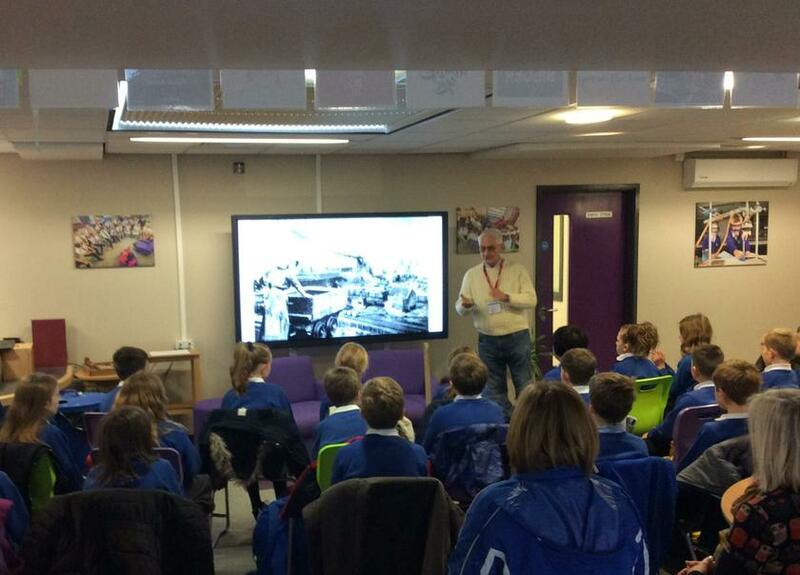 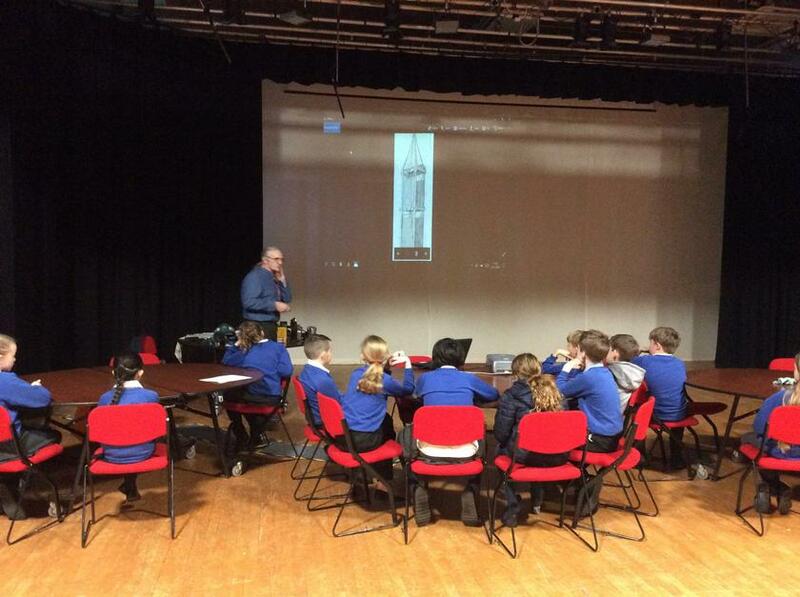 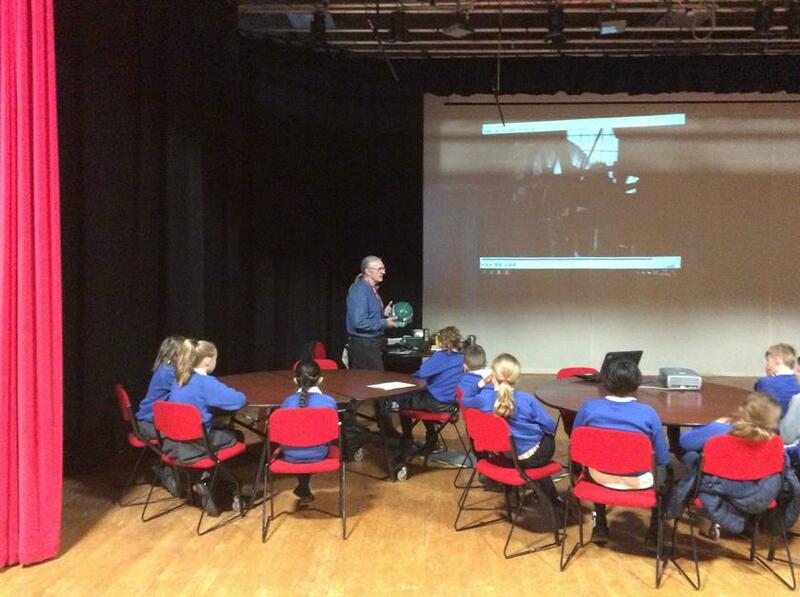 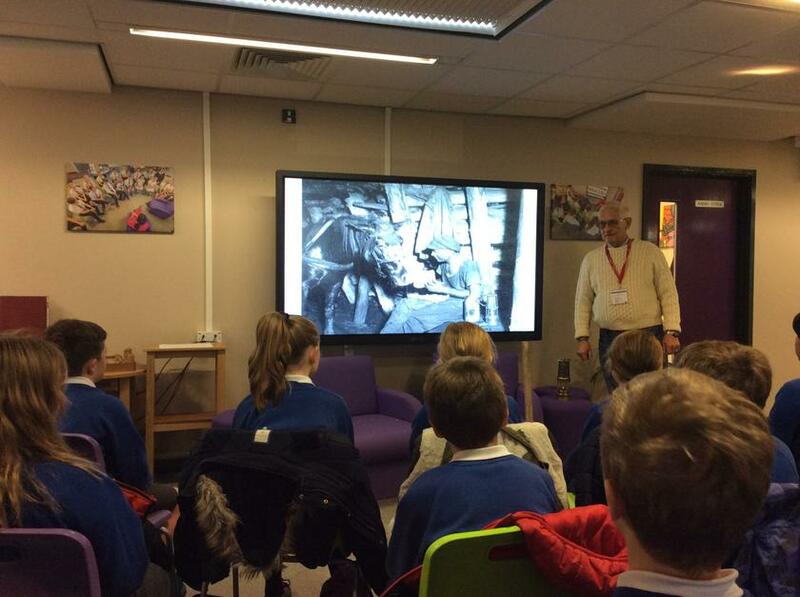 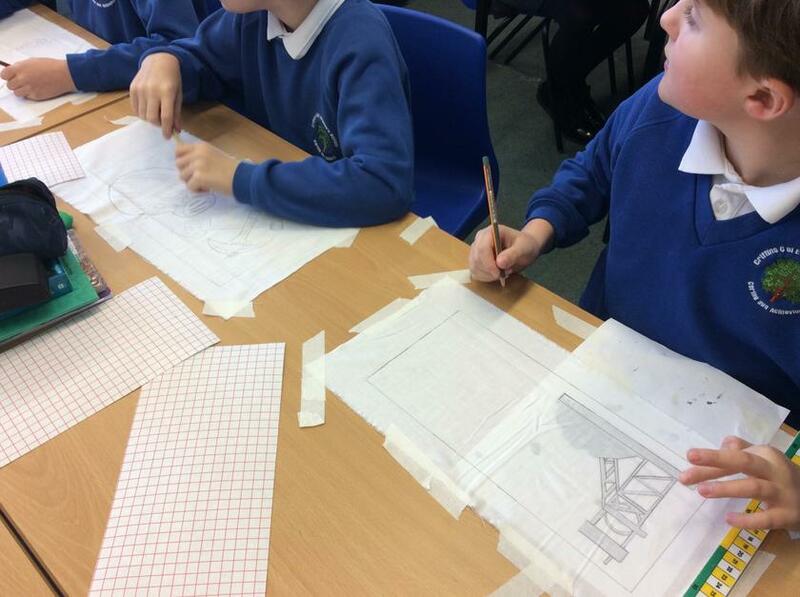 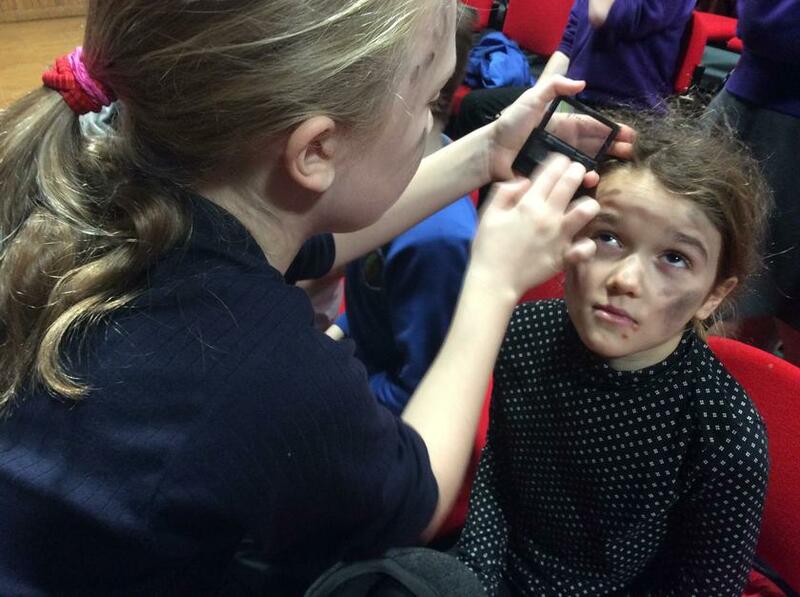 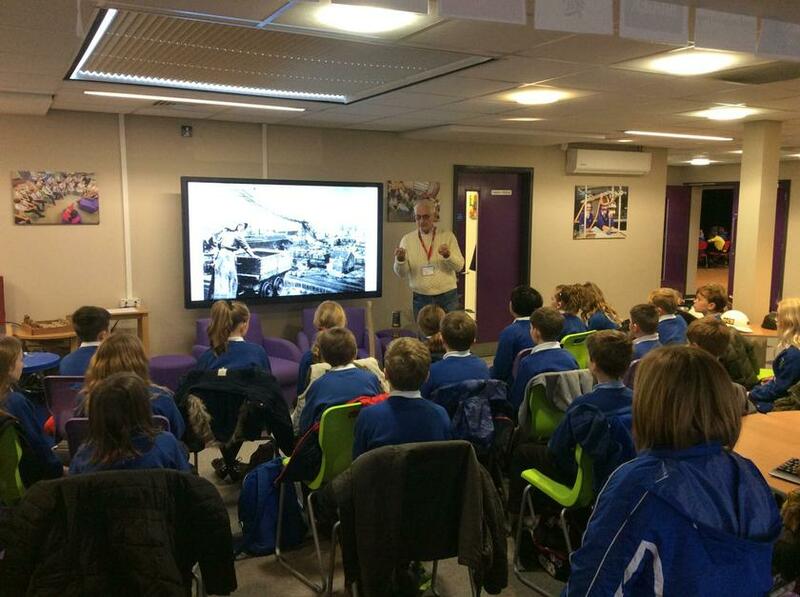 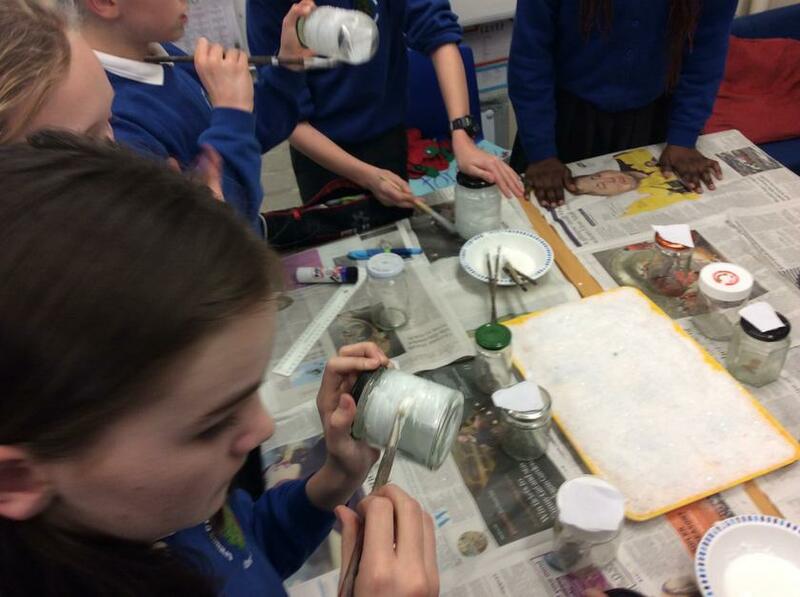 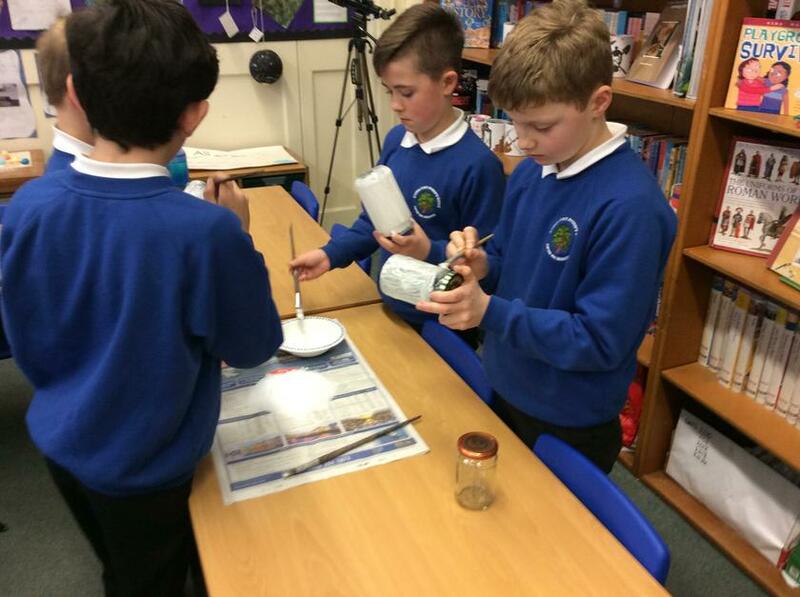 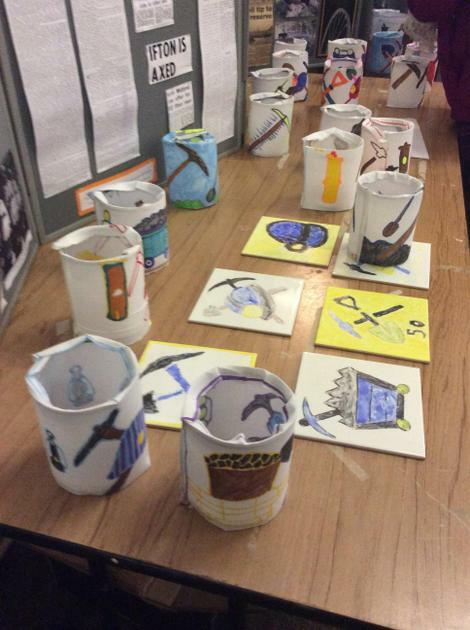 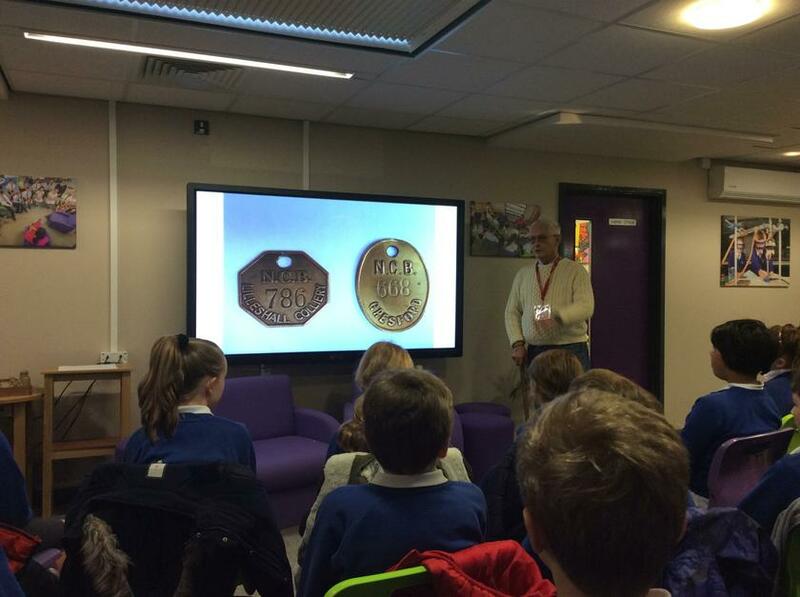 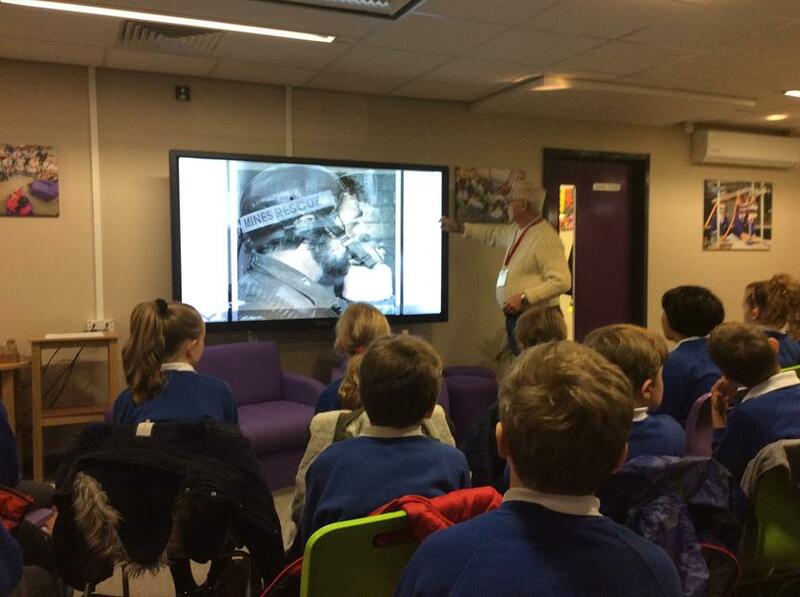 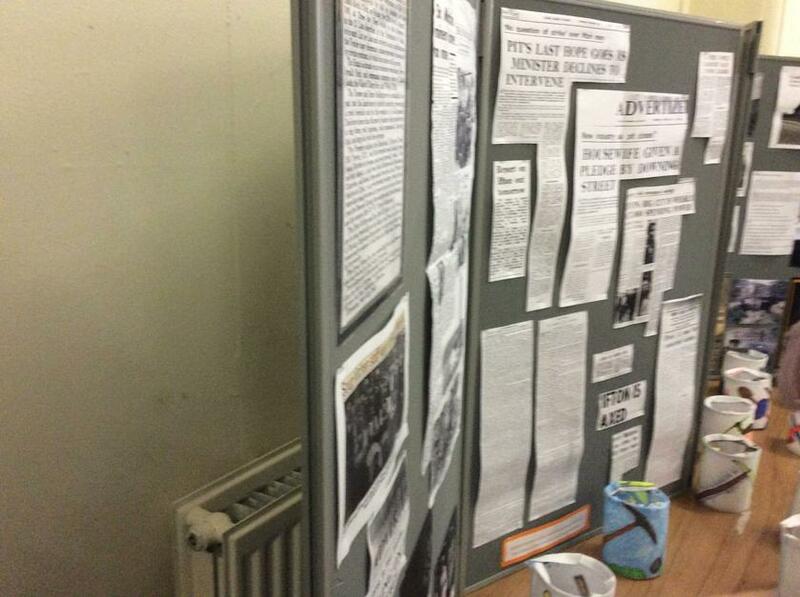 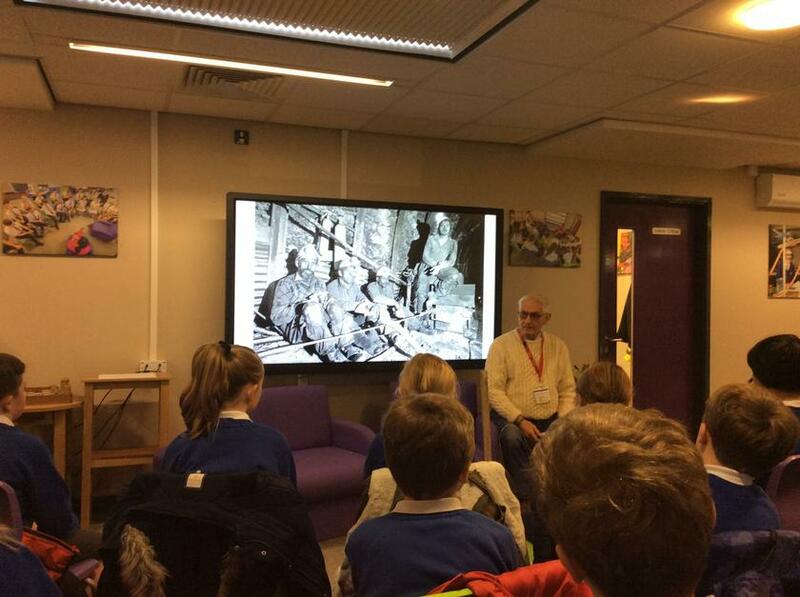 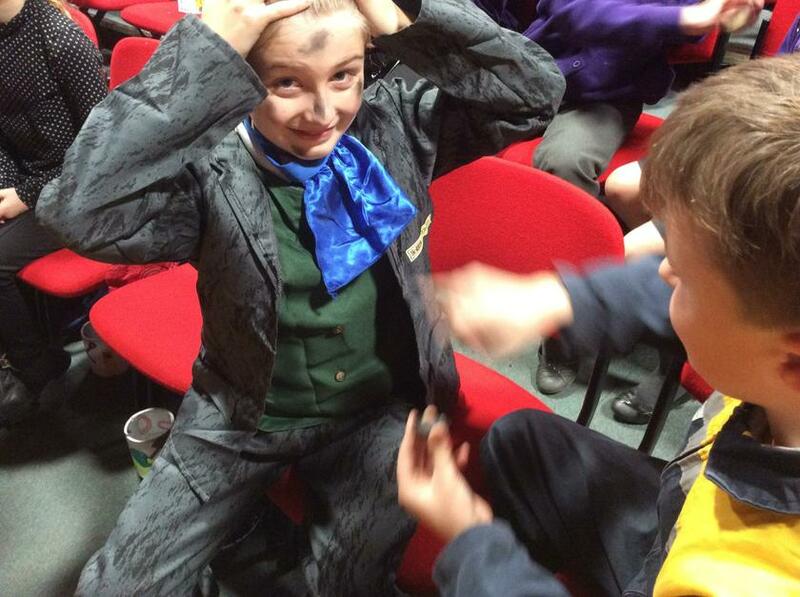 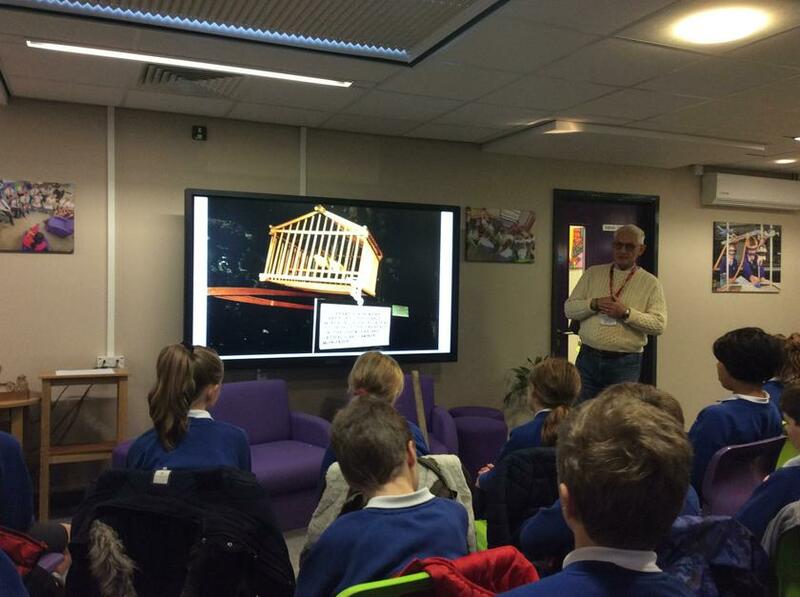 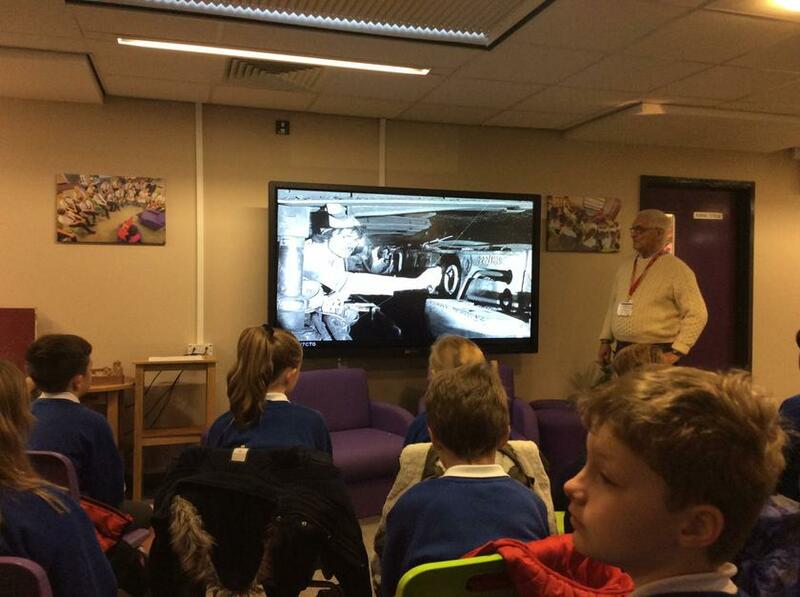 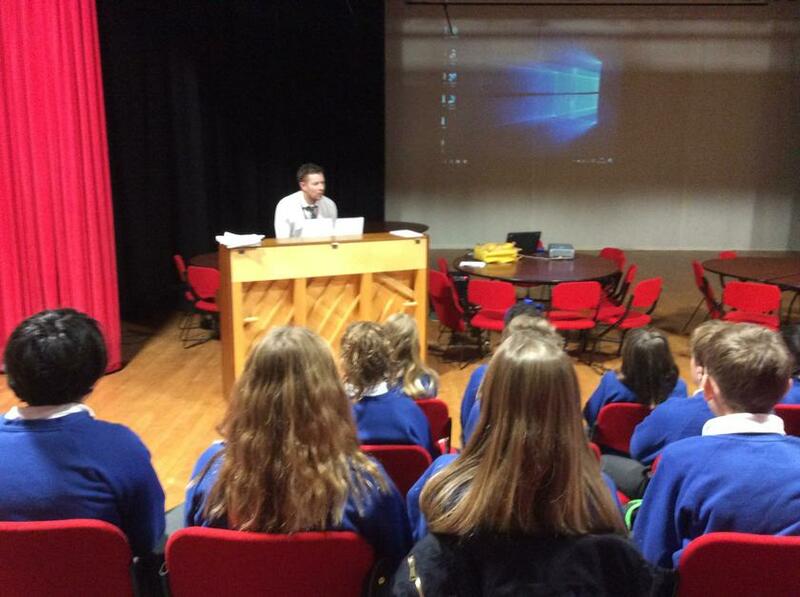 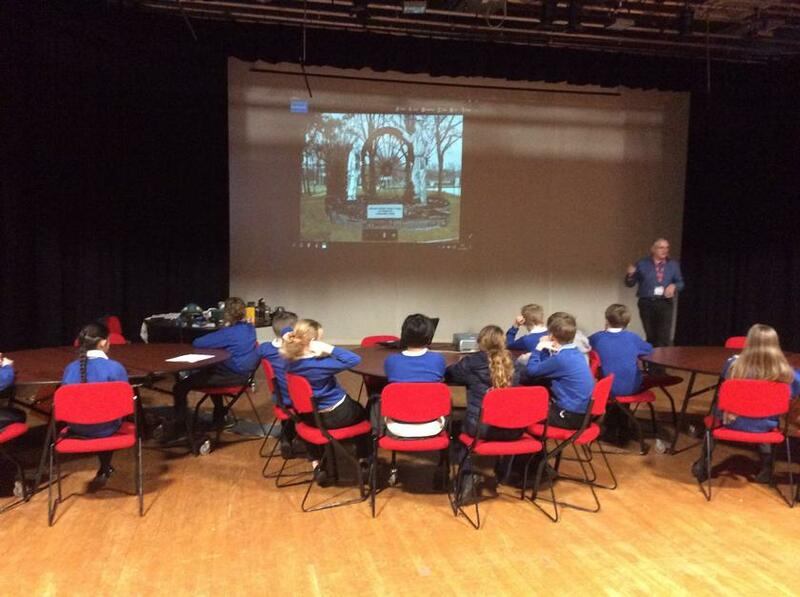 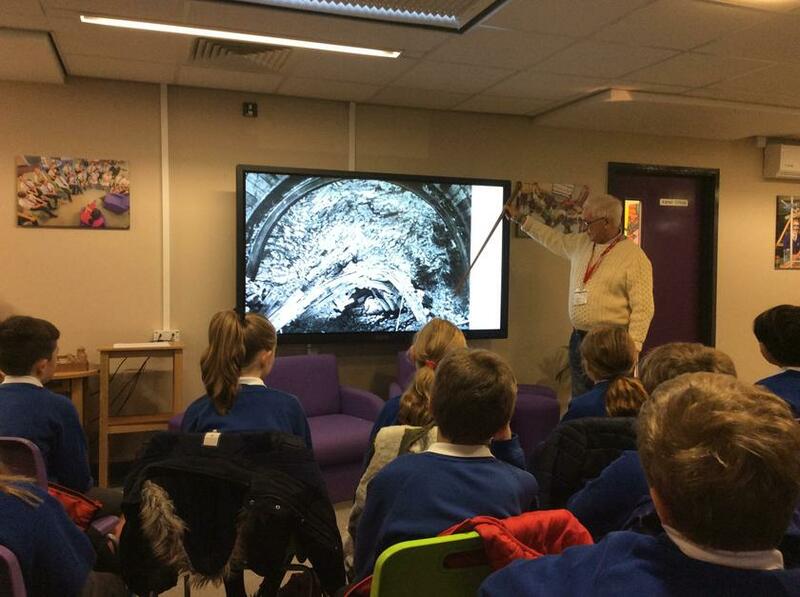 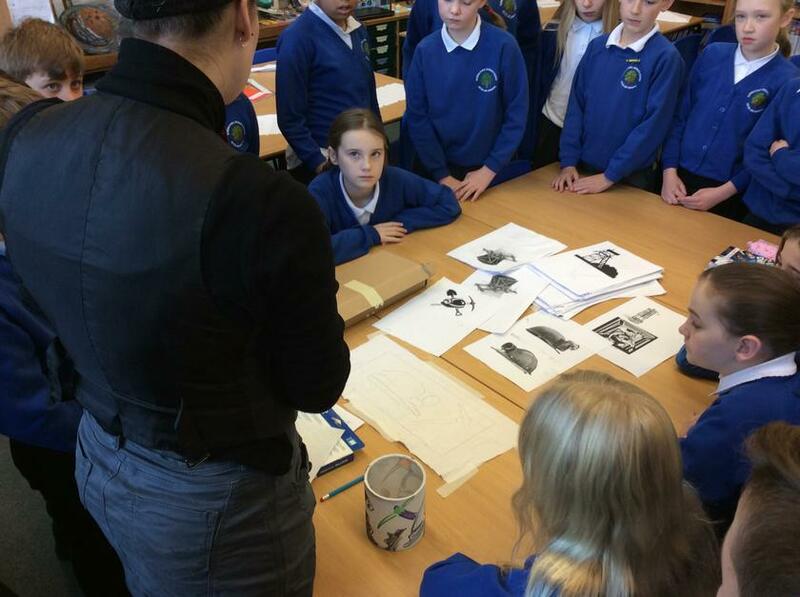 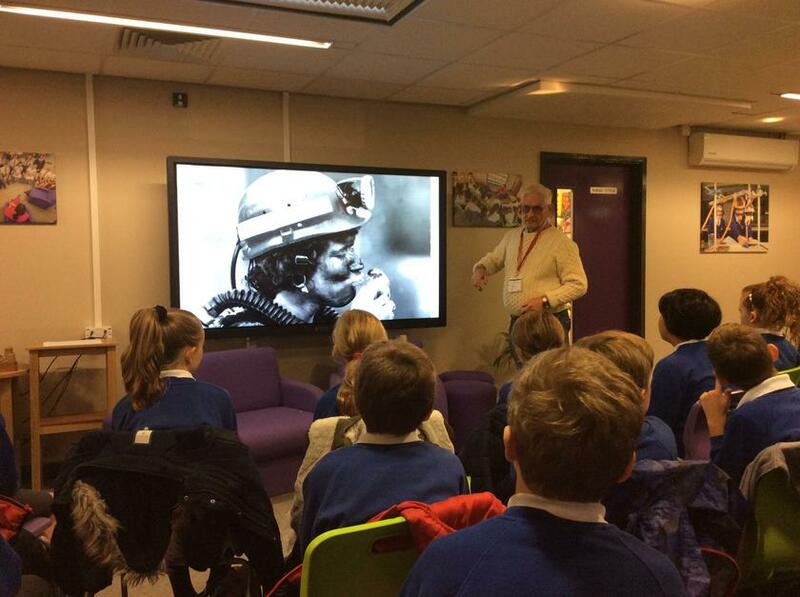 This project has enabled Criftins pupils to research, study, create, perform, sing and also imagine life as a miner. 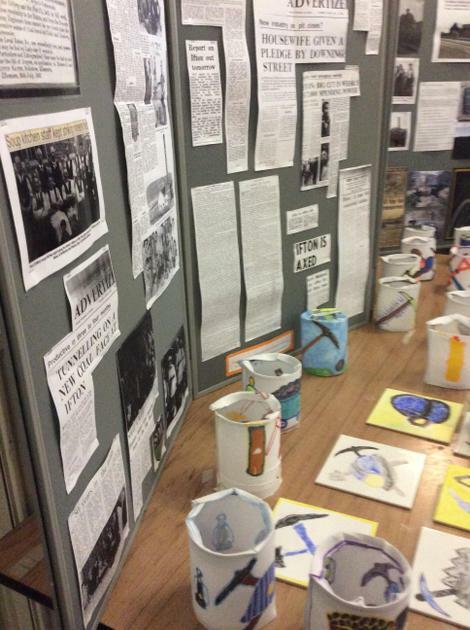 A great and truly memorable experience, fully funded and created by St. Martins School. 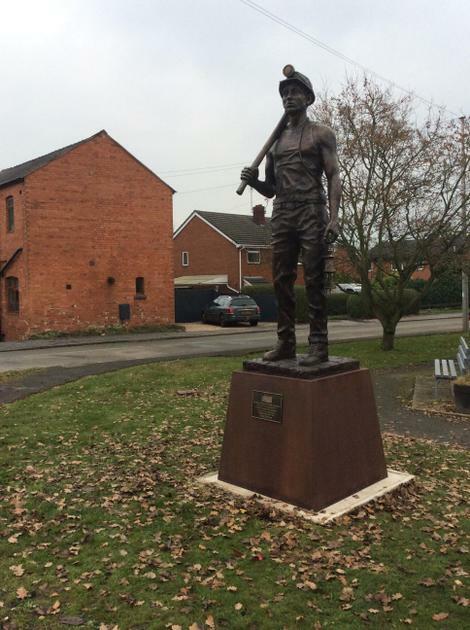 We will remember the Miners. 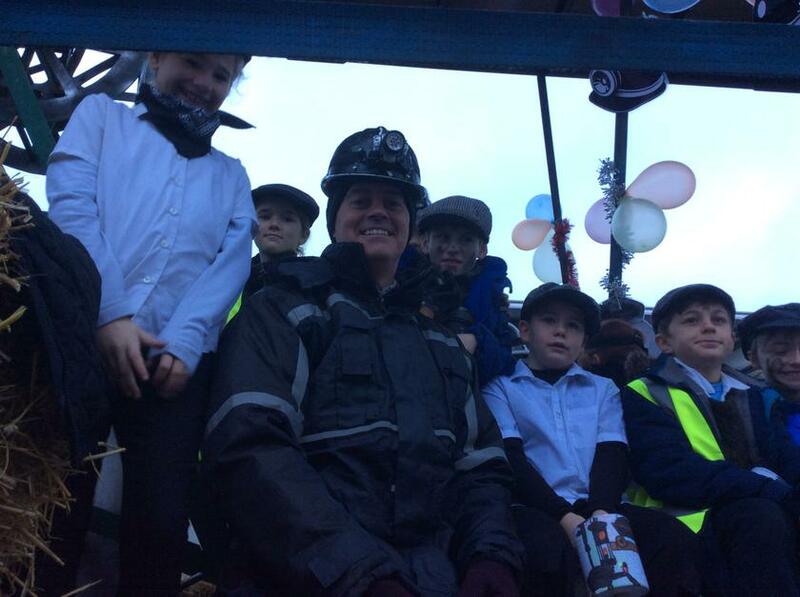 What a wonderful celebration of events for the community of St. Martins. 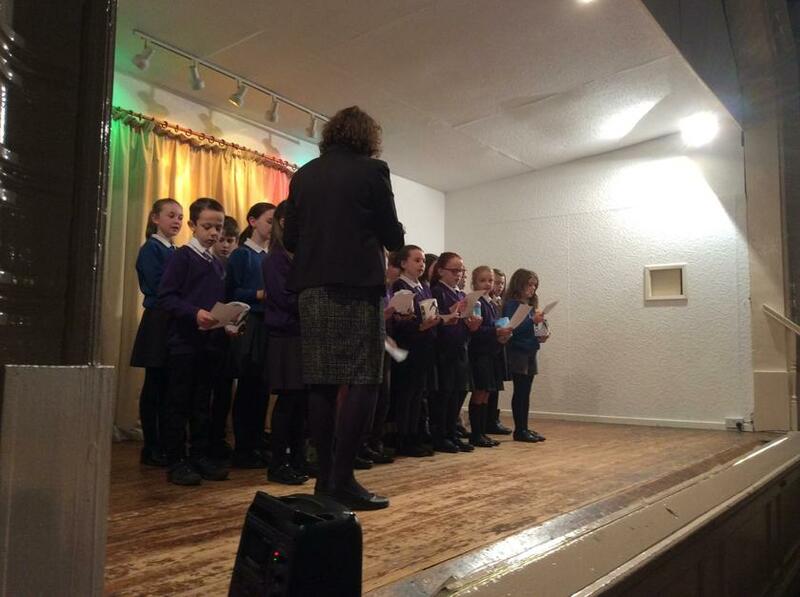 Following a church service and unveiling of the fabulous Miner Statue was a performance at the Ifton Miners Institute. 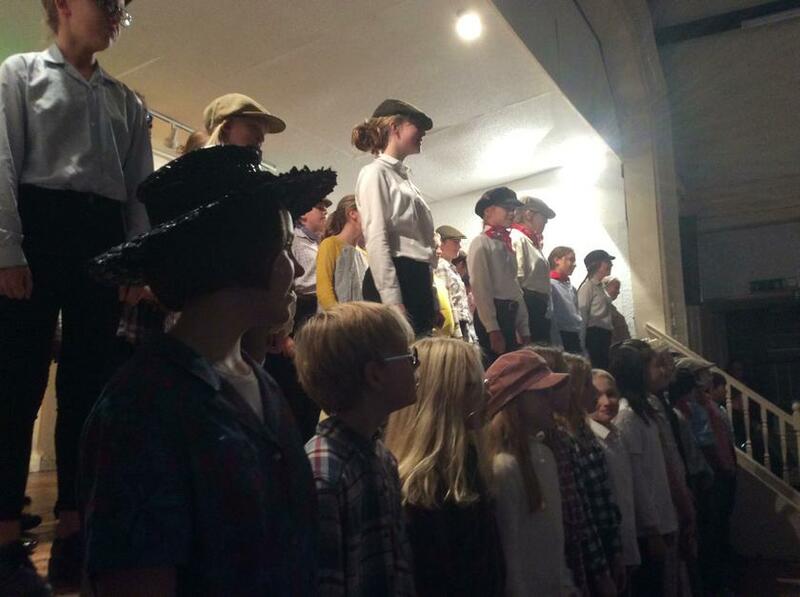 It was lovely to see and hear St. Martins pupils and Criftins singing on stage to a huge audience. 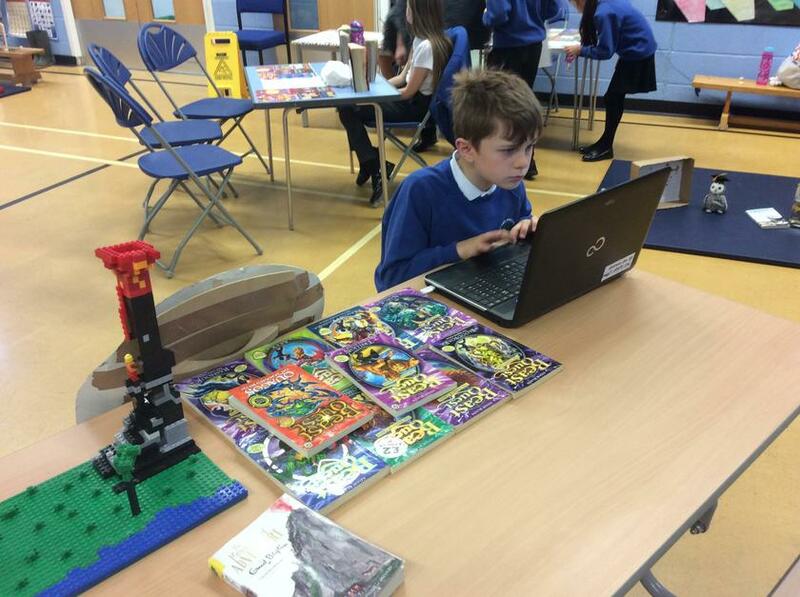 A huge thank you to Carol Jones and all her team for their commitment and hard work putting together this fabulous project. 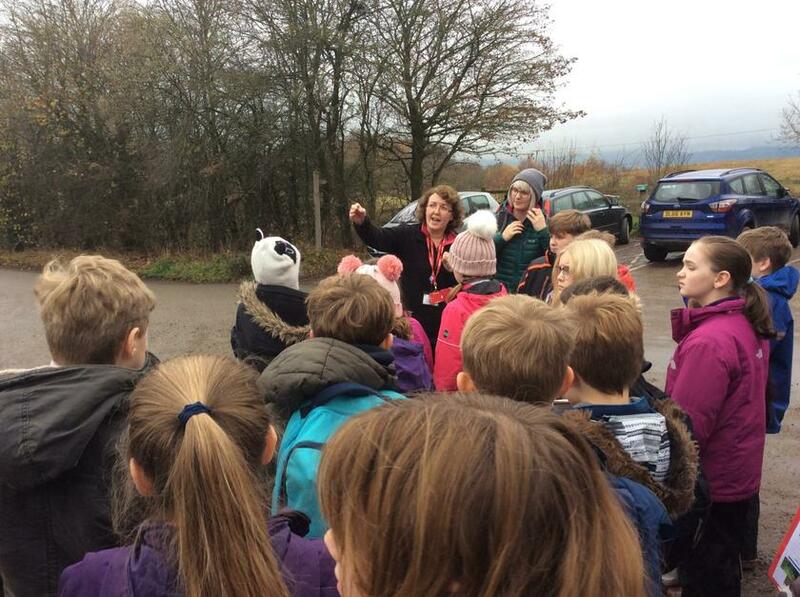 This morning we were delighted when Mrs. Jones and Miss. 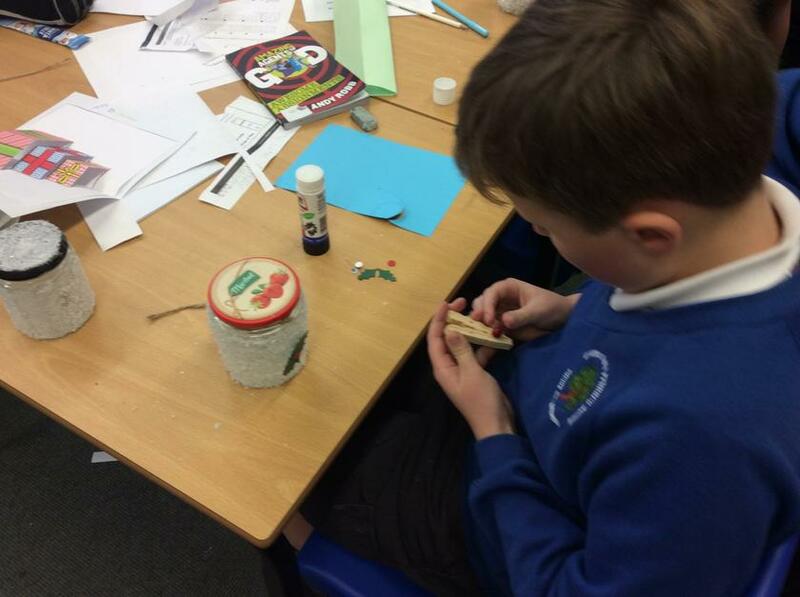 Price joined us to help create some Miners Lamps. 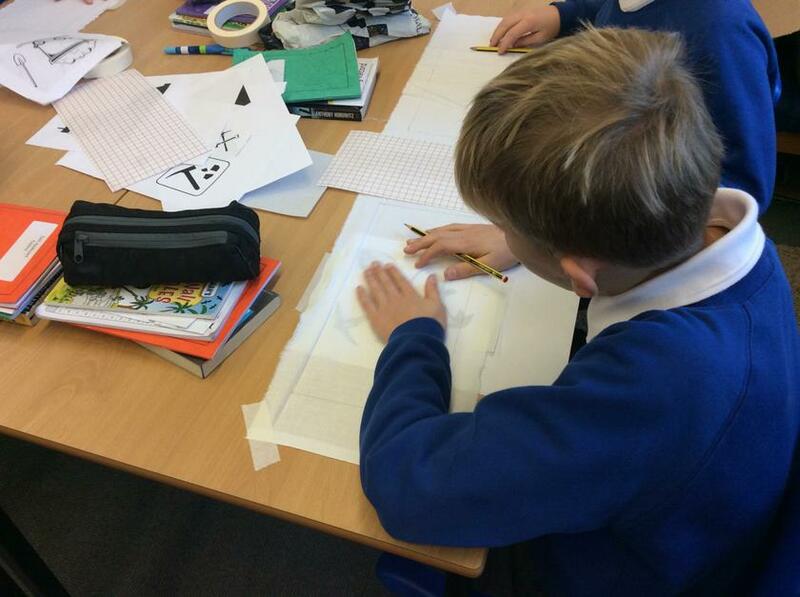 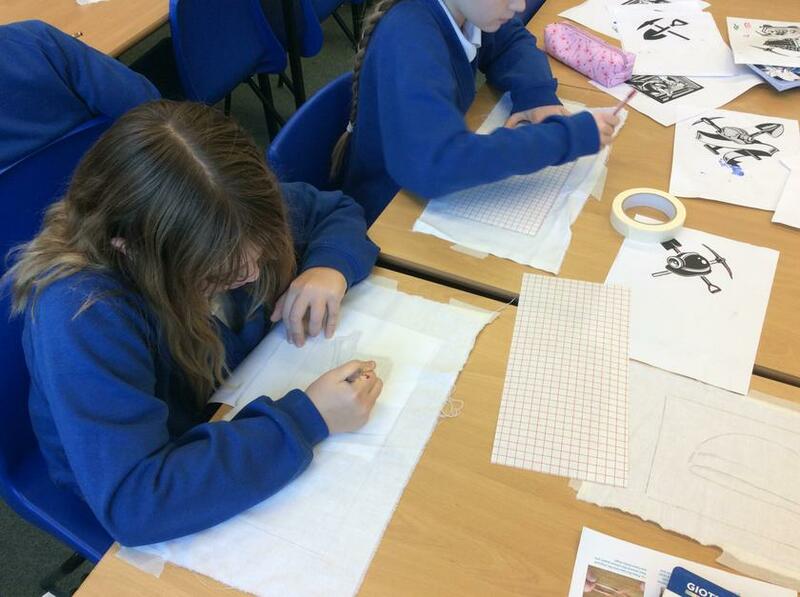 Being able to have the help from St. Martins School is a wonderful opportunity for our pupils and also great fun. 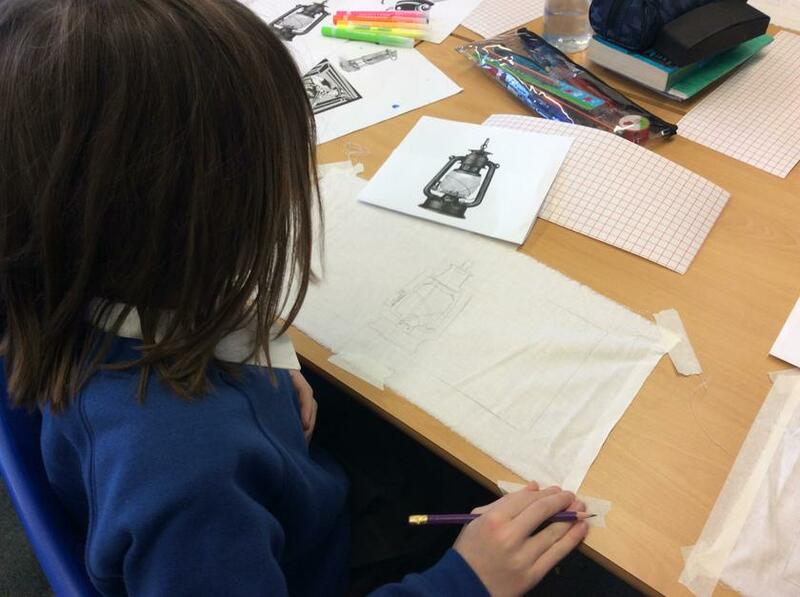 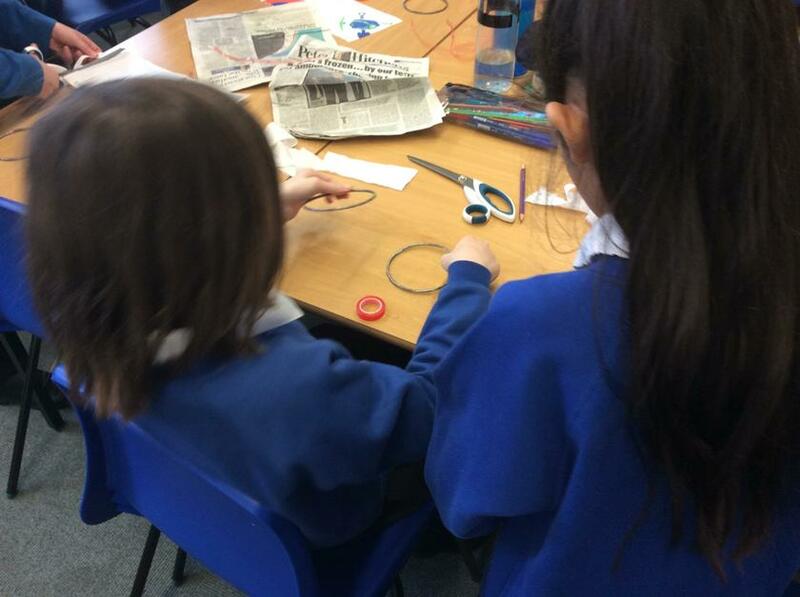 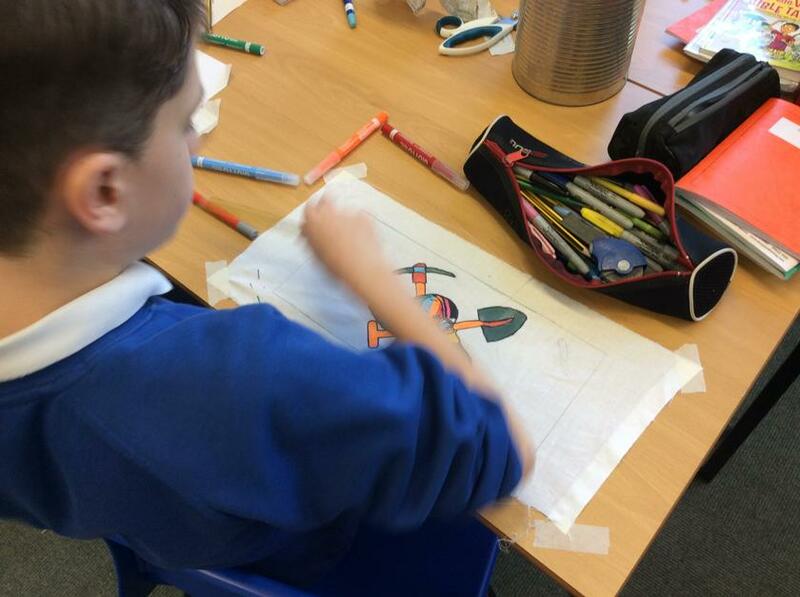 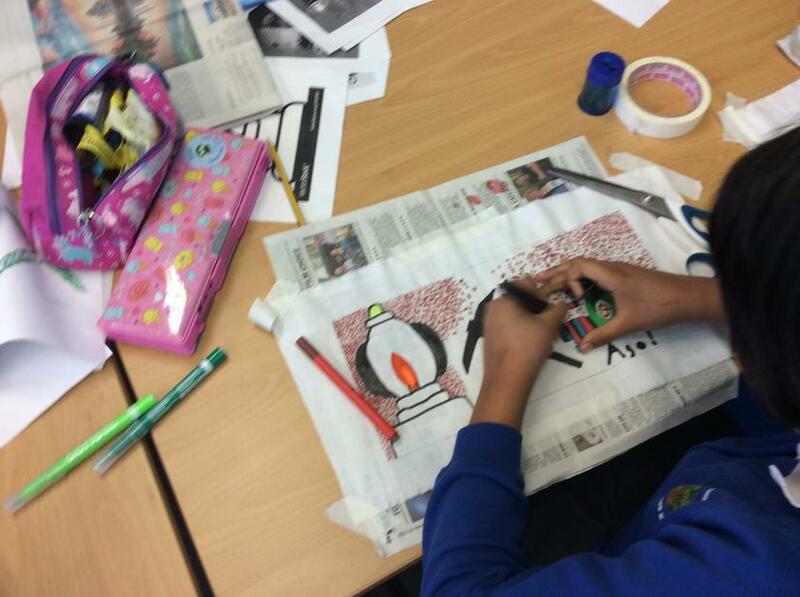 Pupils created an image onto fabric and then used sticky back plastic and metal rings to form a lamp shape. 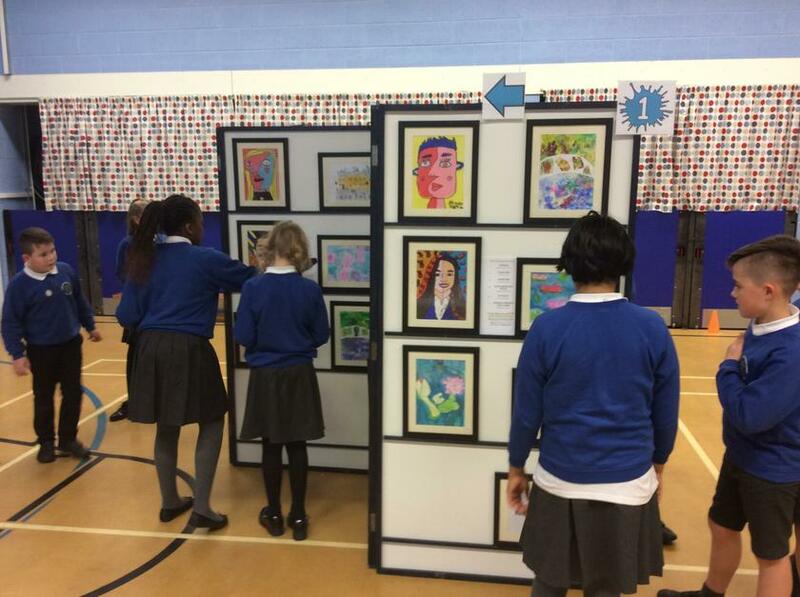 They looked amazing, but we couldn’t have done it without the expertise of Miss Price and Mrs. Jones. 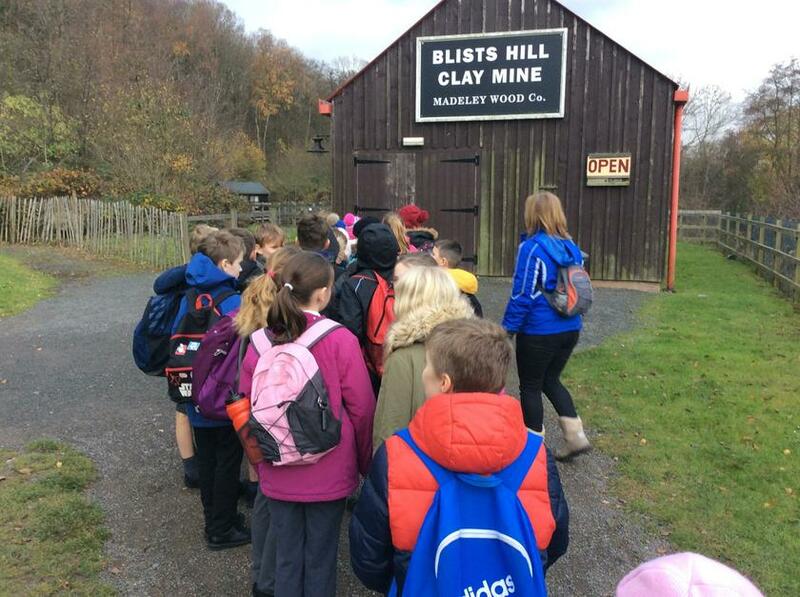 Ifton Miners and St. Martins School. 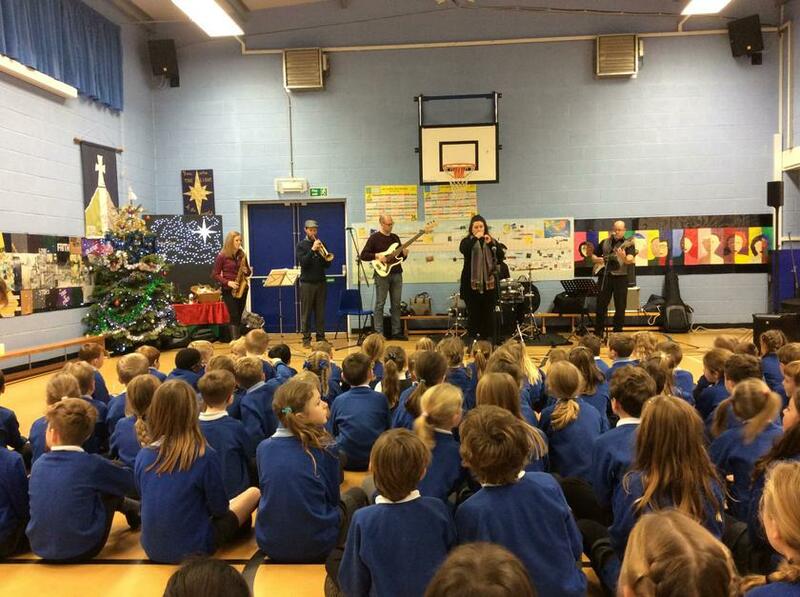 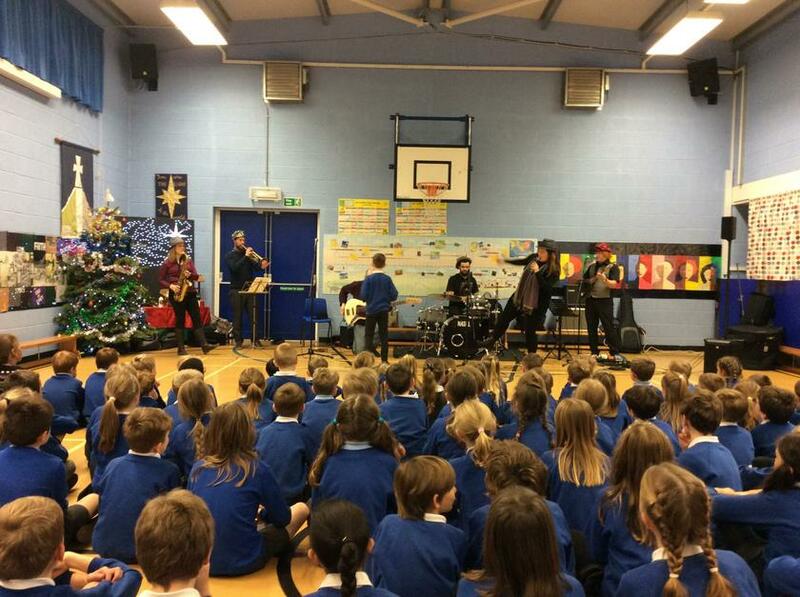 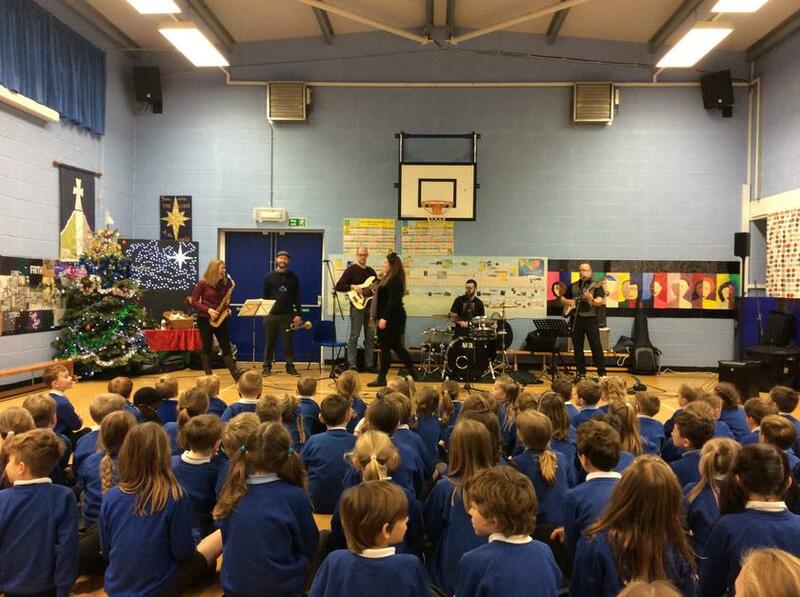 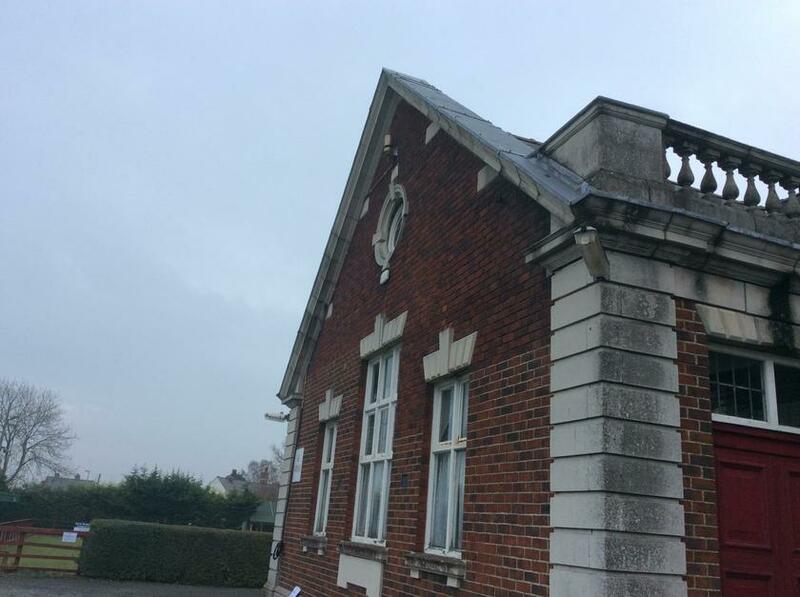 Today we joined St. Martins School for our 2nd. 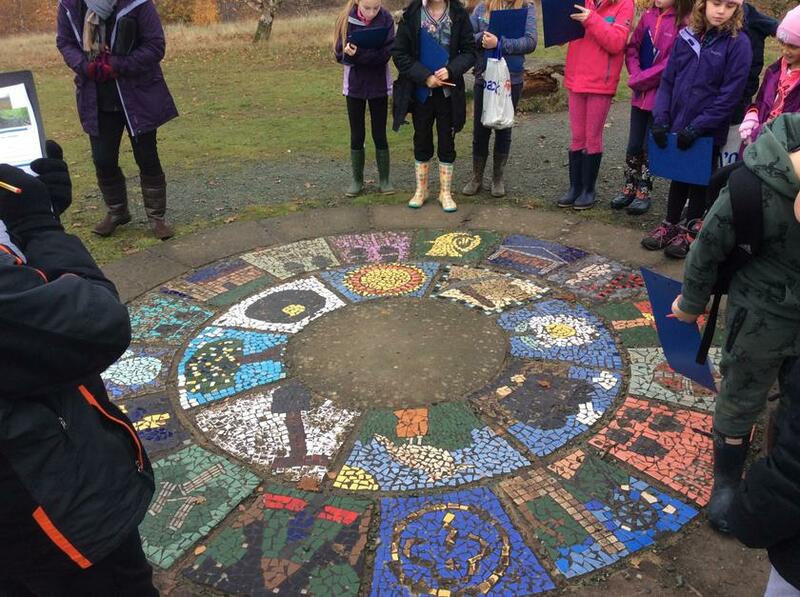 wonderful day exploring our shared community project. 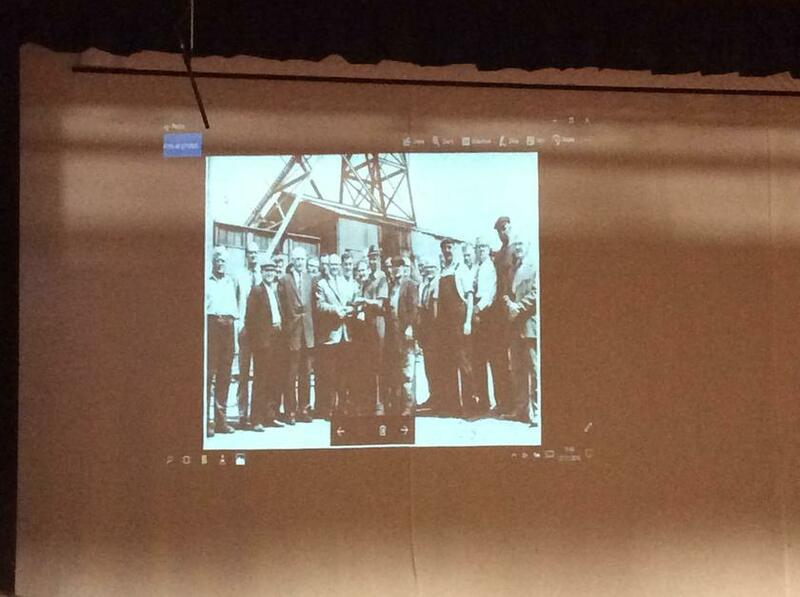 It was incredible to meet two former miners who shared photographs and real life stories of their time working in the Coal Pits. 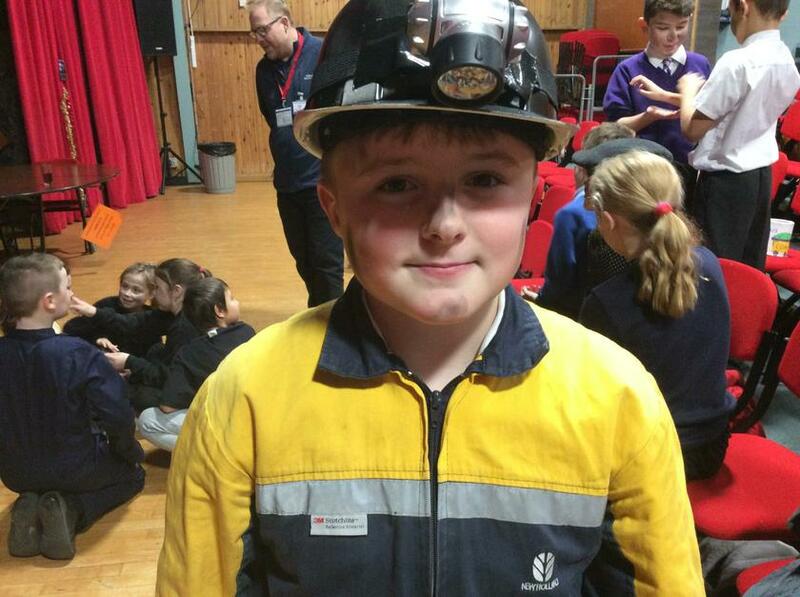 In the afternoon we practised the song, ‘We will remember’ as part of the miners celebration which will take place on Saturday. 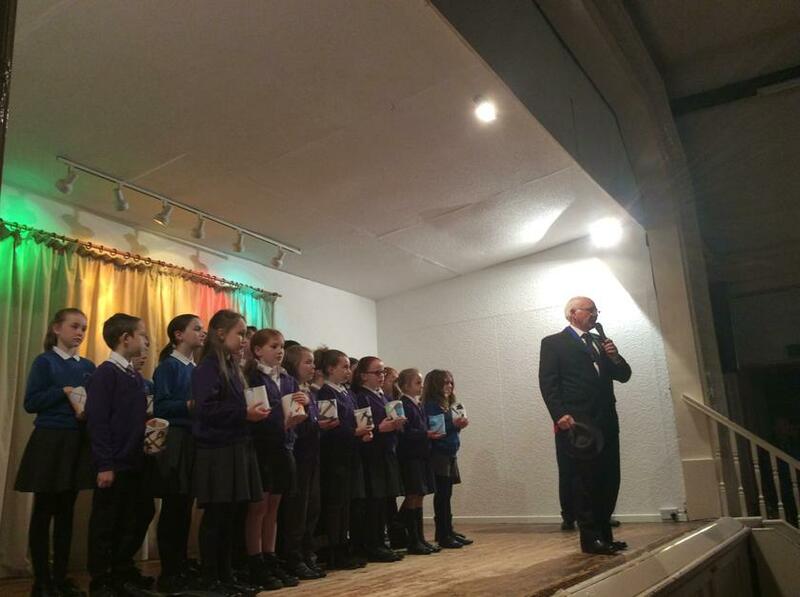 Singing together can be so powerful and what a superb way of remembering the work of the Ifton Miners. 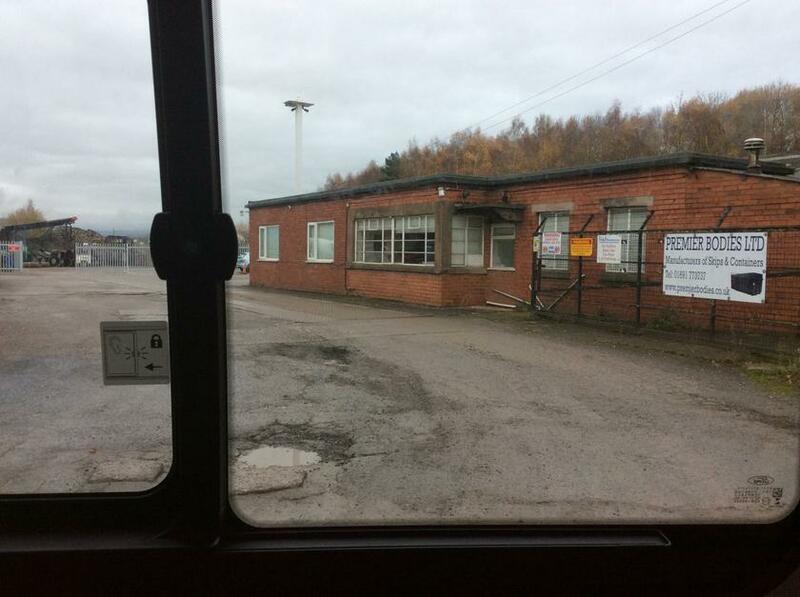 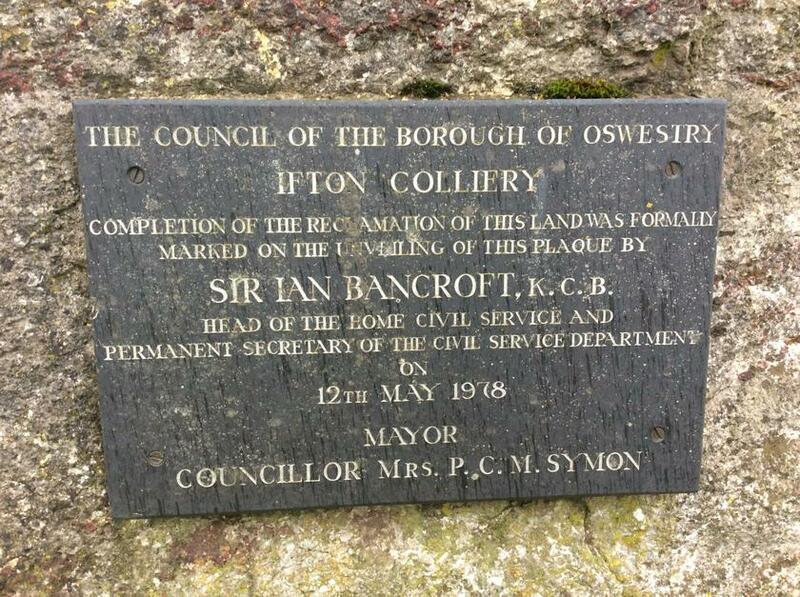 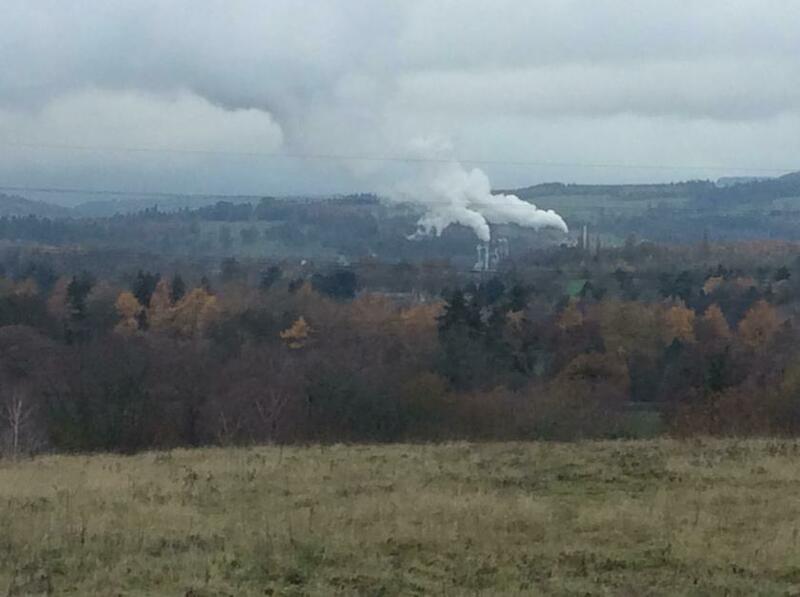 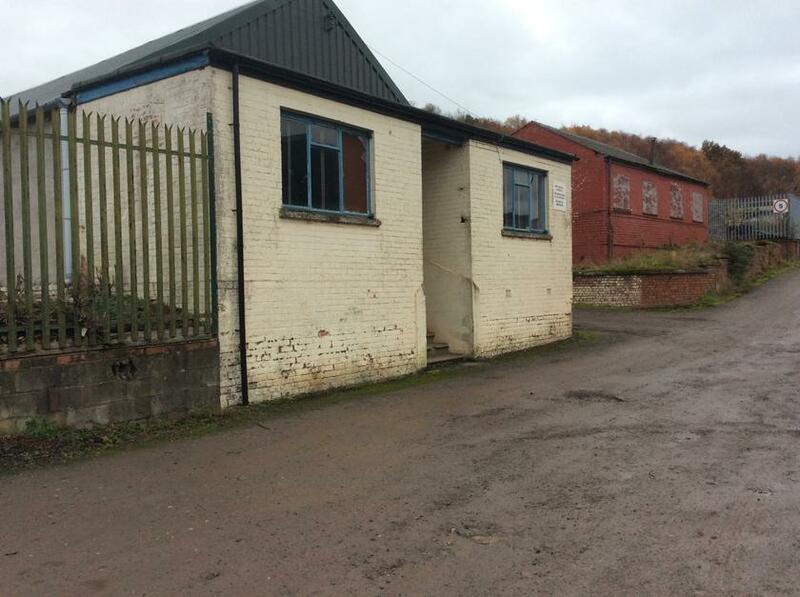 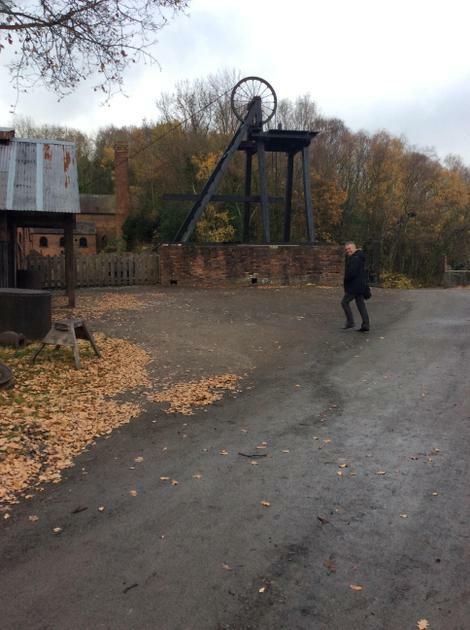 This Saturday sees the anniversary of 50 years since this working pit was closed. 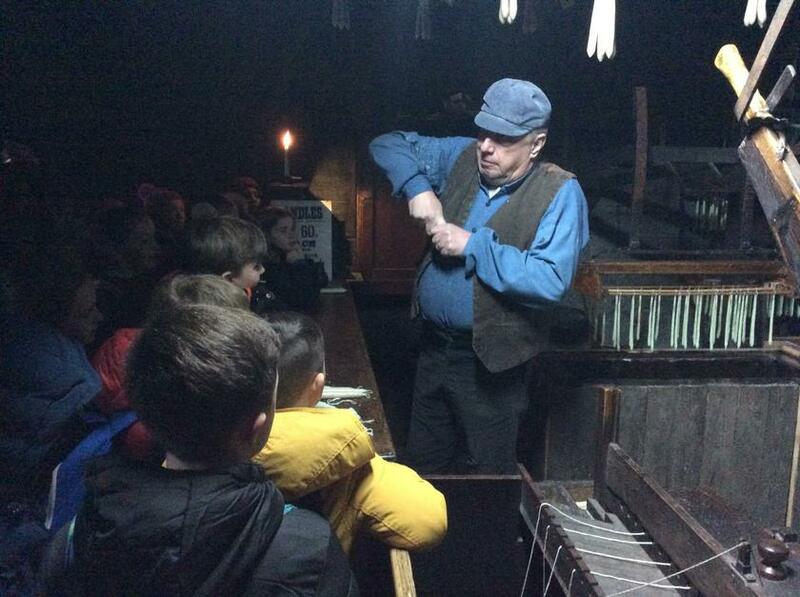 Victorian Experience with St. Martins School. 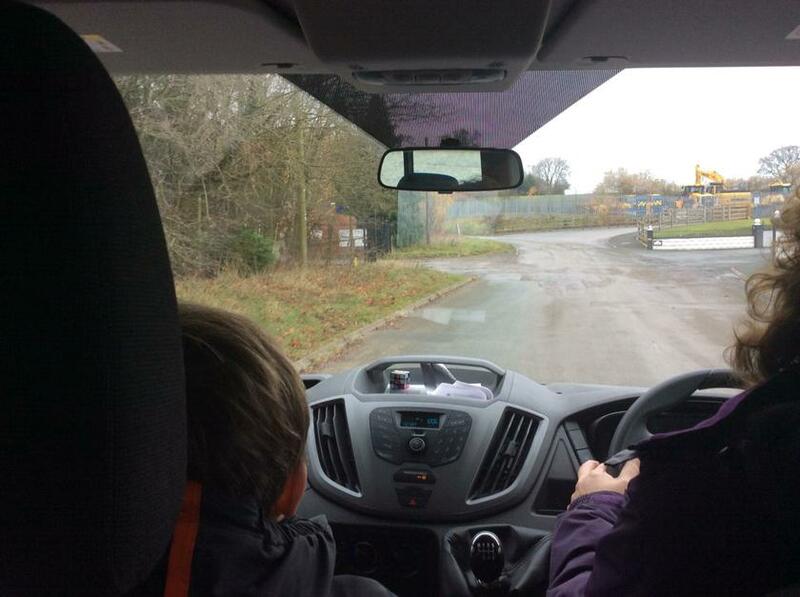 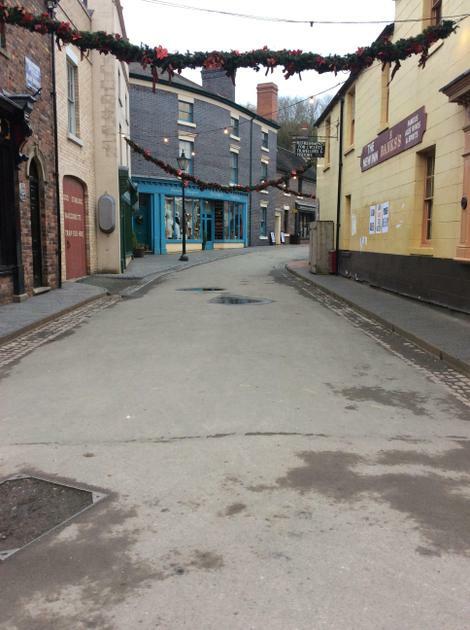 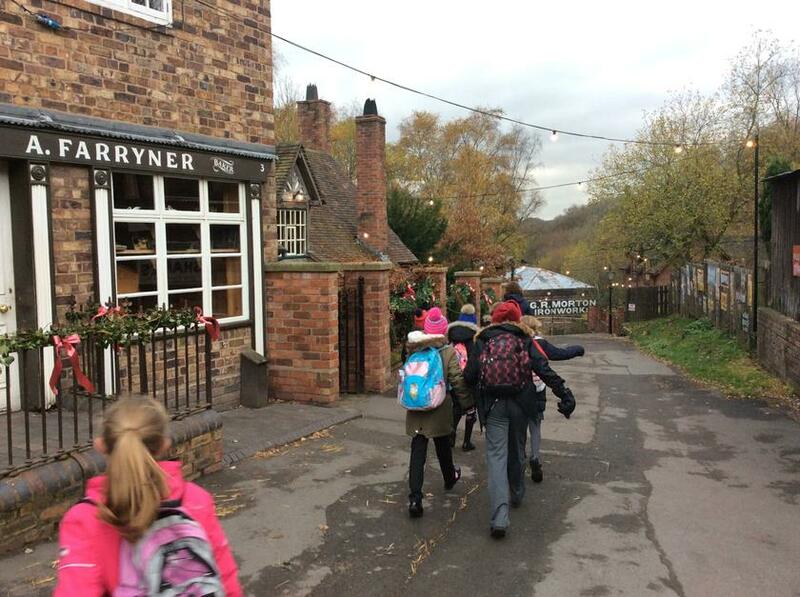 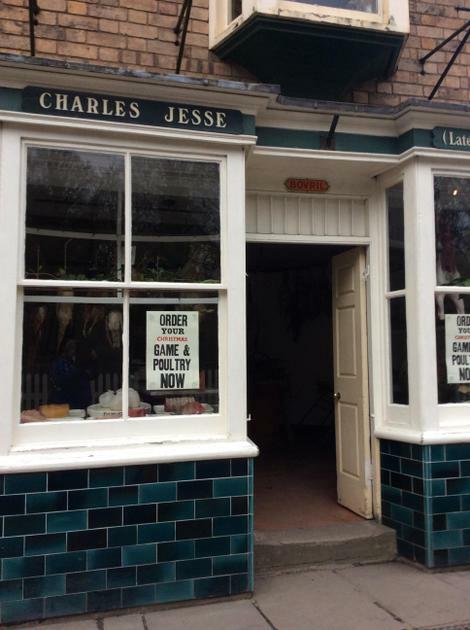 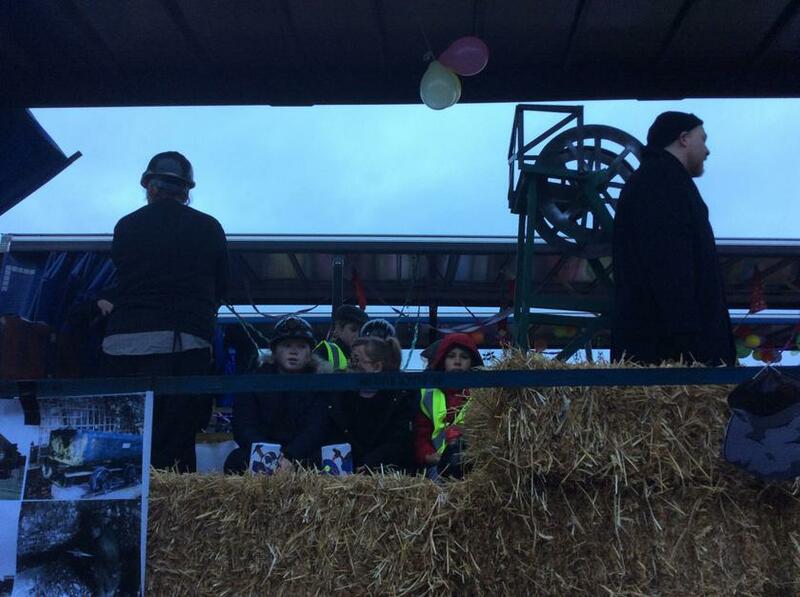 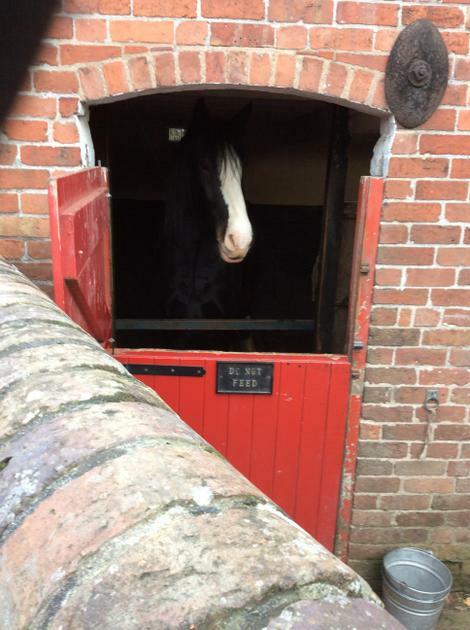 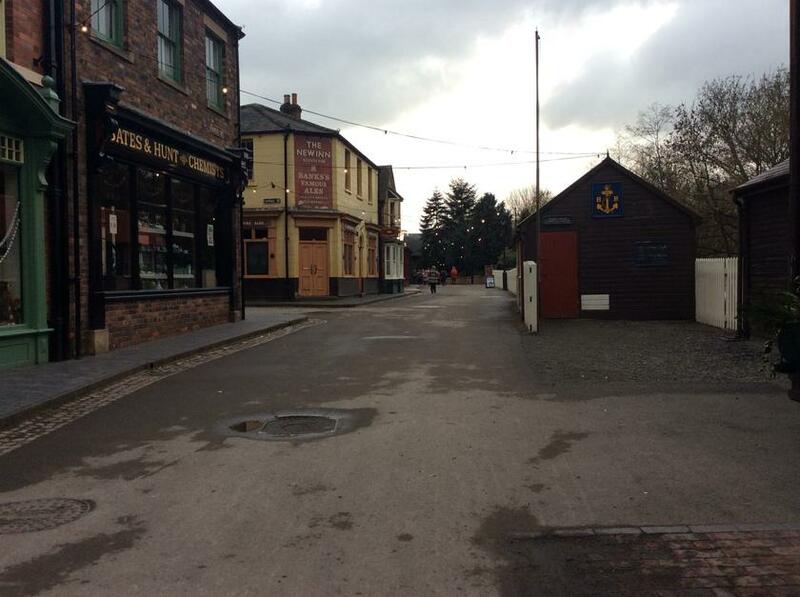 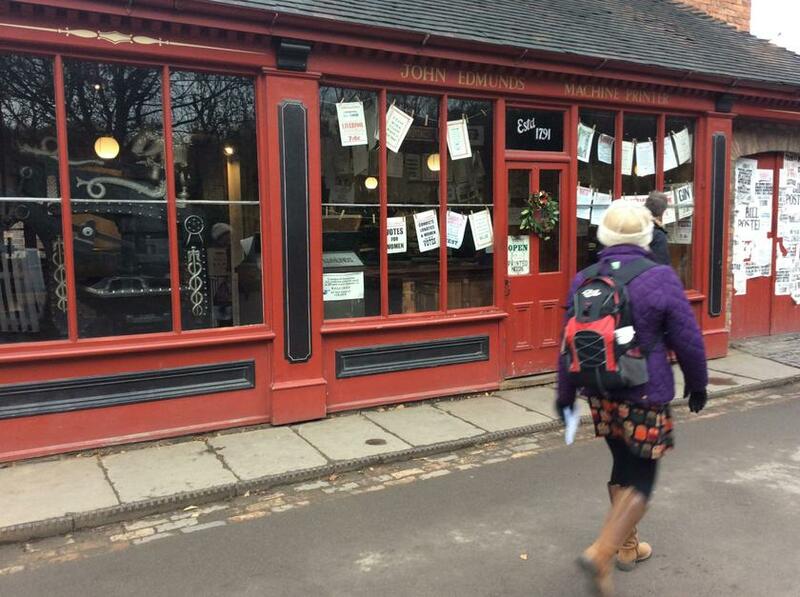 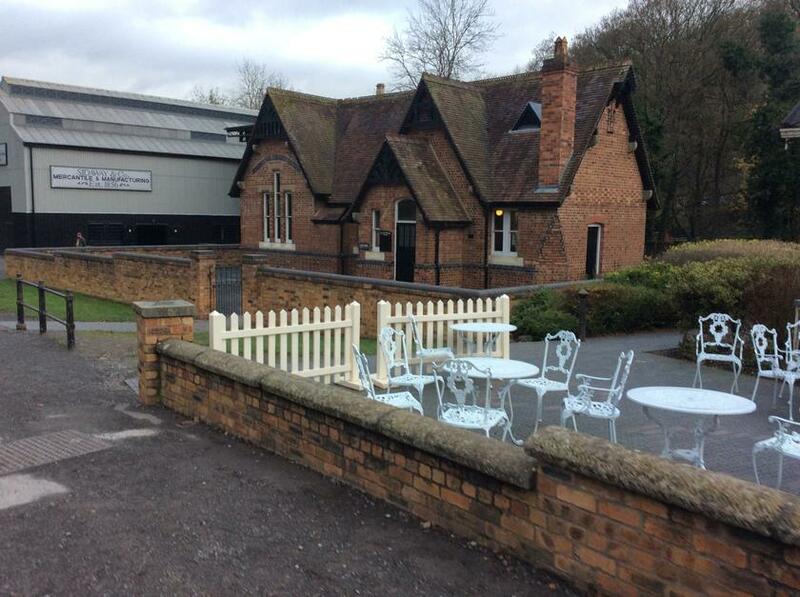 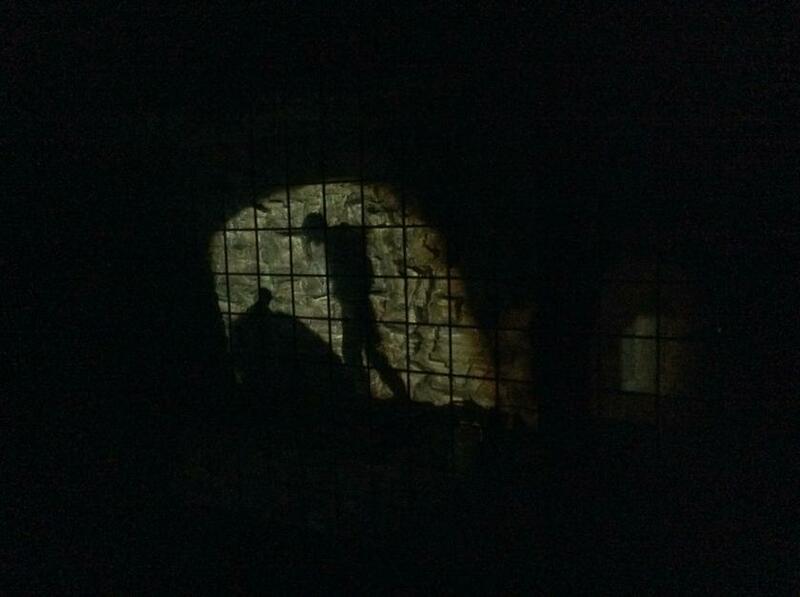 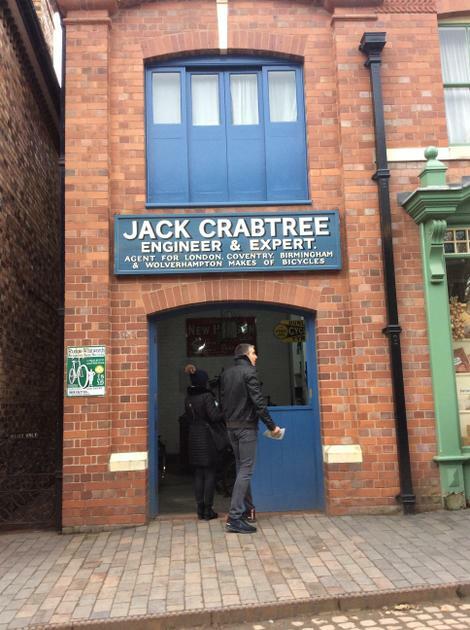 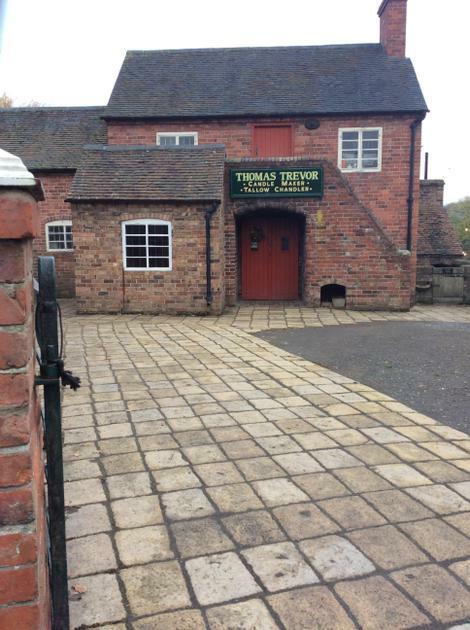 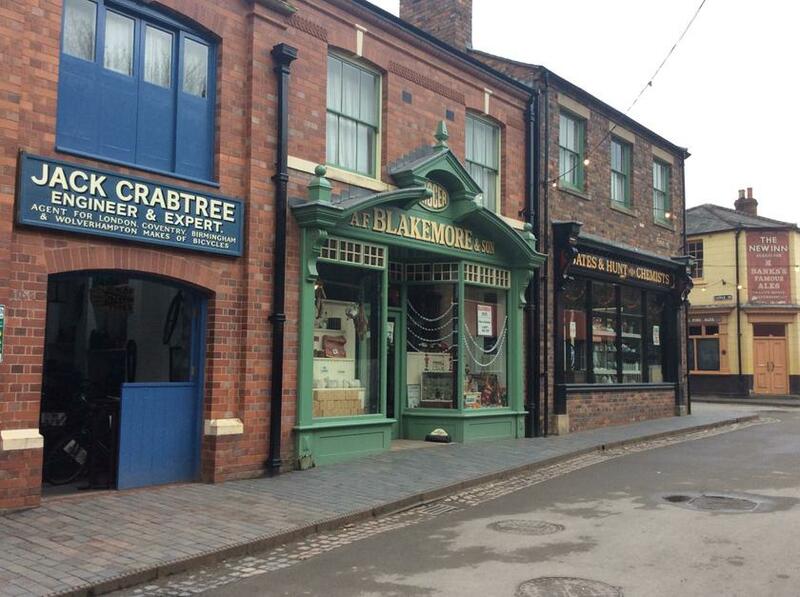 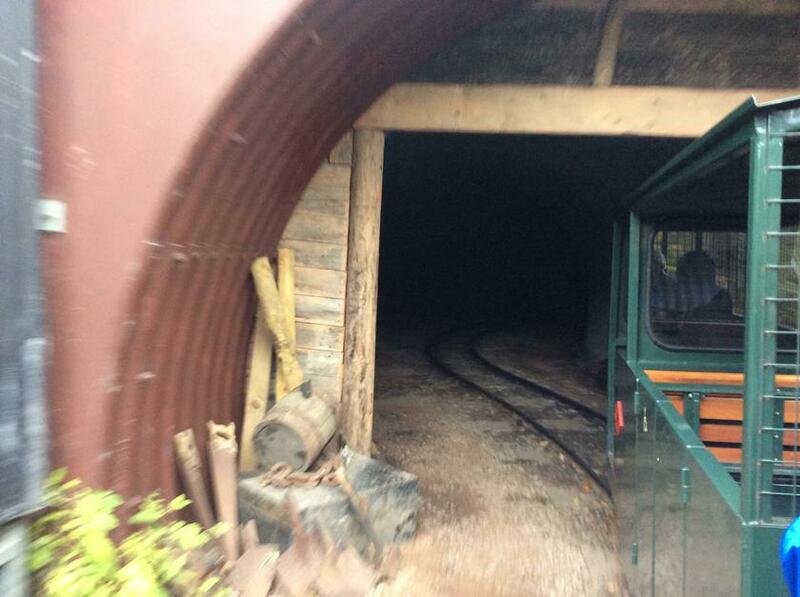 Today we joined with St. Martins School to visit Blists Hill for a coal mining Victorian extravaganza. 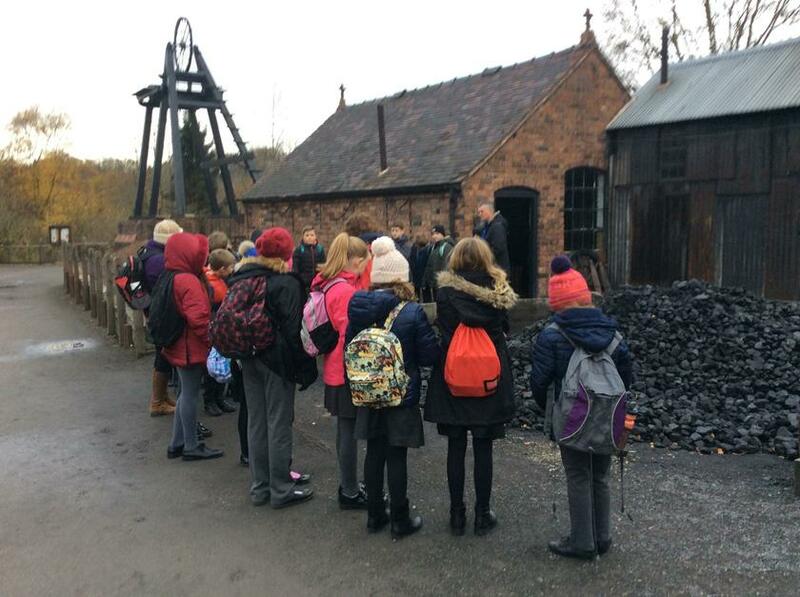 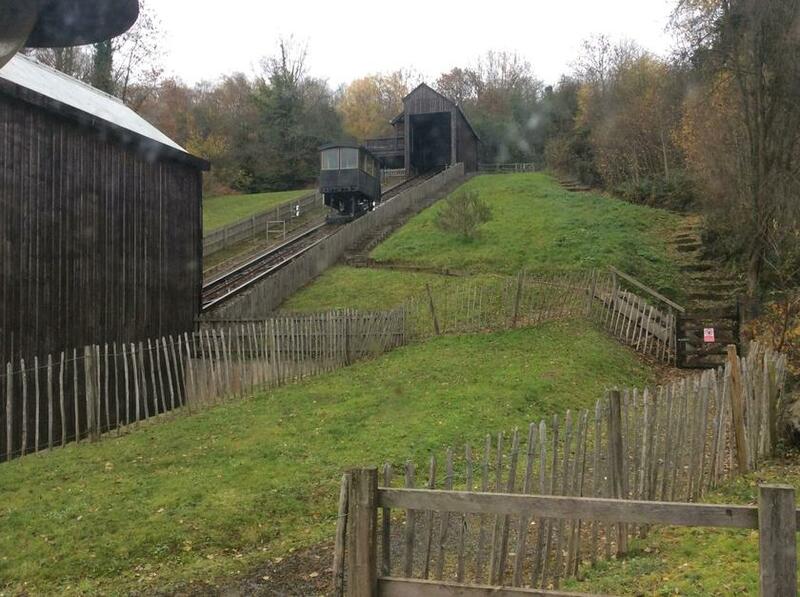 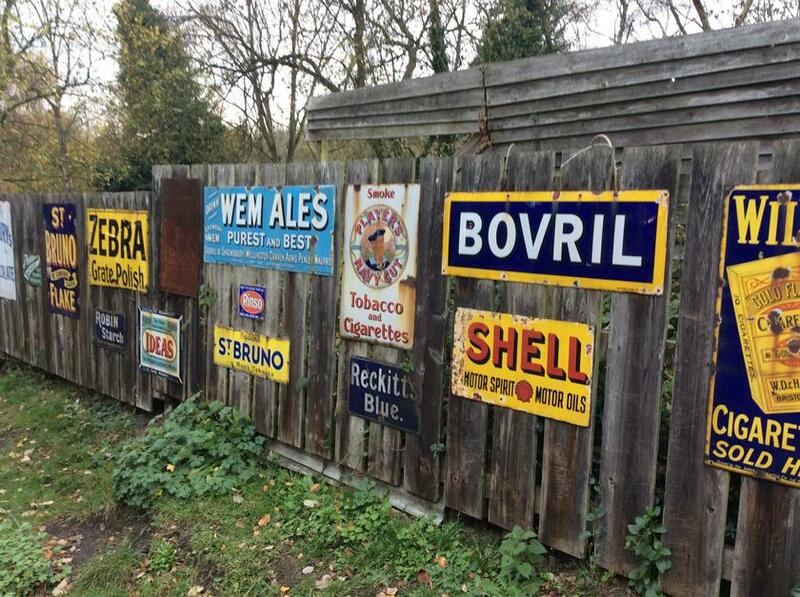 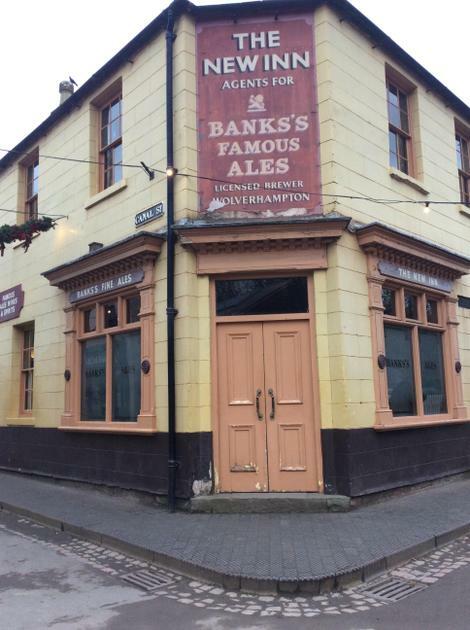 This wonderful project was fully financed by St. Martins school and involved transport and a range of experiences around this marvellous living museum. 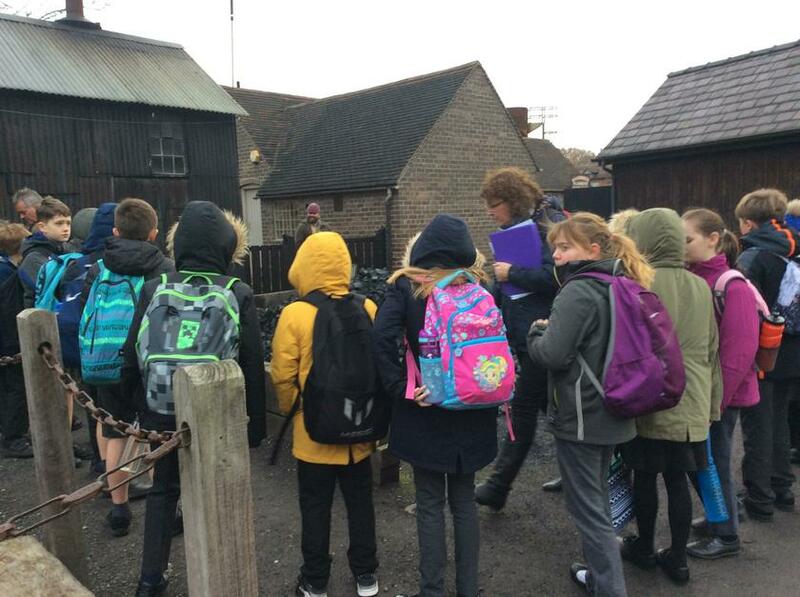 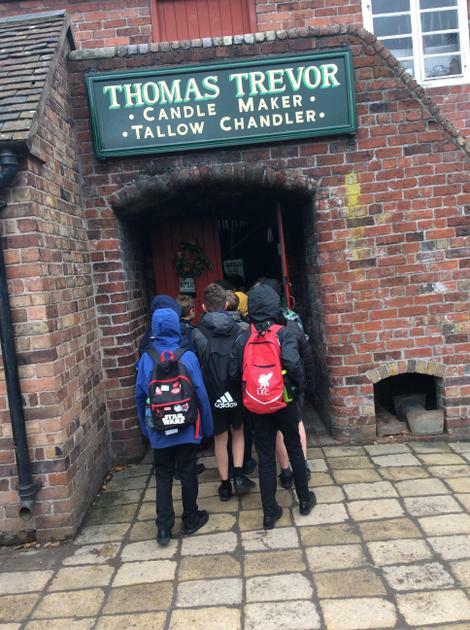 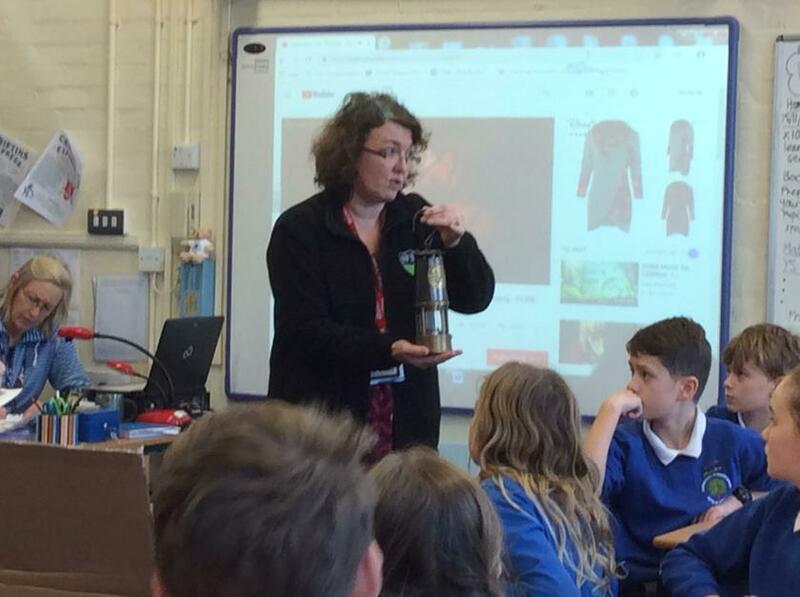 The children experienced a visit to the mine watching a fully interactive video that engaged the pupils in a ‘real’ mining experience, a real sweet shop, butcher, bakers, watched a candle maker. 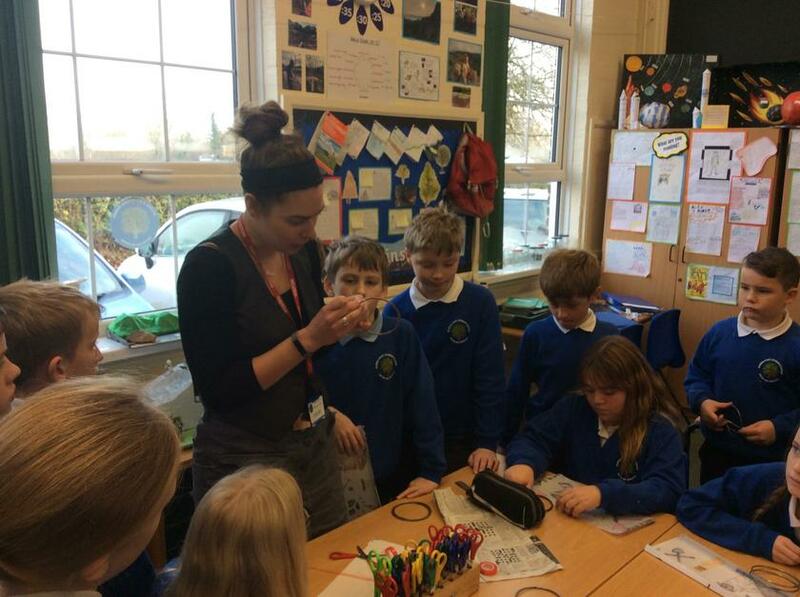 A truly wonderful experience ! 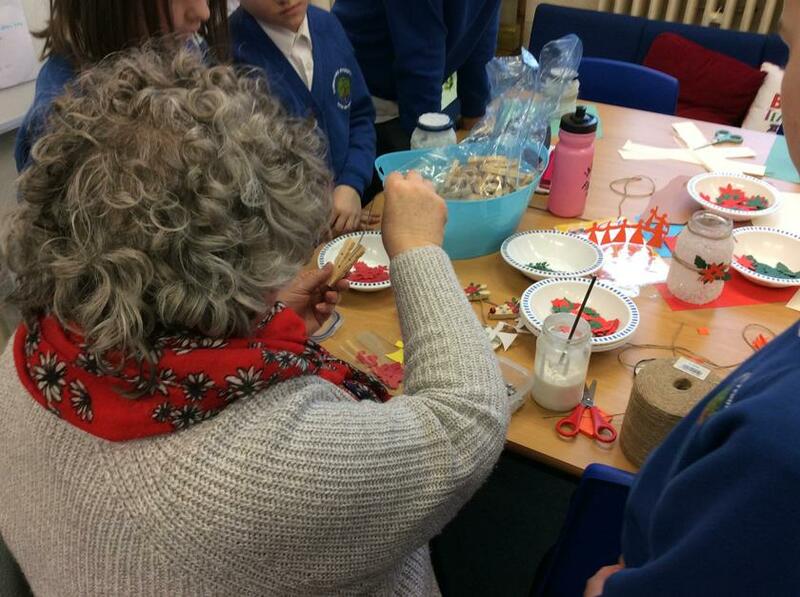 It was lovely today to work with representatives from N.S.P.C.C. 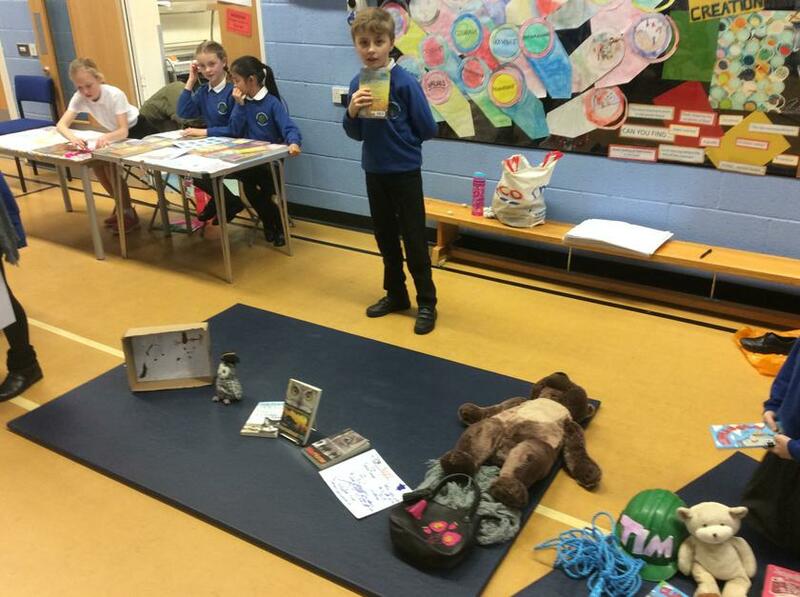 who helped class 4 understand more about the work of this children’s charity. 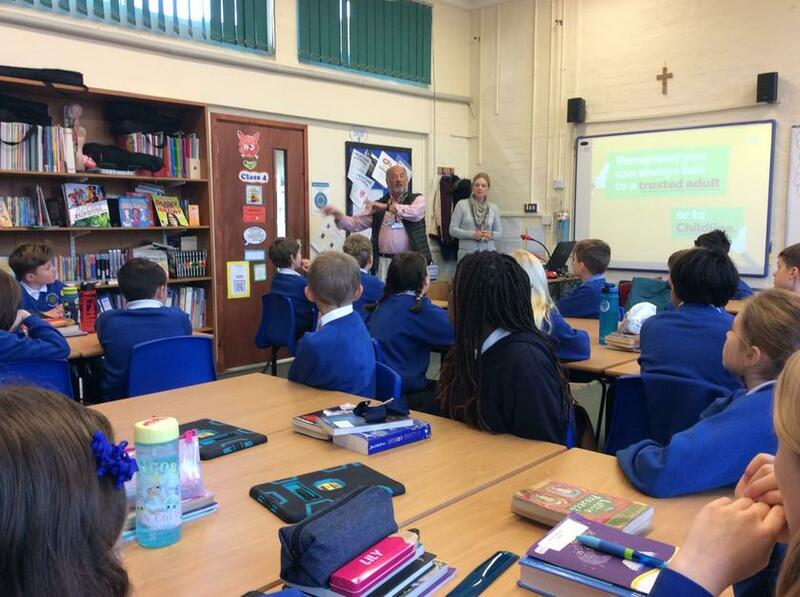 Today we welcomed Mr. Catton from The Good News Trust who came to talk to the upper junior pupils about borrowing all types of Christian books.Eg. 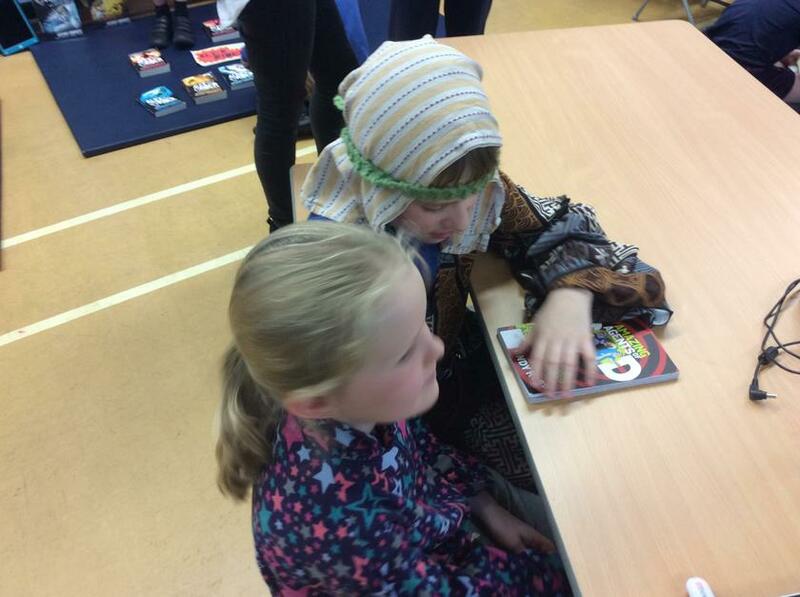 Stories about Jesus, missionary stories, modern adventure stories with a Christian theme etc. 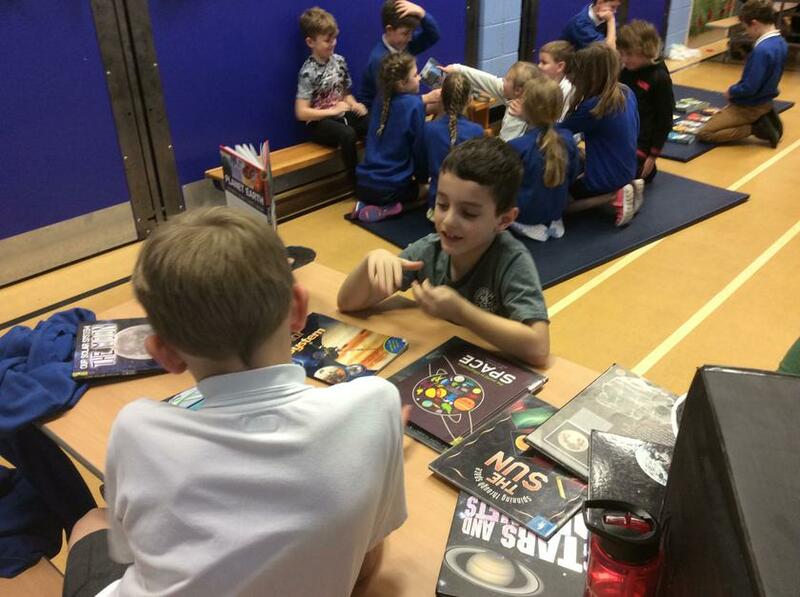 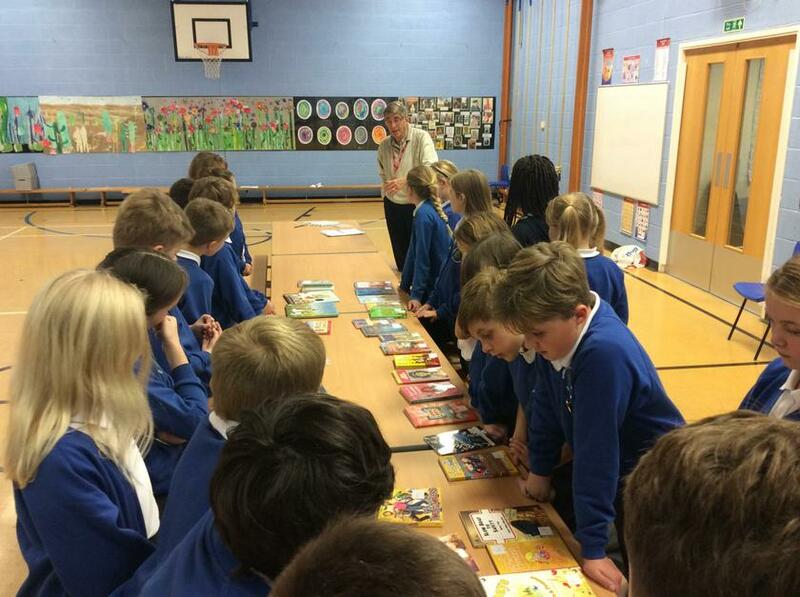 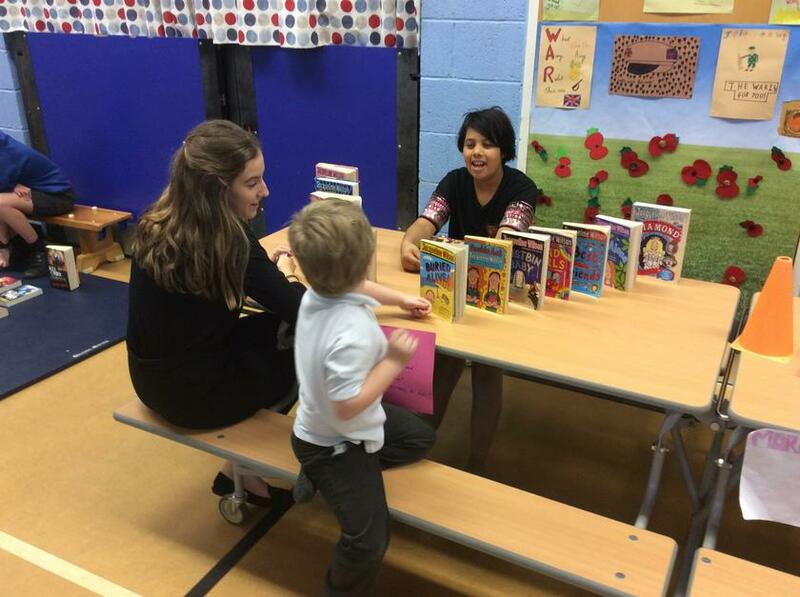 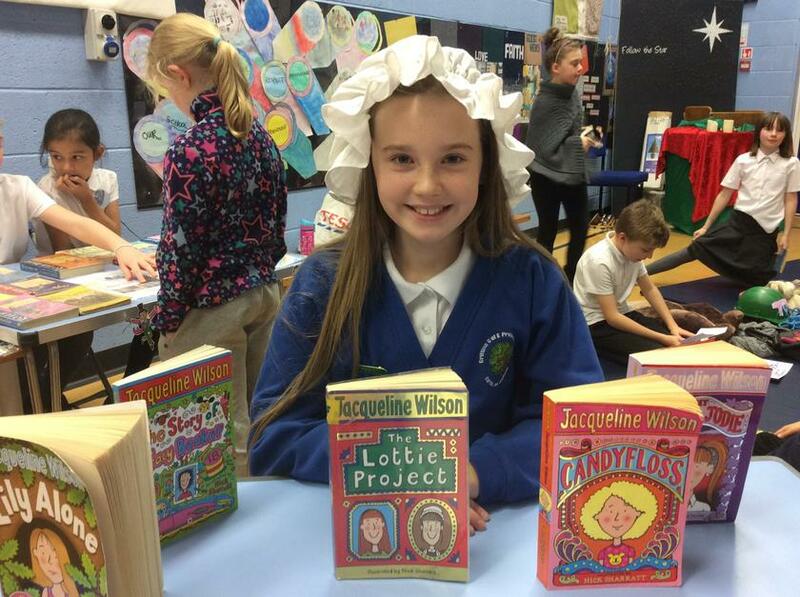 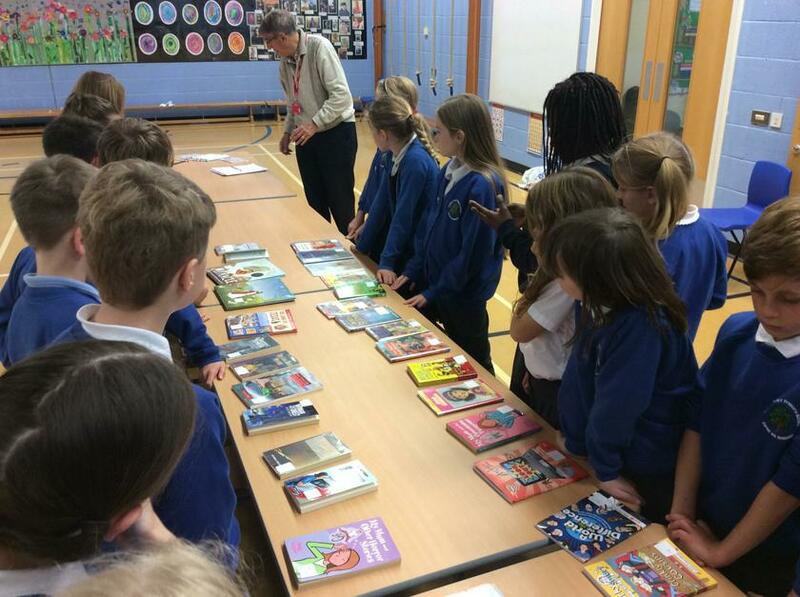 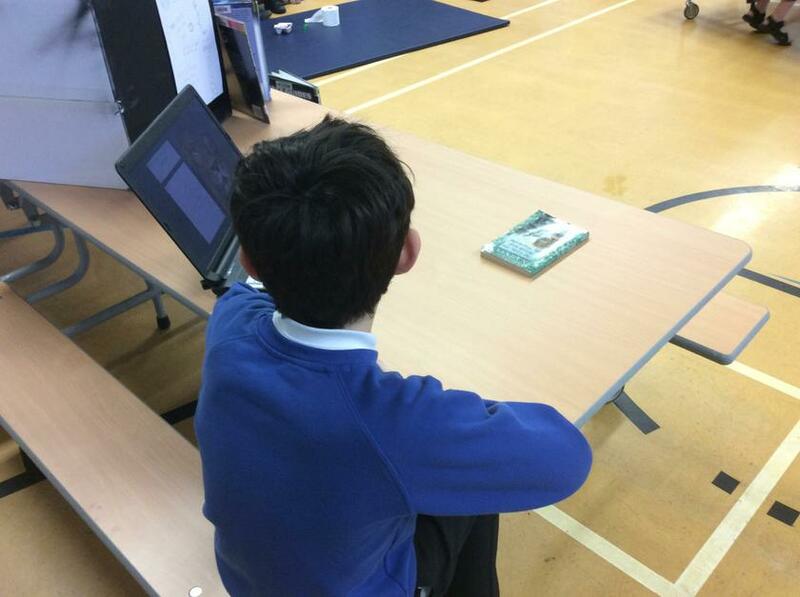 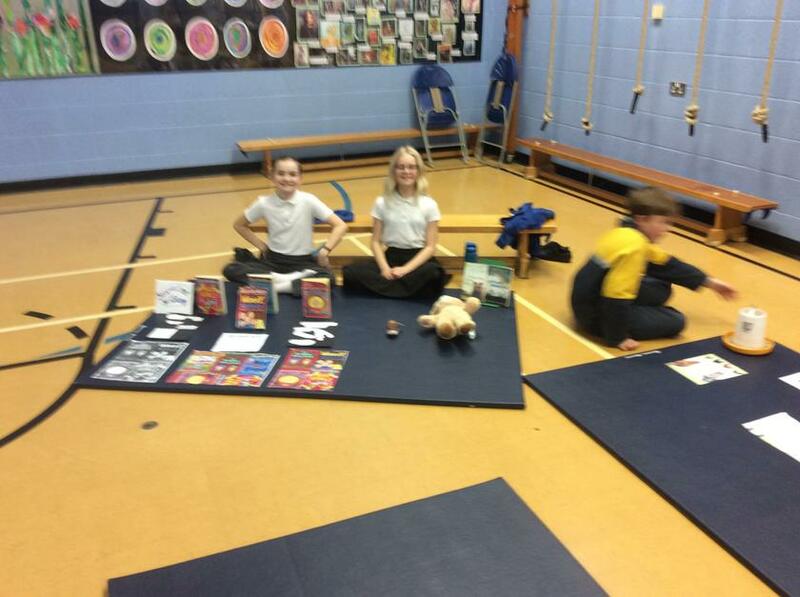 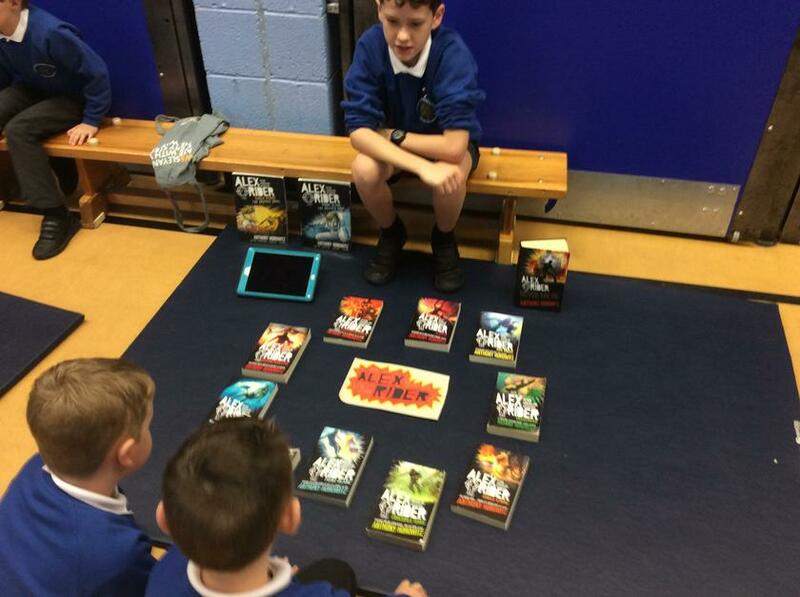 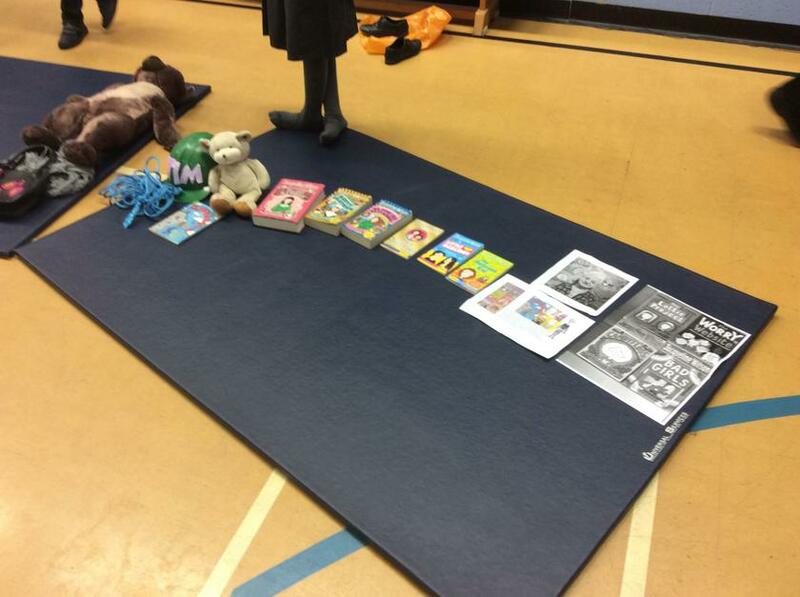 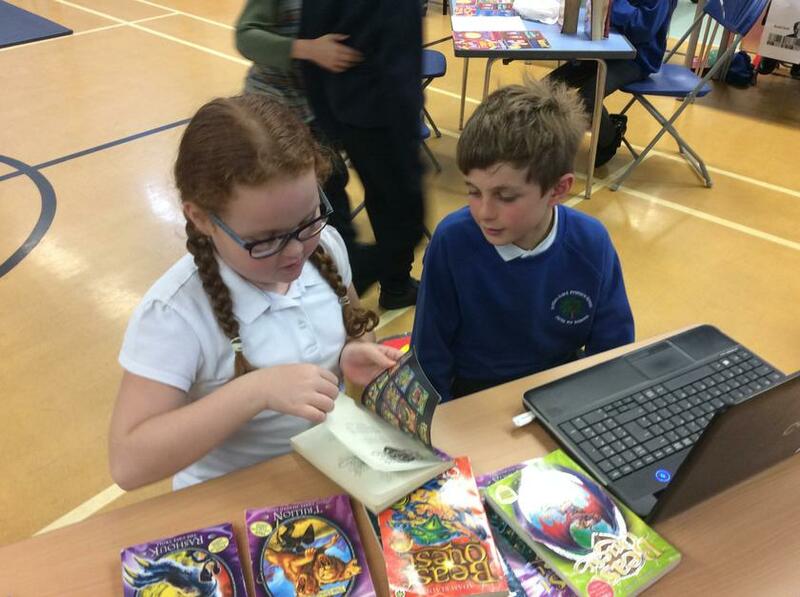 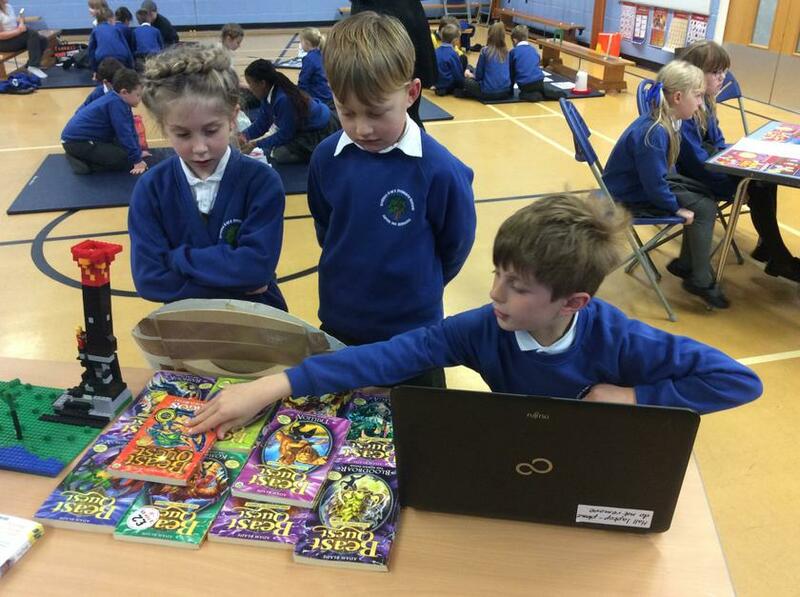 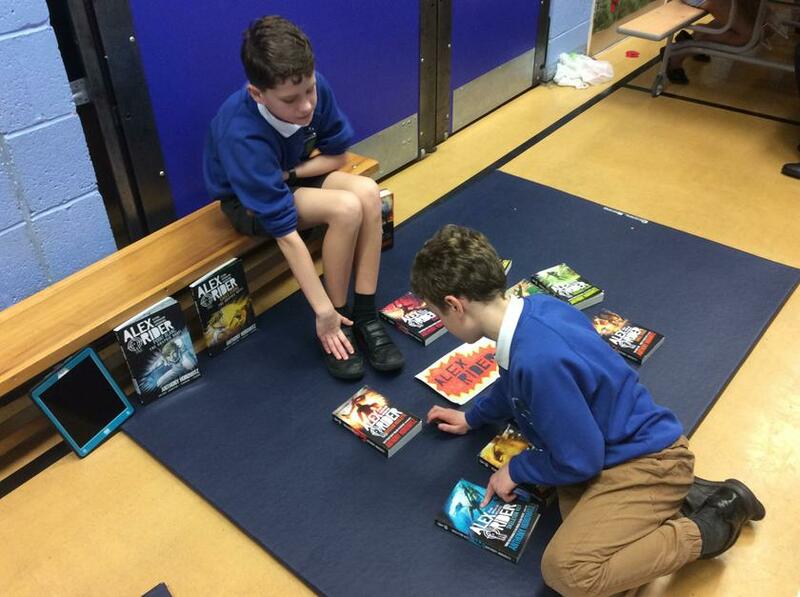 Each pupil had the opportunity to browse and choose a book which they have 4 weeks to read before returning. 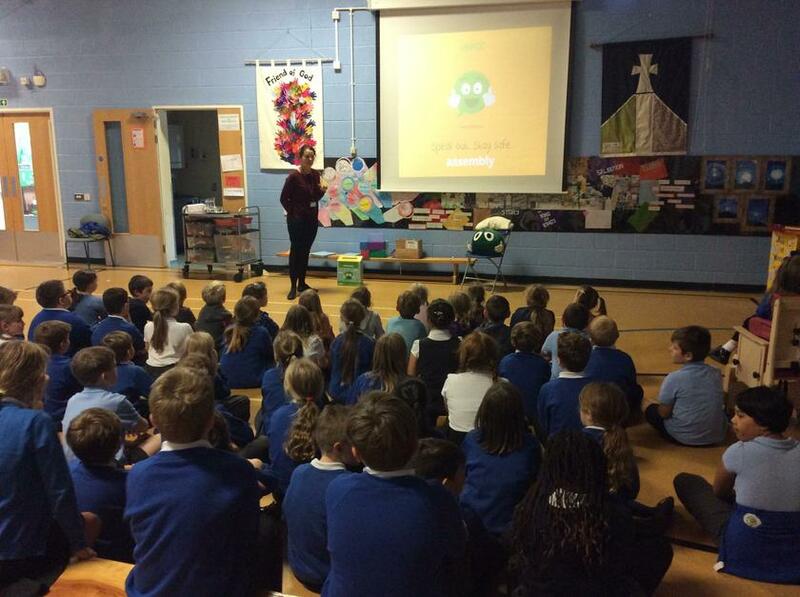 Today we welcomed Sally from the NSPCC, who came to talk to us about about keeping safe and happy. 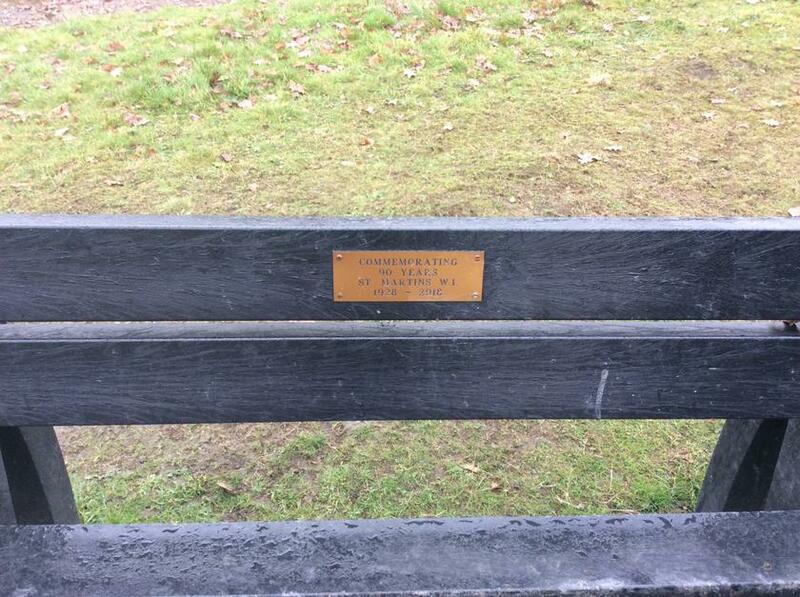 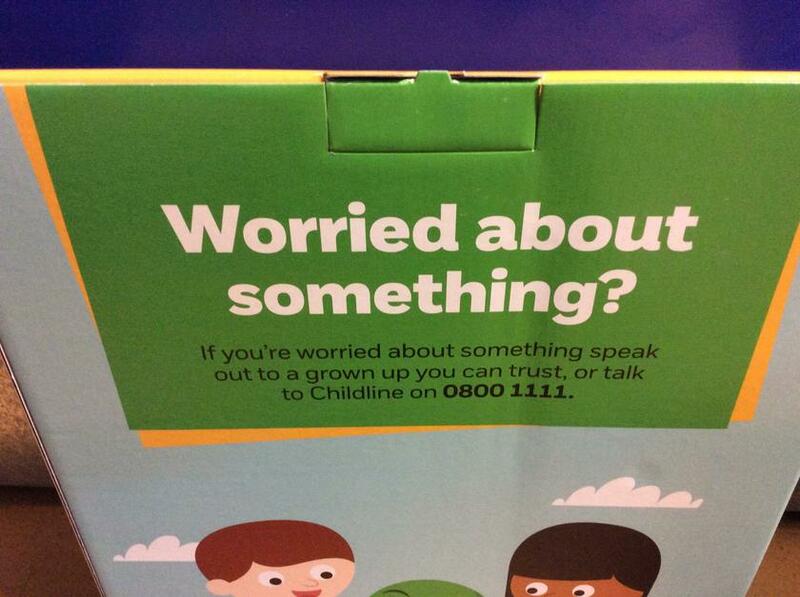 We also found out about the work of Childline. 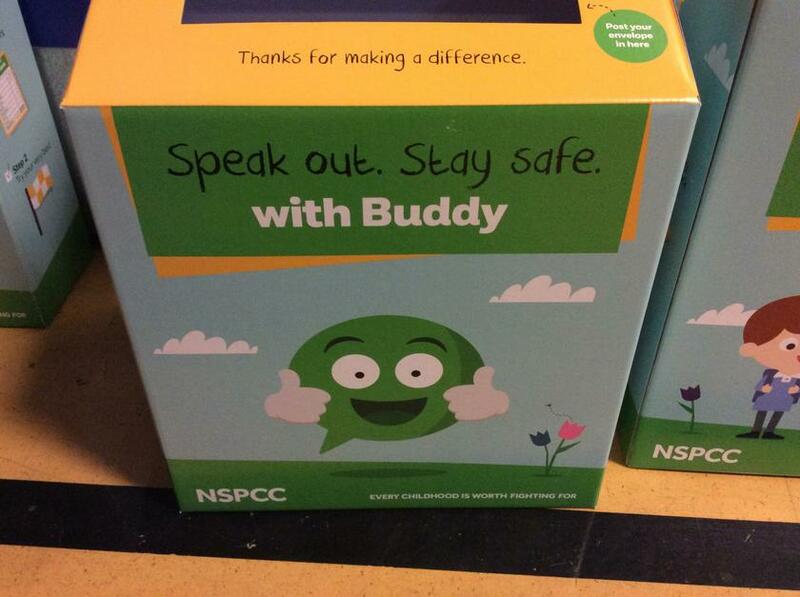 Charities such as this need to raise money and today each of us was given information about a sponsorship event. 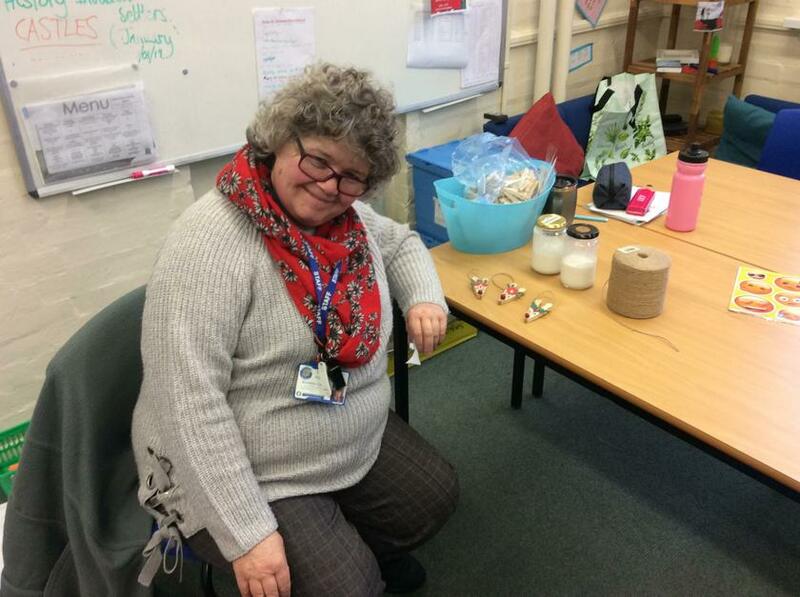 Sally will be back in school in two weeks to collect any money raised. 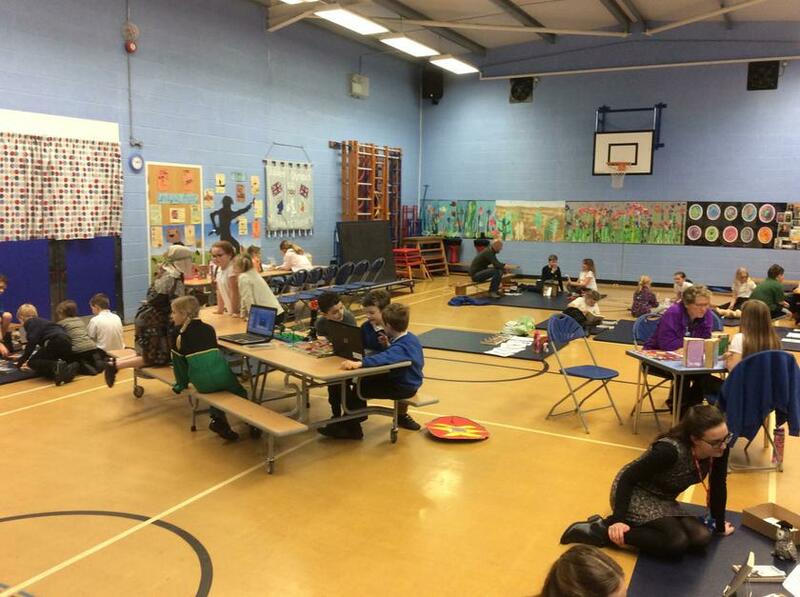 As part of a healthy and active week we are practising the skills of Kwik Cricket. 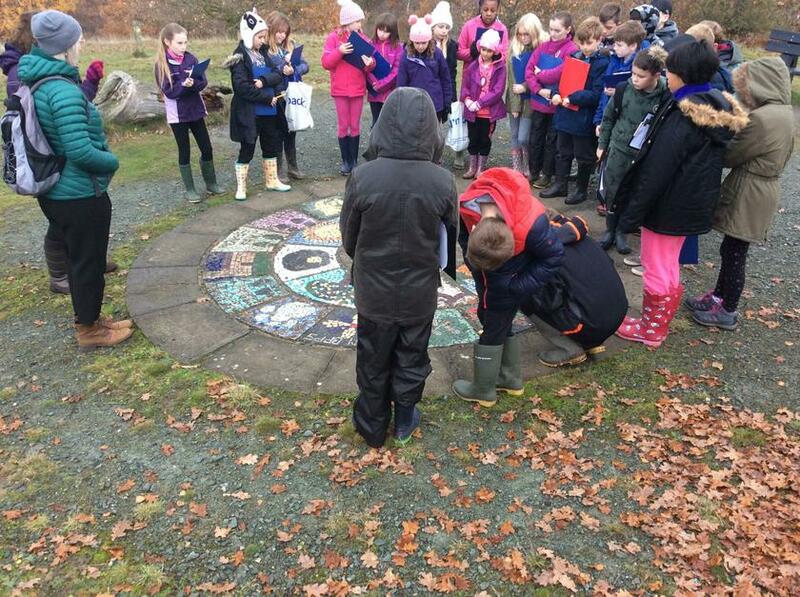 Today we began with the basic skills of throwing and catching followed by a team game. 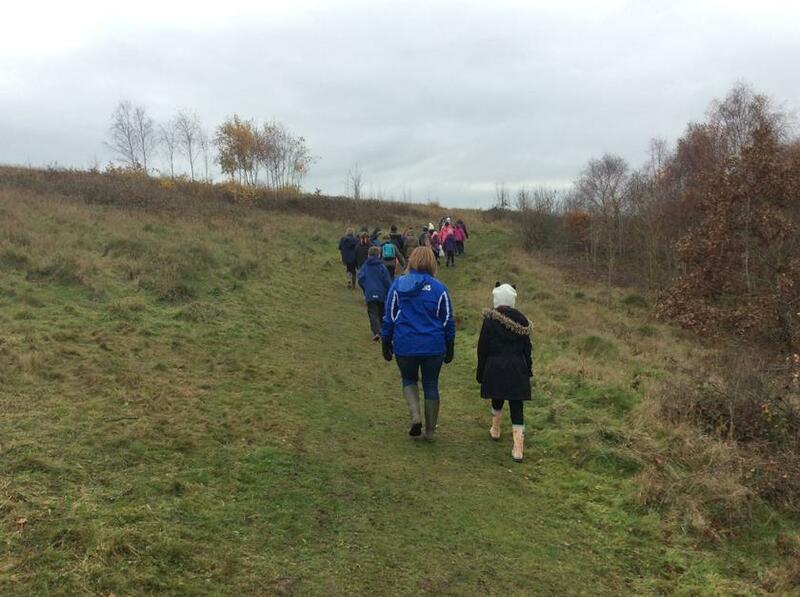 All good fun in the Autumnal sunshine and a great way to keep fit and healthy. 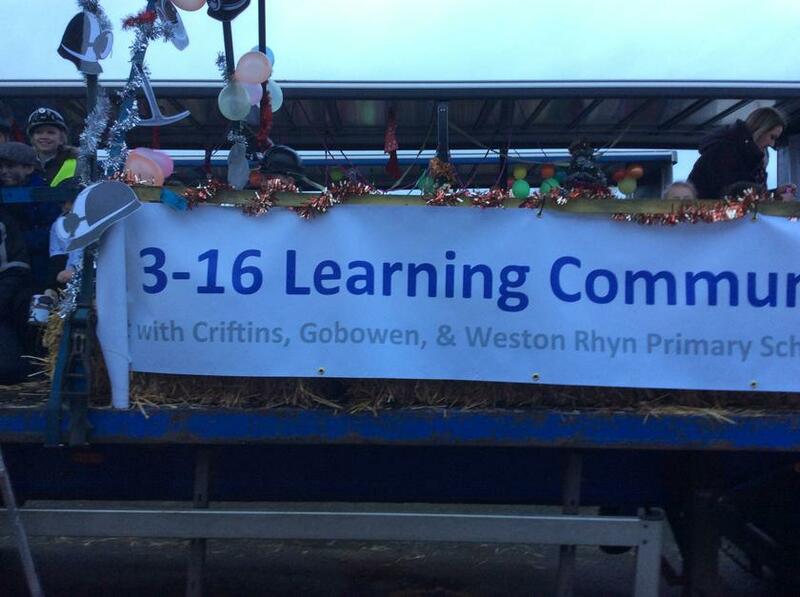 As part of our outstanding contribution to each day we always strive for an engaging and rewarding curriculum. 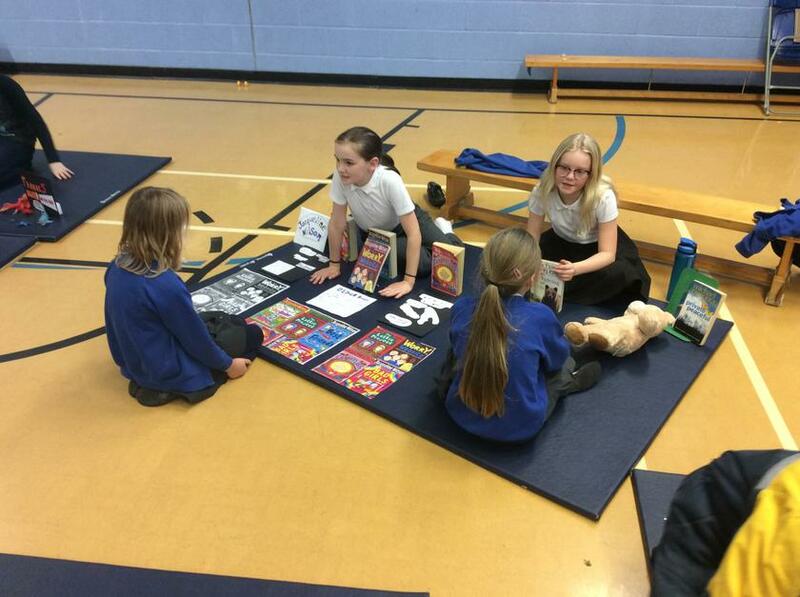 Every lesson and subject is important in order to prepare children for the journey ahead. 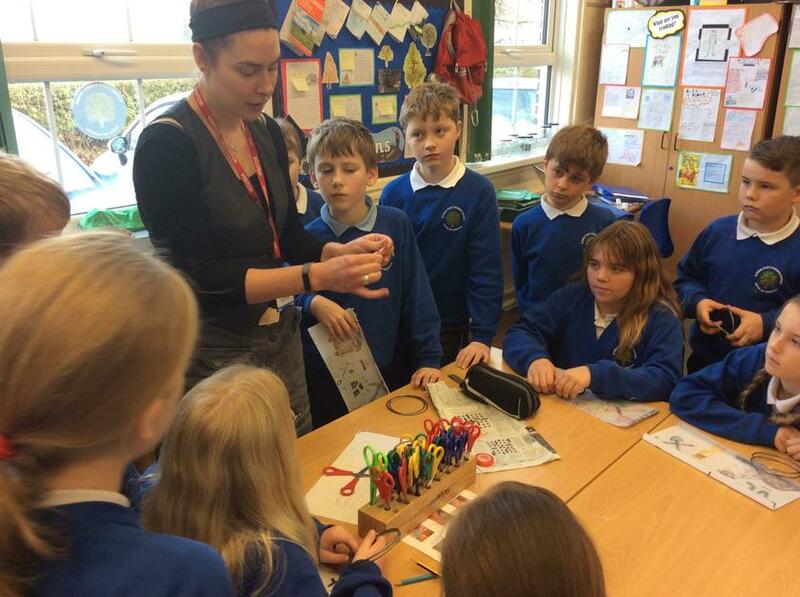 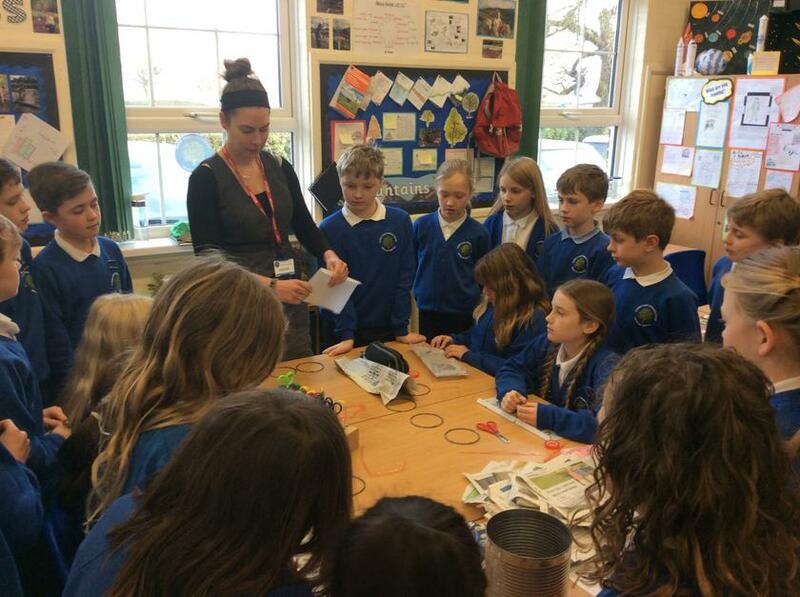 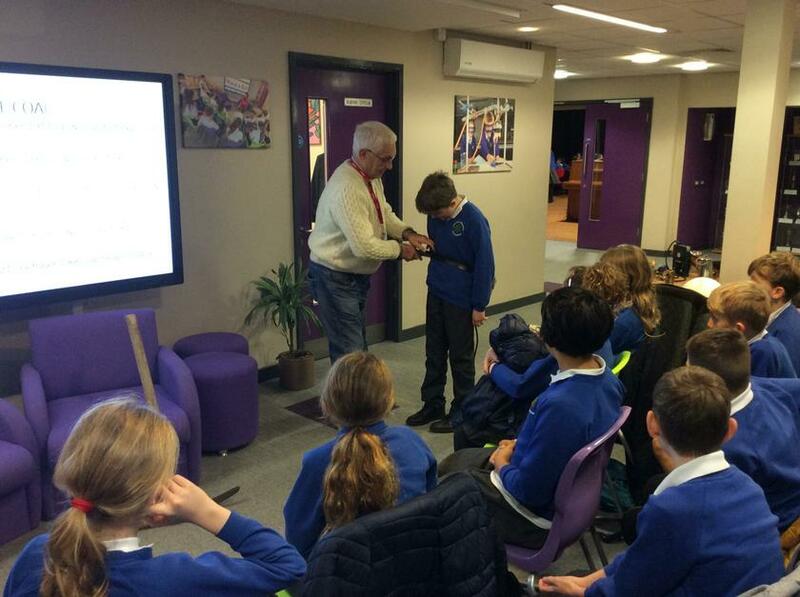 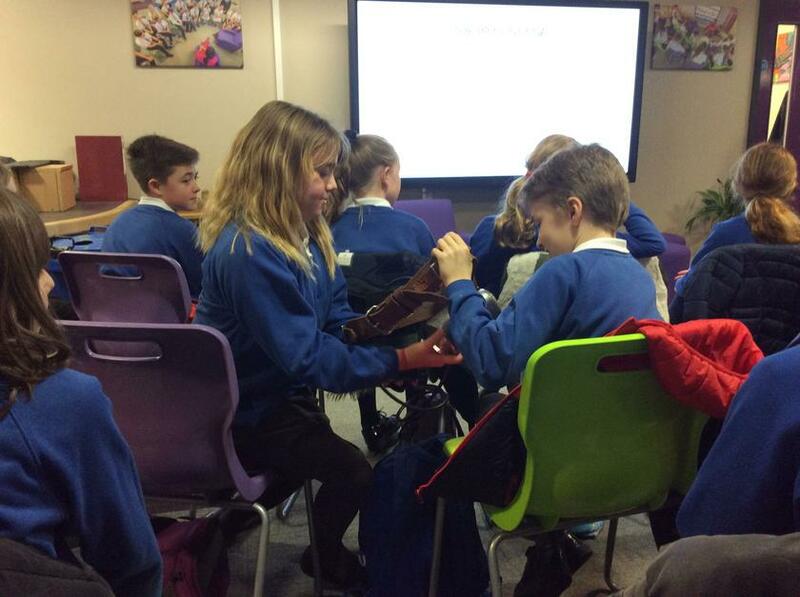 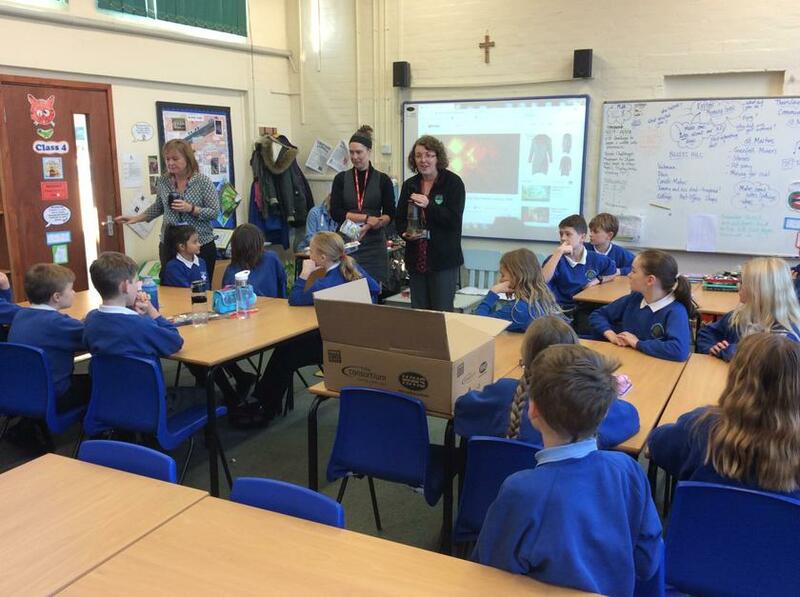 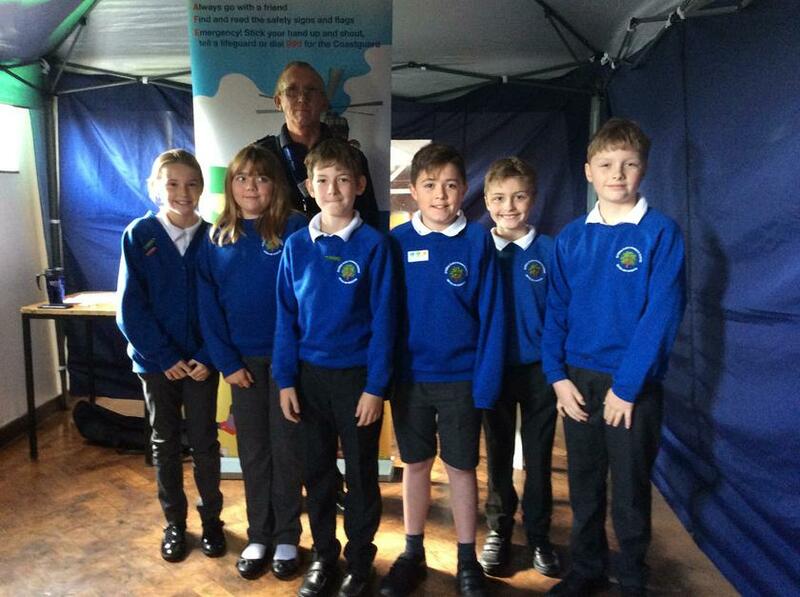 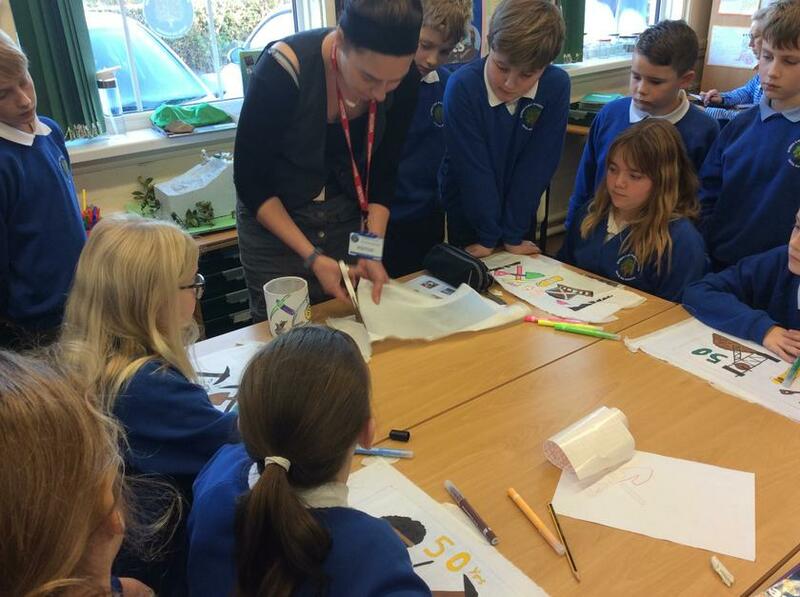 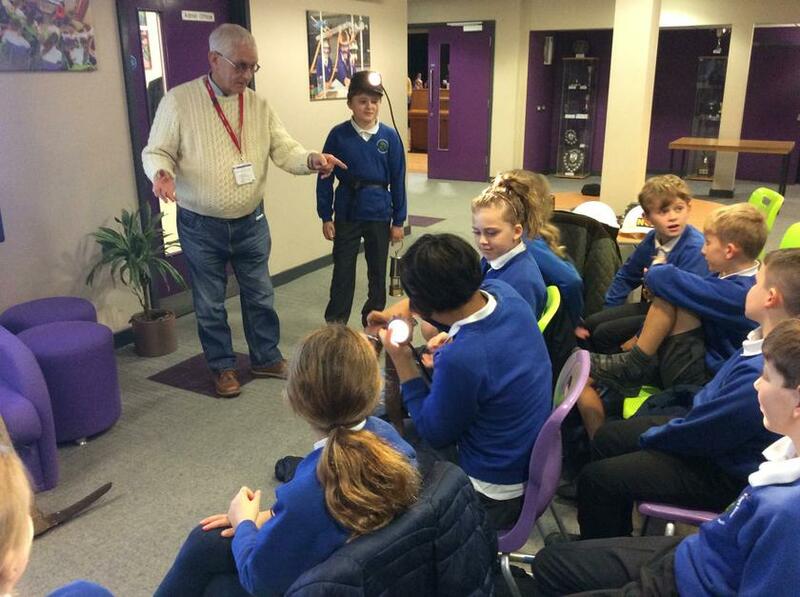 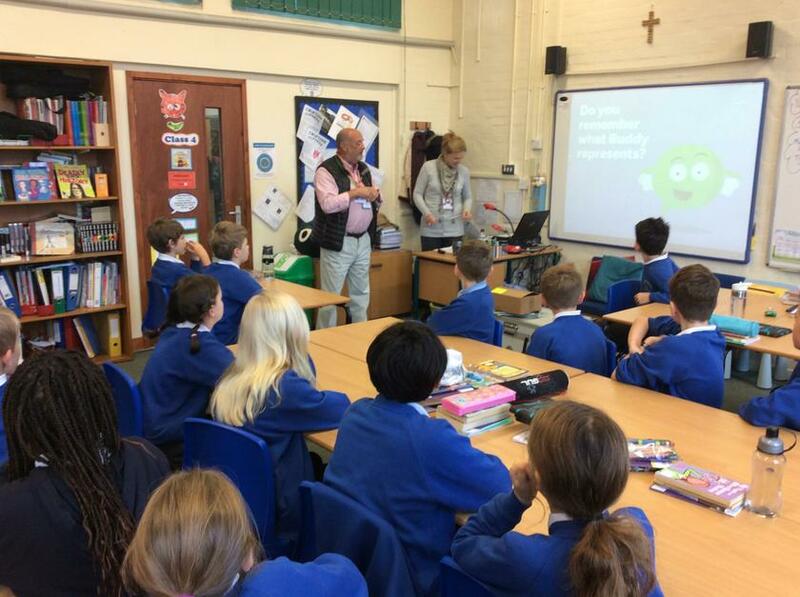 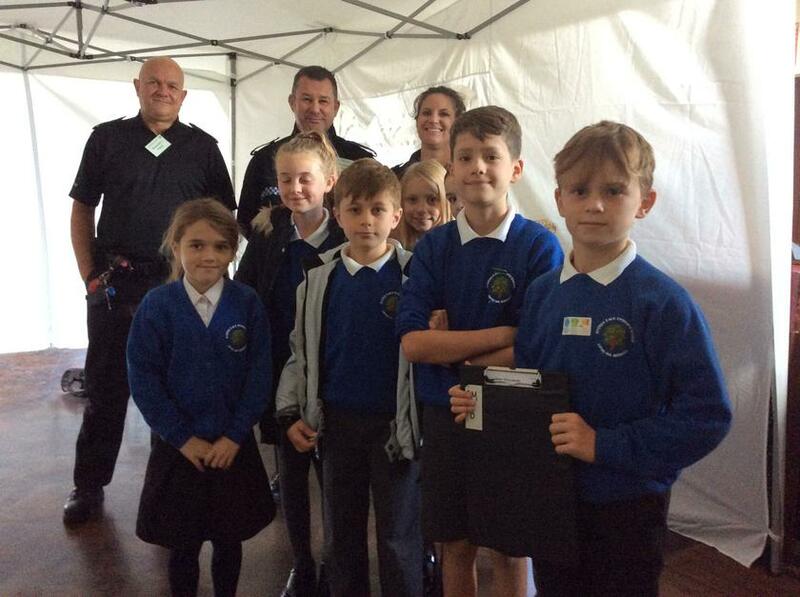 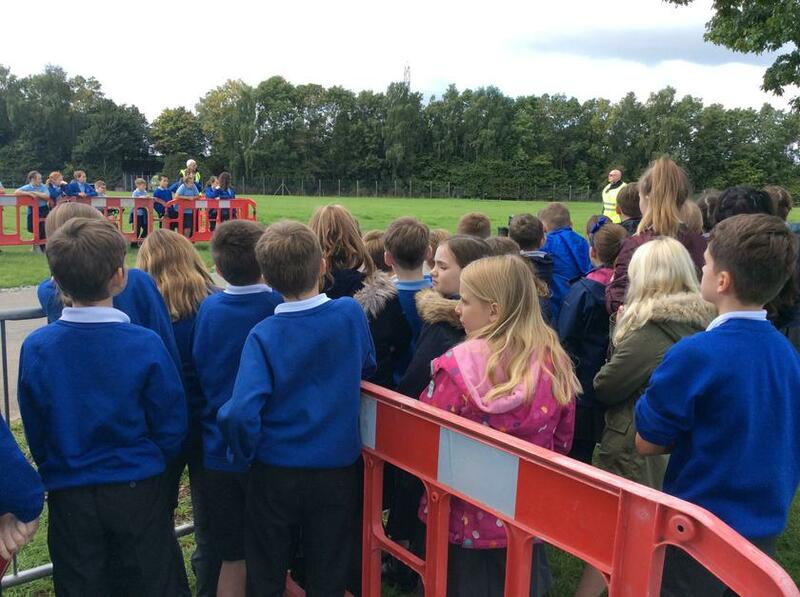 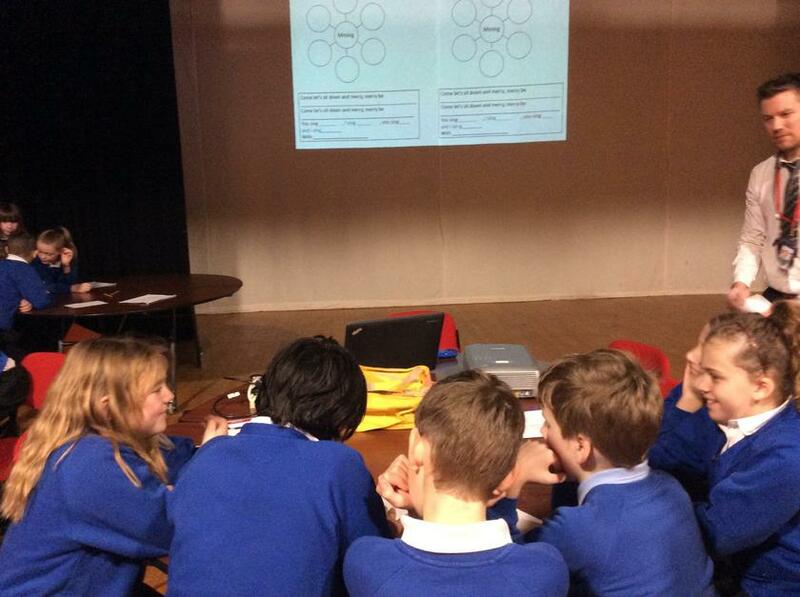 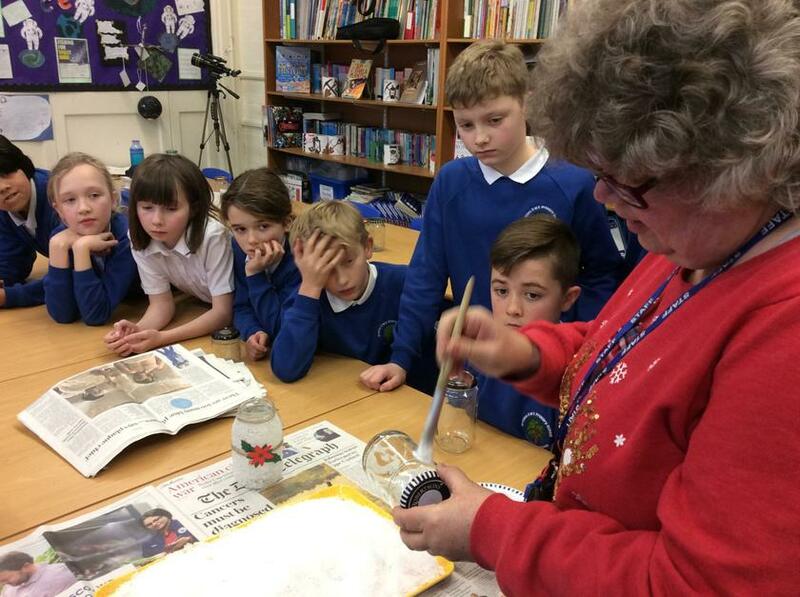 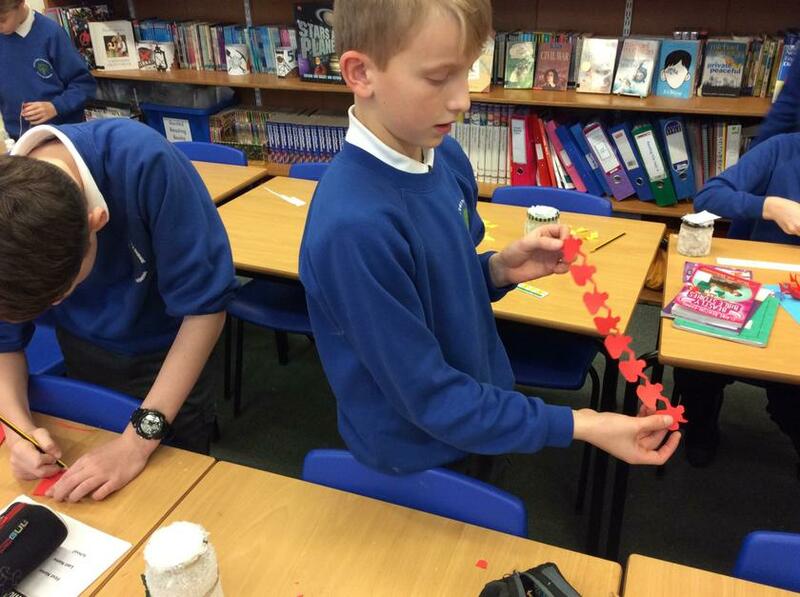 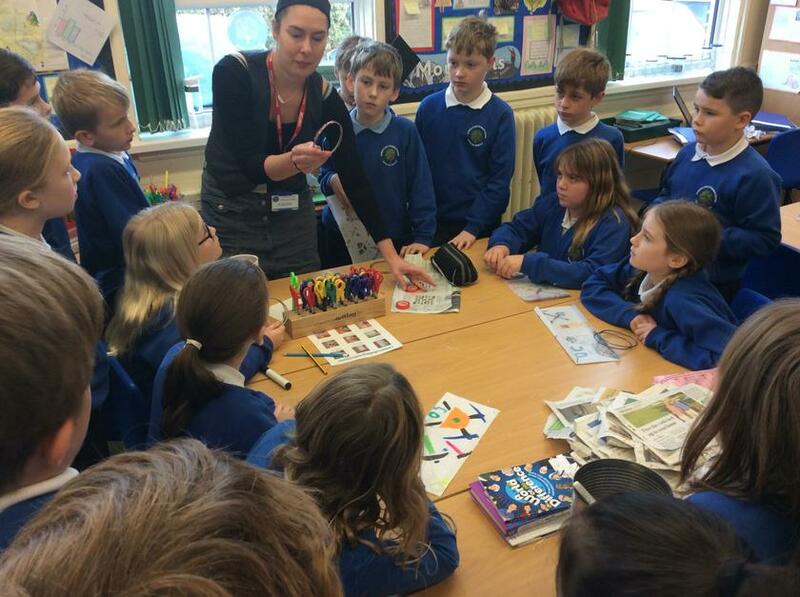 We began this term with a wonderful experience organised by The Rotary Club of Oswestry, The Lifeline event. 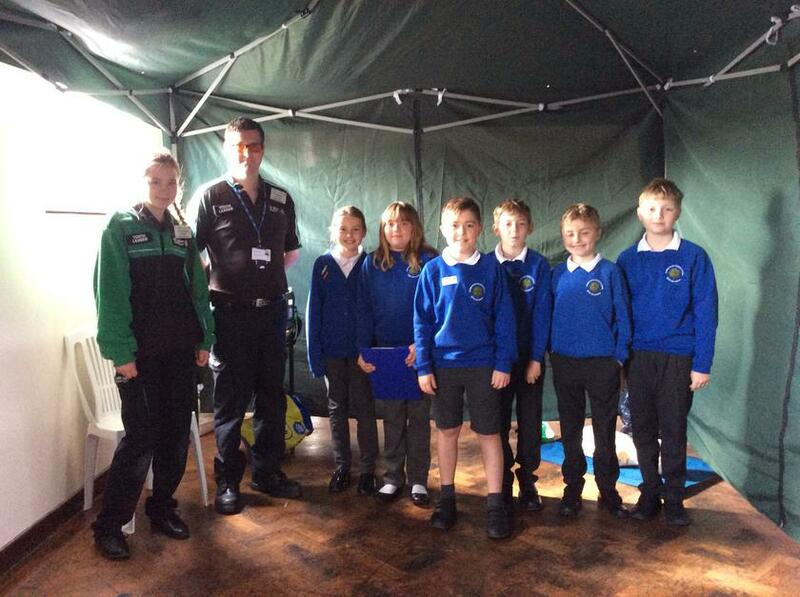 Lifeline is a fully funded event organised each year which educates pupils in ways to keep safe. 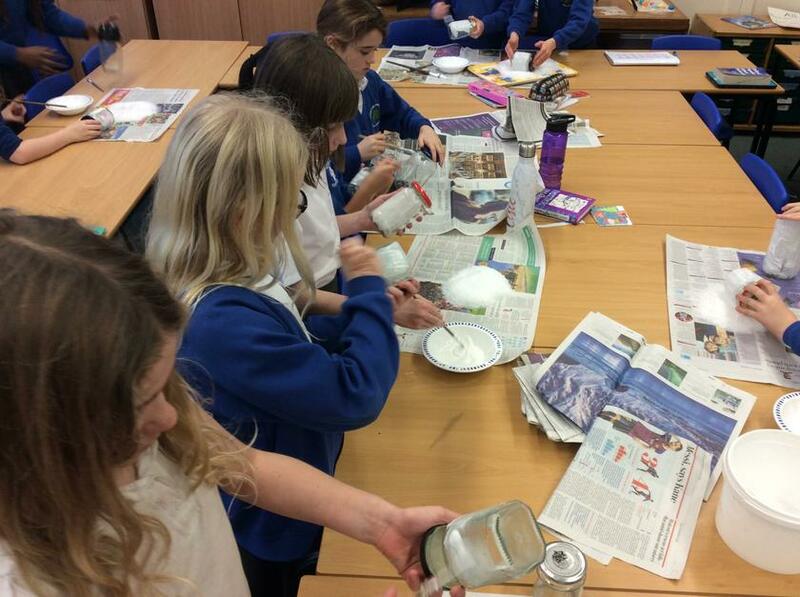 Important life skills and valuable activities. 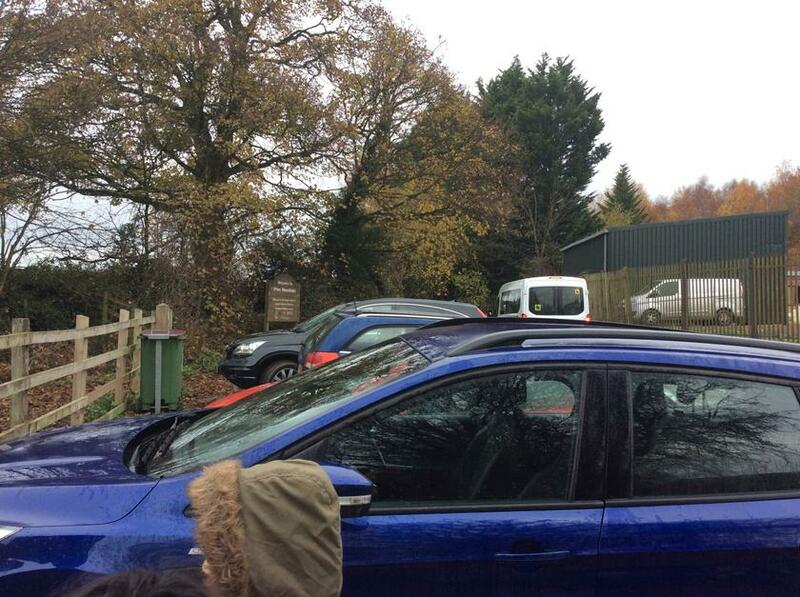 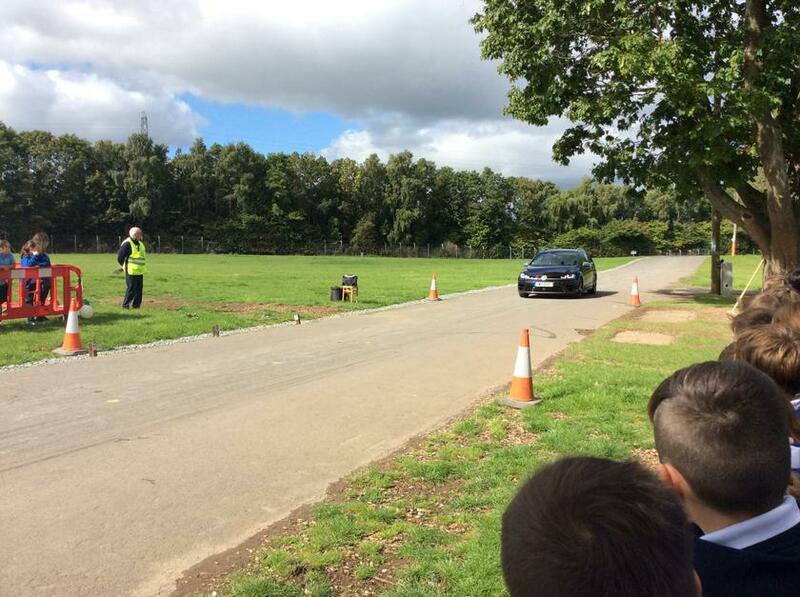 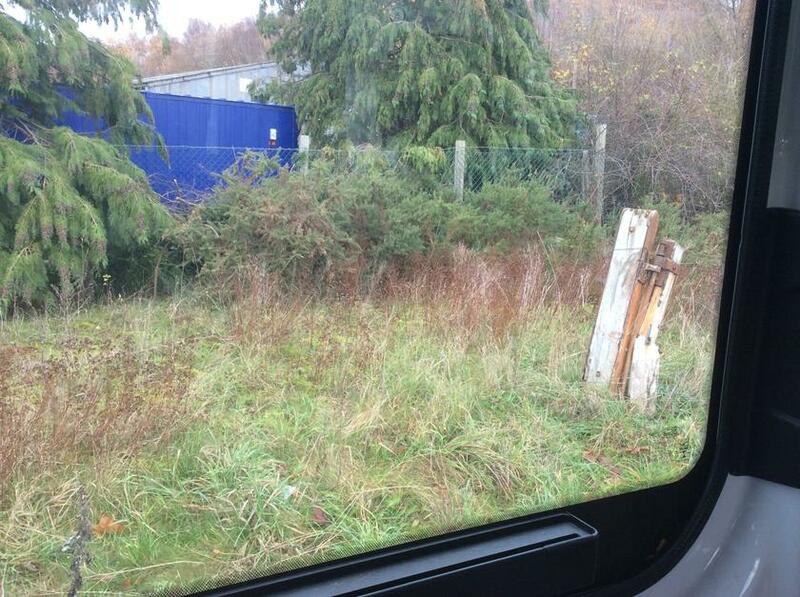 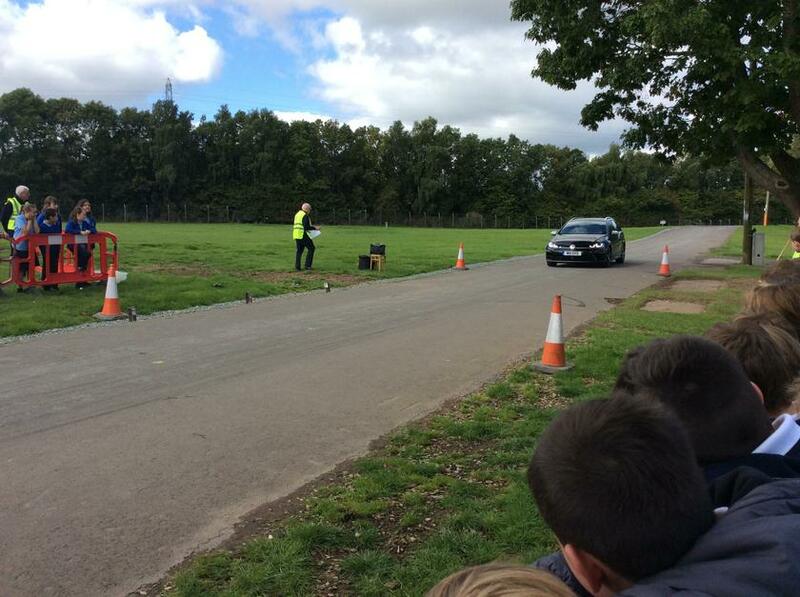 One of my personal favourites was a demonstration of car stopping distances. 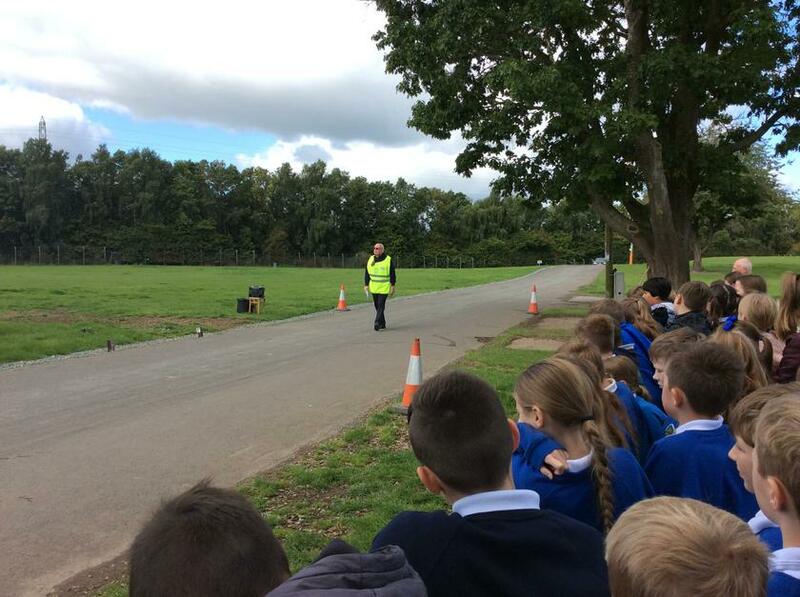 An important realisation for pupils as they cross our ever busy roads. 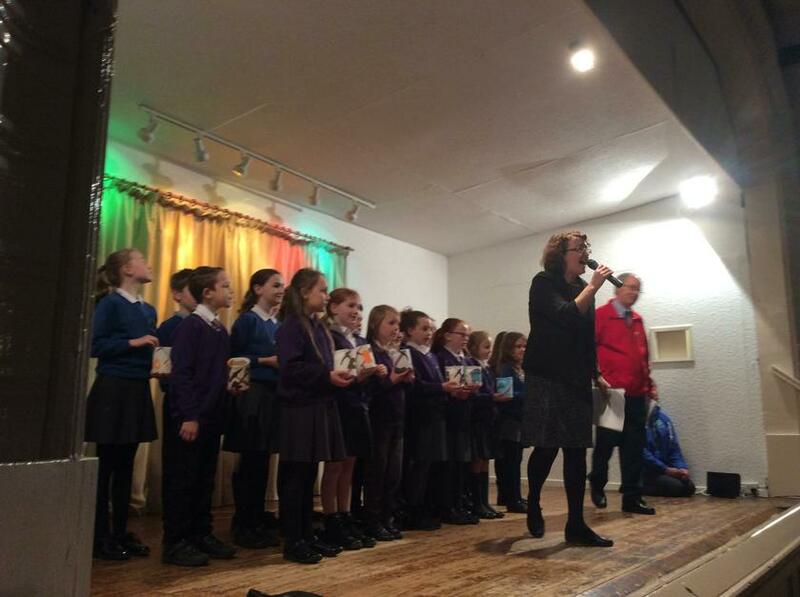 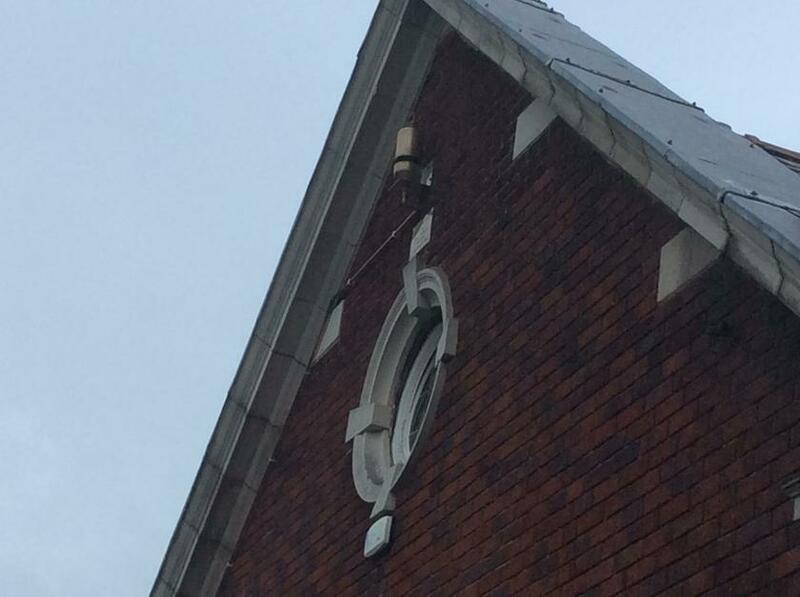 Lifeline by Oswestry Rotary Club. 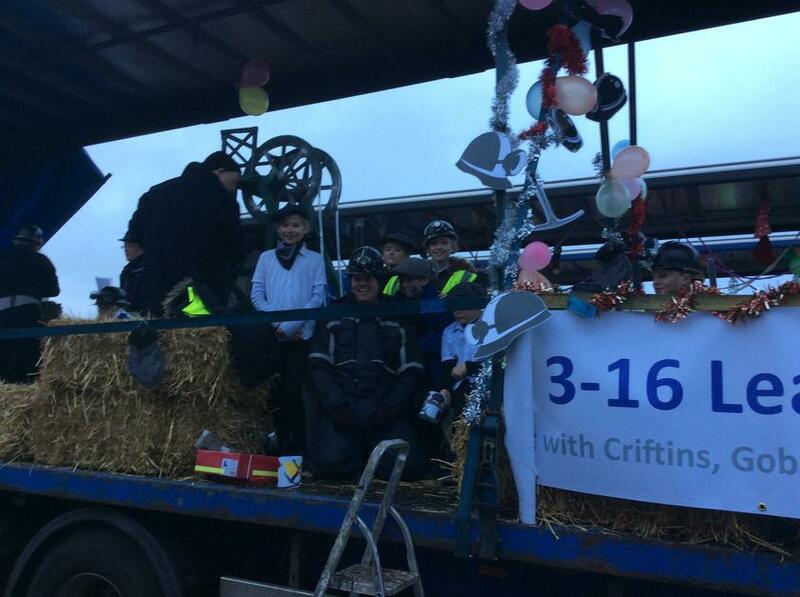 Being healthy is important and here at Criftins we place great emphasis on leading an active lifestyle. 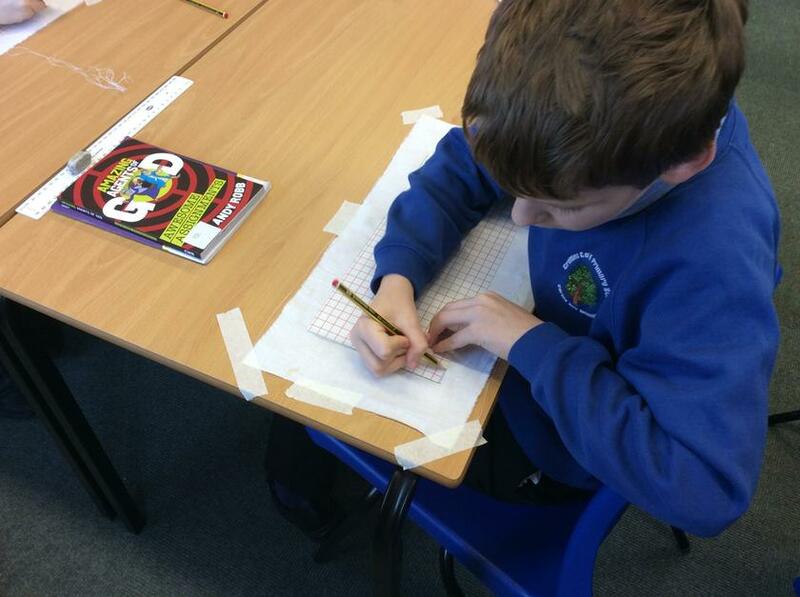 We measured our playground perimeter and calculated that 19 laps would be approximately 1 mile. 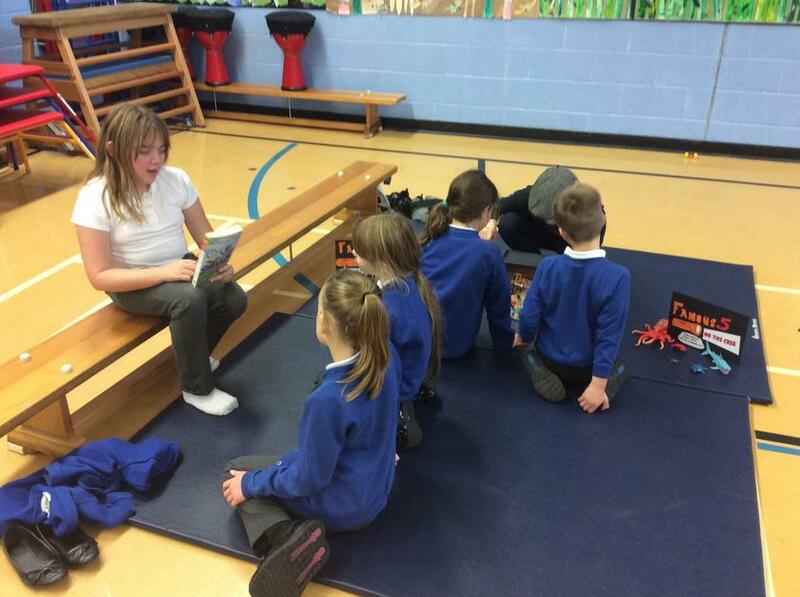 Each day we run a few laps which contributes towards a Golden Mile. 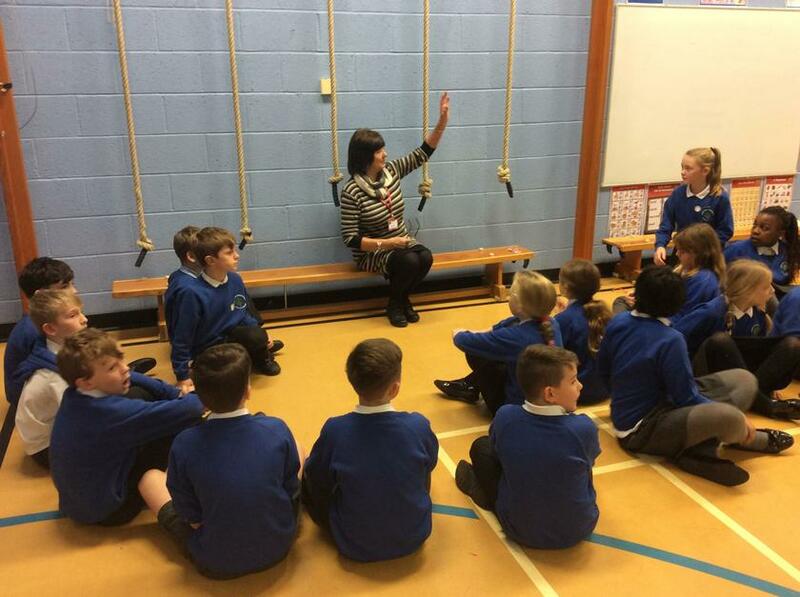 It only takes a few minutes each day but the benefits can last a lifetime!